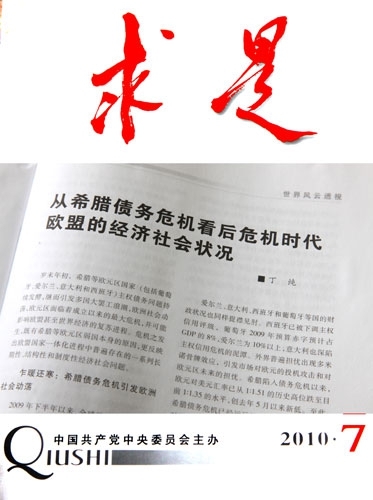 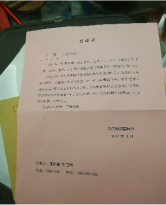 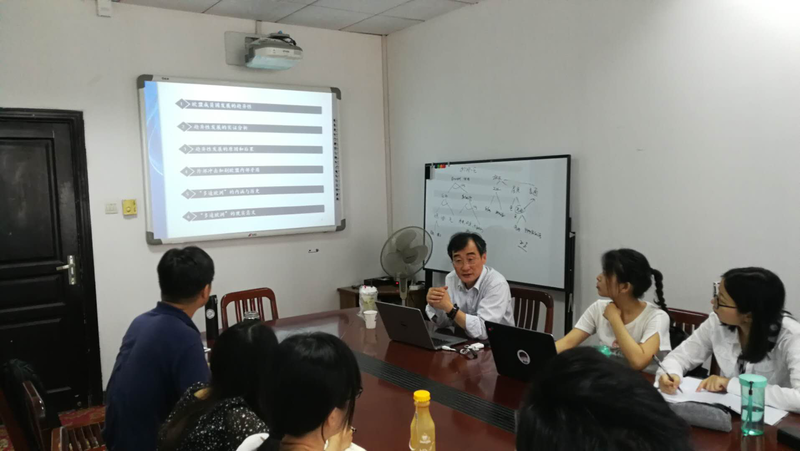 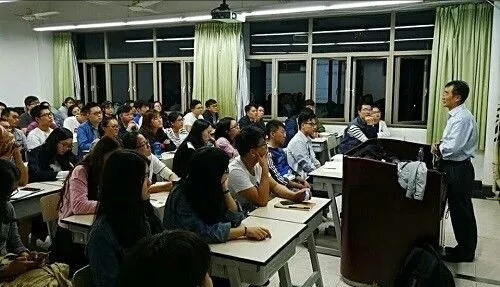 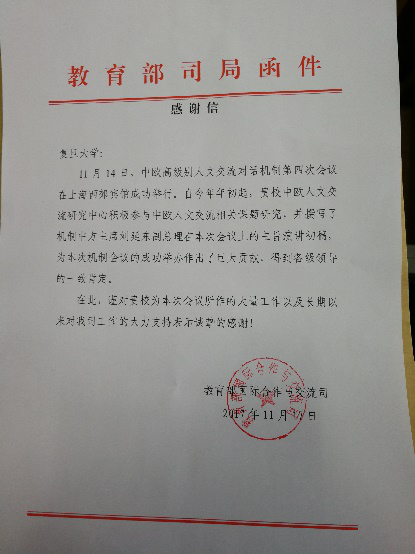 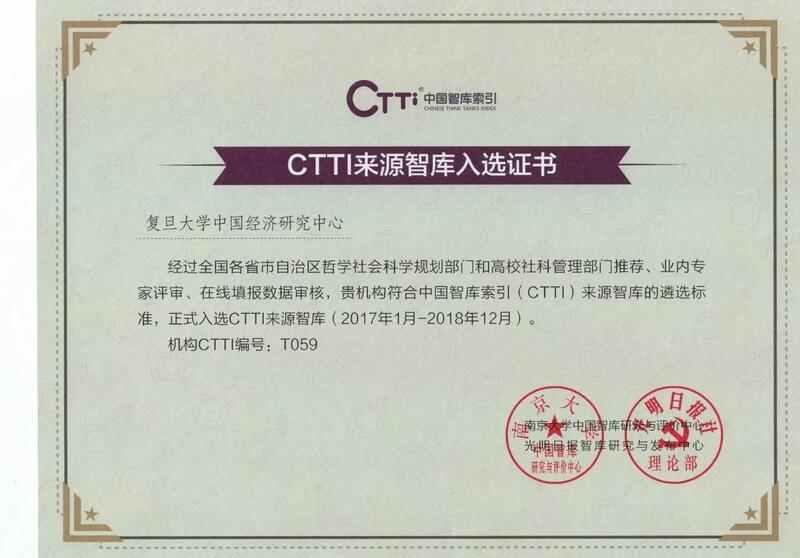 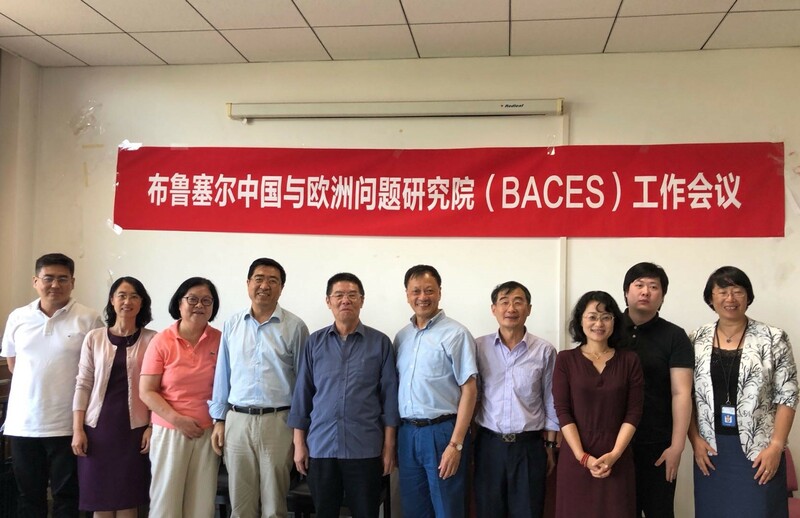 2018年7月24日，复旦大学欧洲问题研究中心主任丁纯教授参加在中国人民大学举办的The Development and Frontier of Current European Studies Workshop Program，会议围绕1.The current issues and challenges of the European Integration;2.The European Union and its foreign relations;3.The interactions between the European Union and its member states三个议题展开，丁纯教授在会议最后做了Closing Remarks. 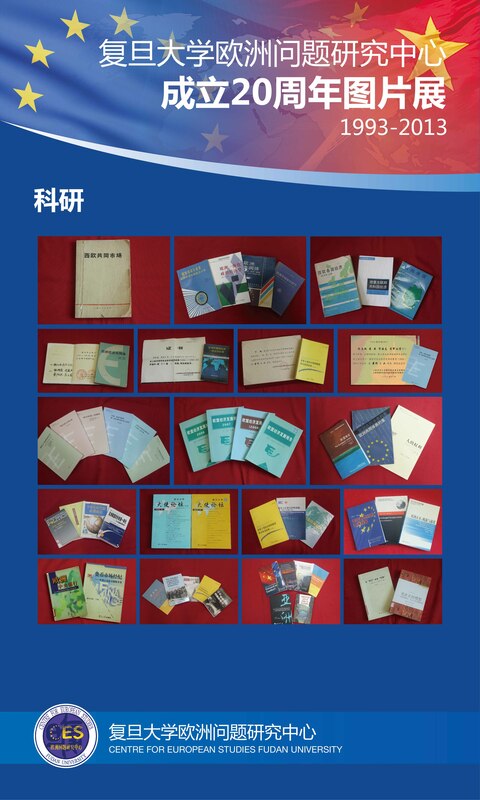 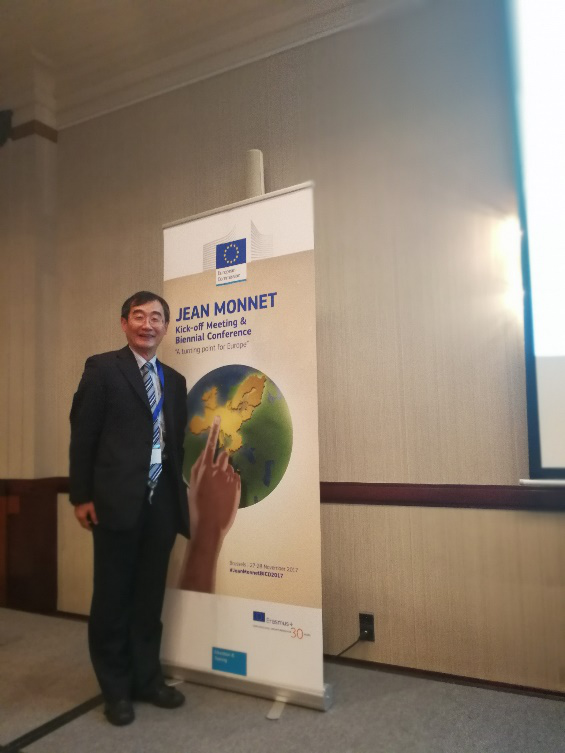 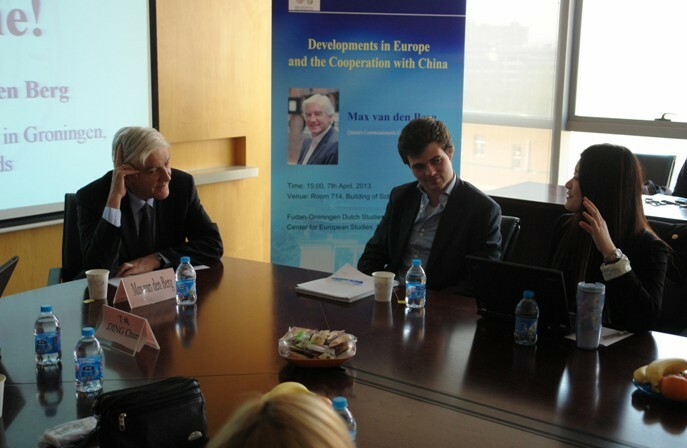 2017.10.10-20	Georg M. Busch教授做了题为“The EU Economic Policy Framework – An Insider’s View”的系列讲座. 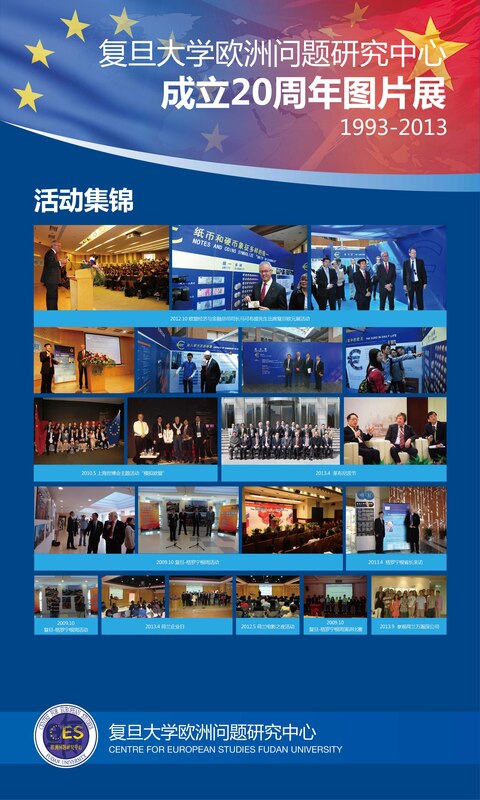 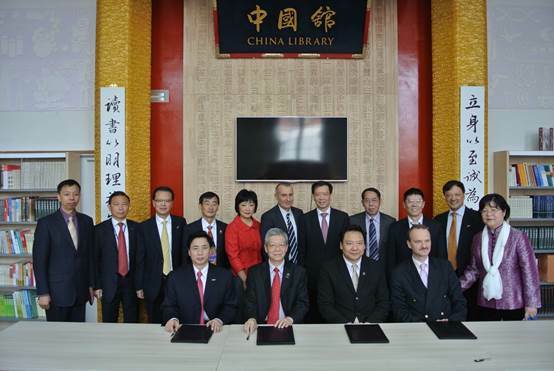 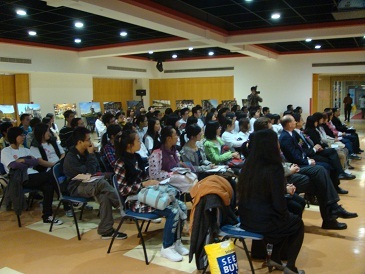 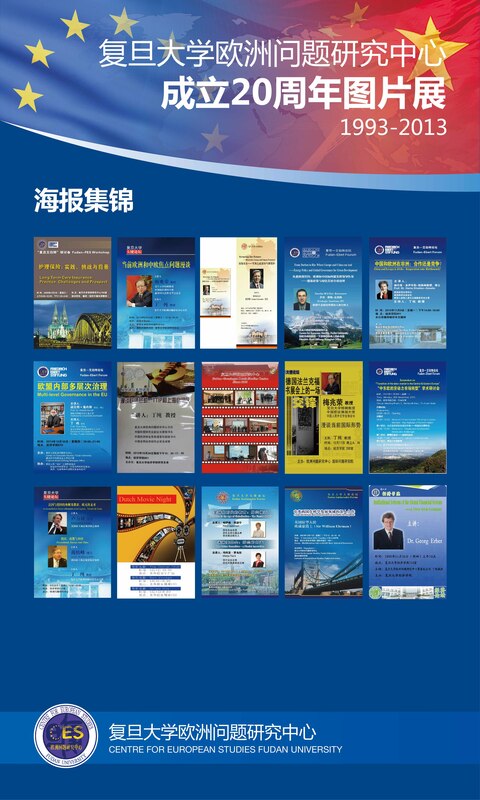 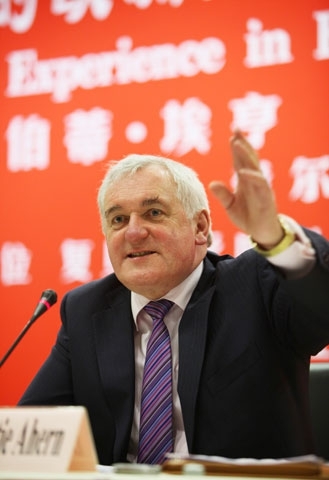 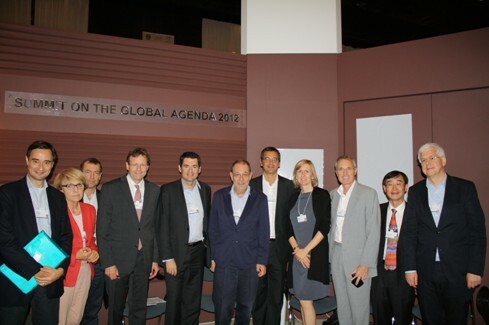 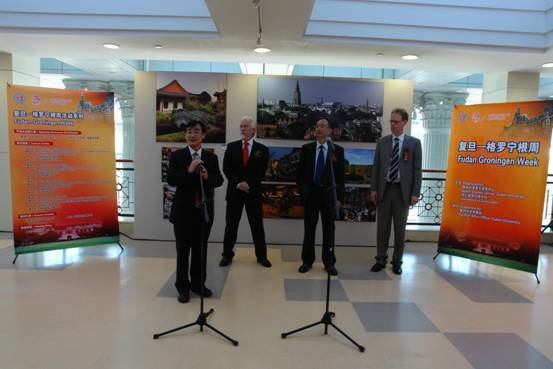 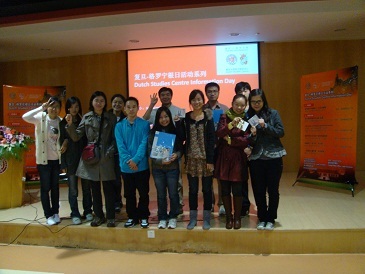 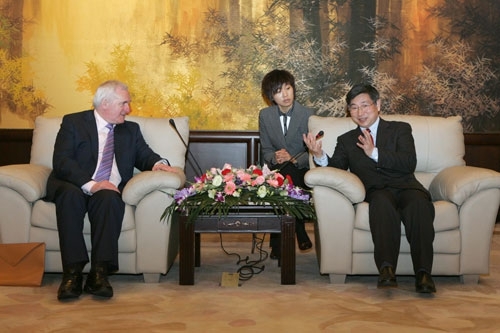 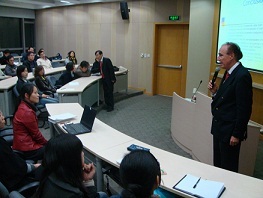 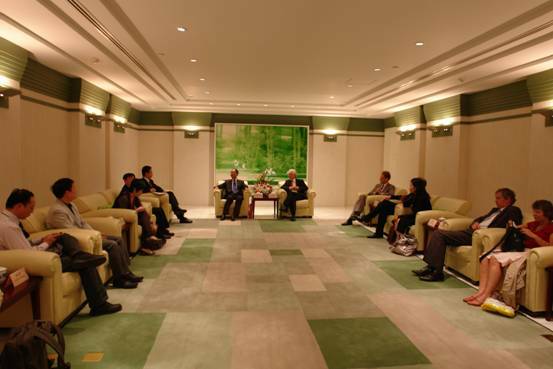 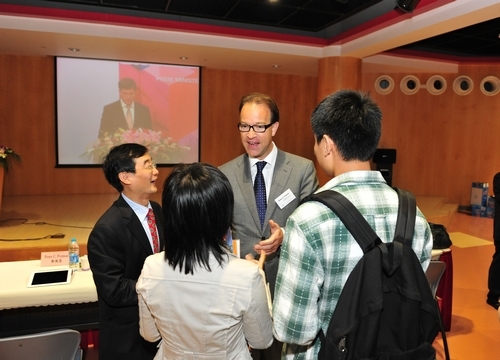 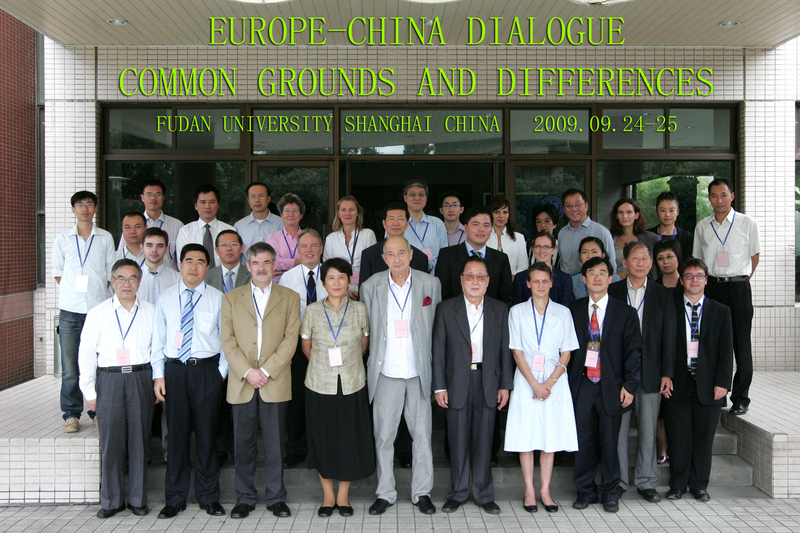 Shanghai Forum, launched in 2005, is known as one of the most famous international forums heldin Shanghai. 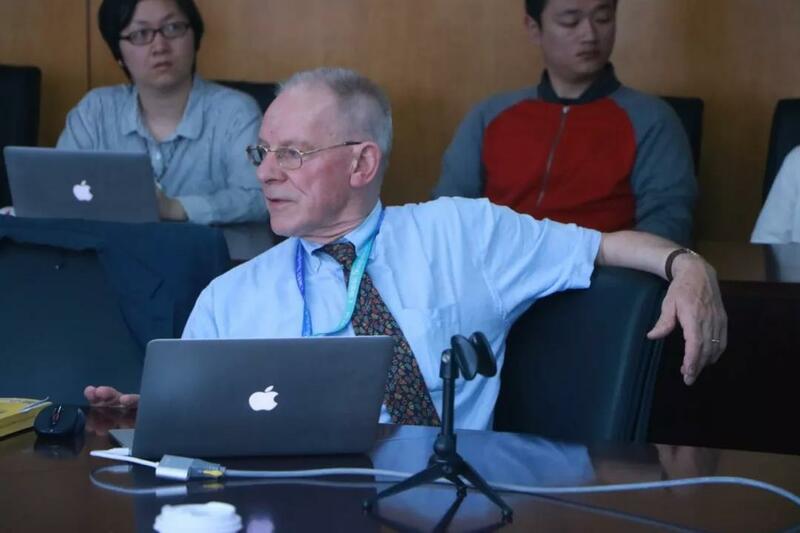 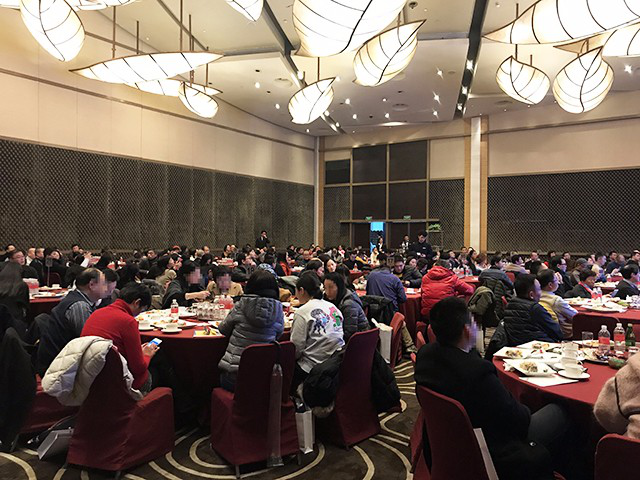 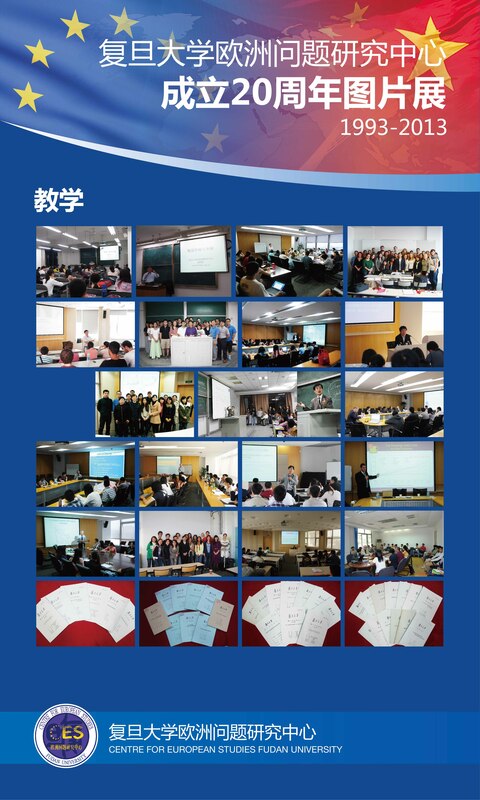 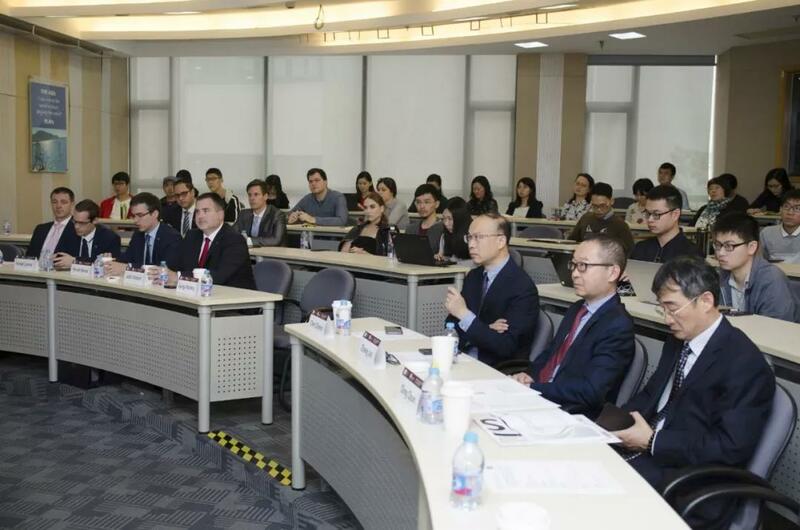 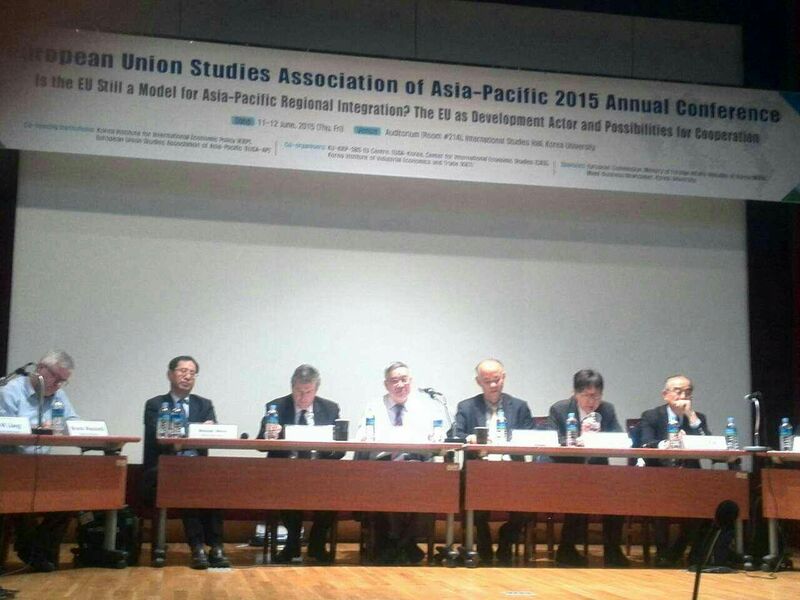 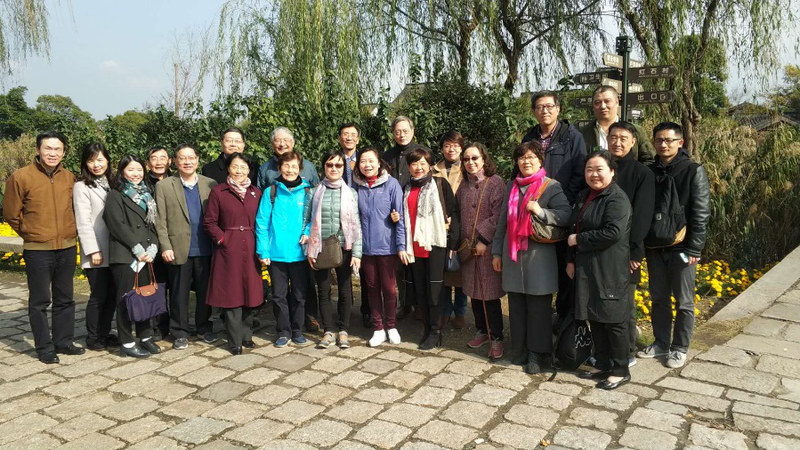 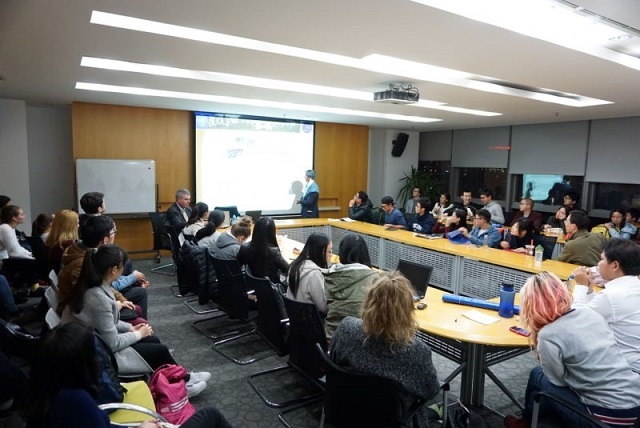 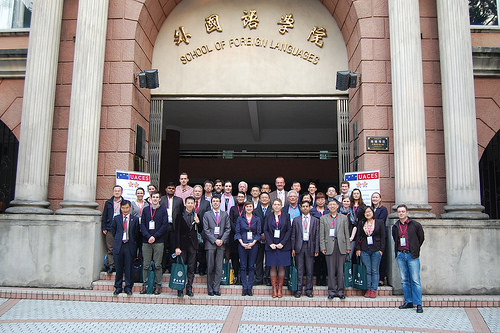 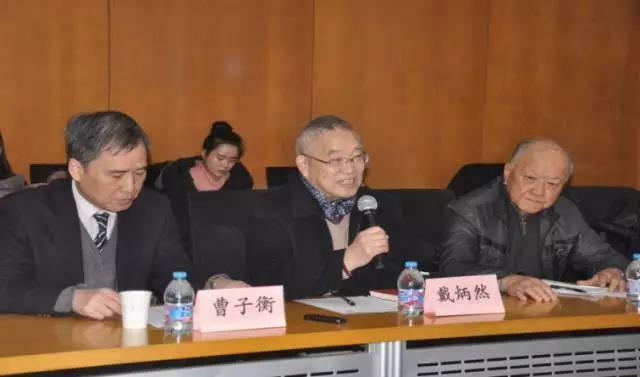 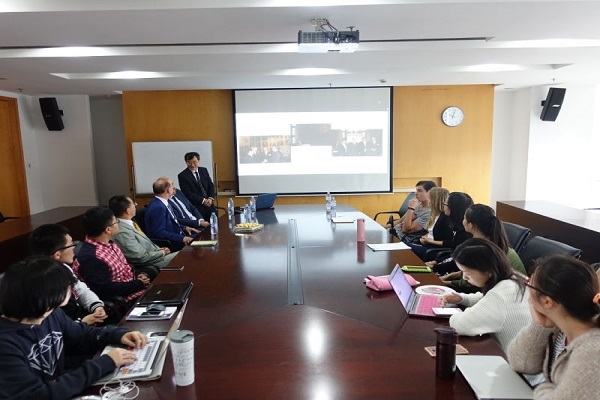 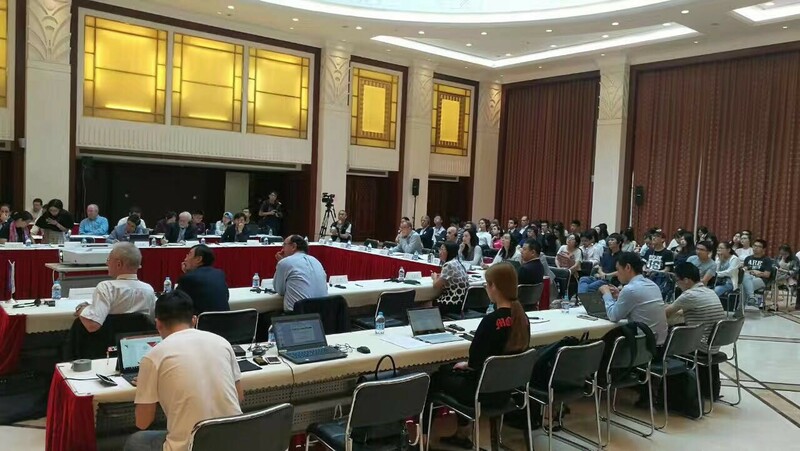 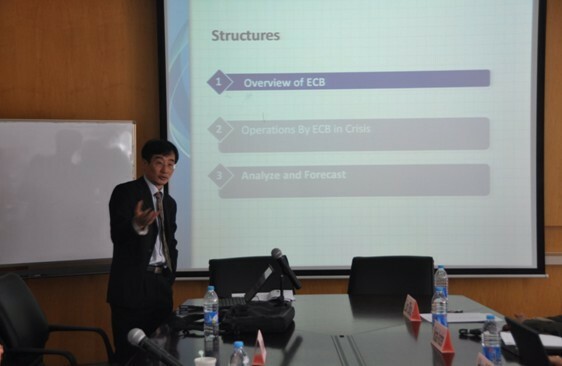 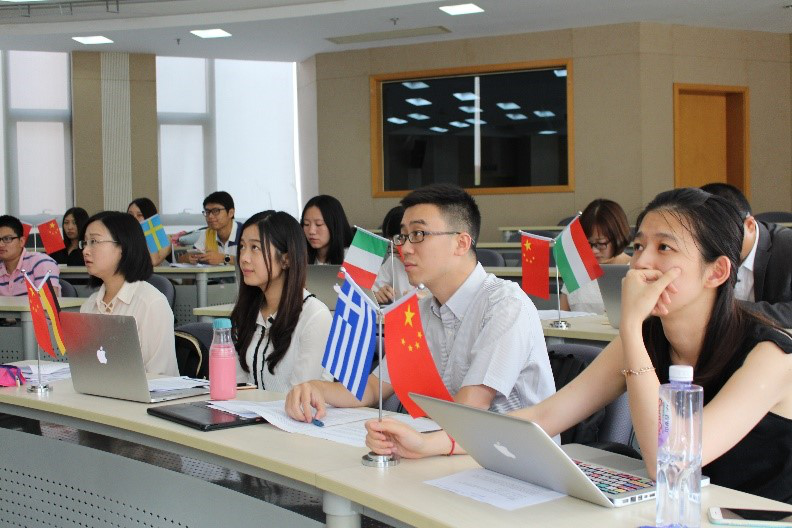 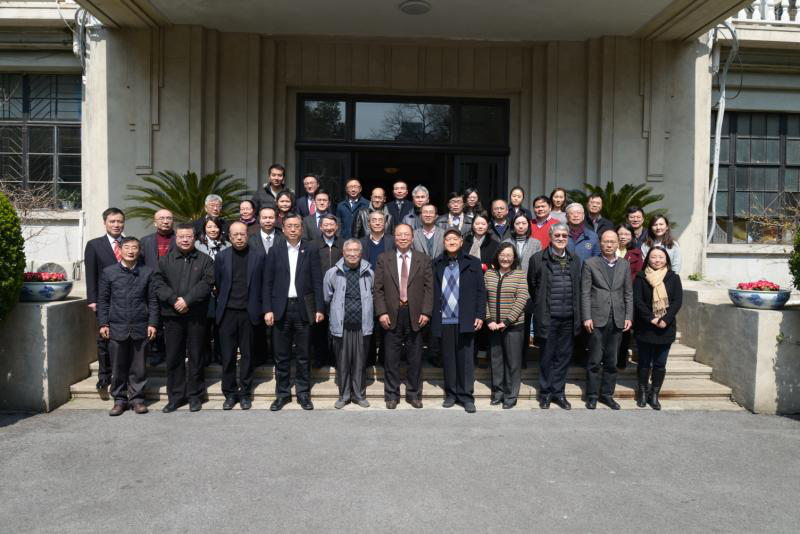 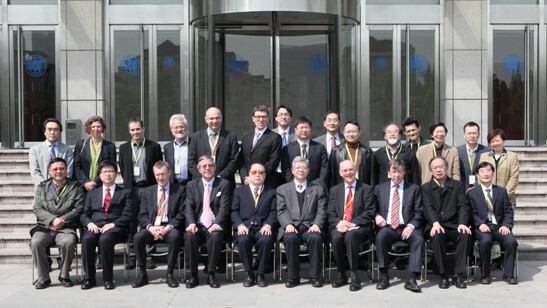 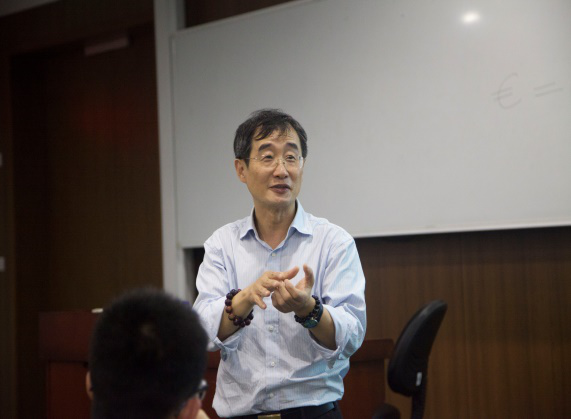 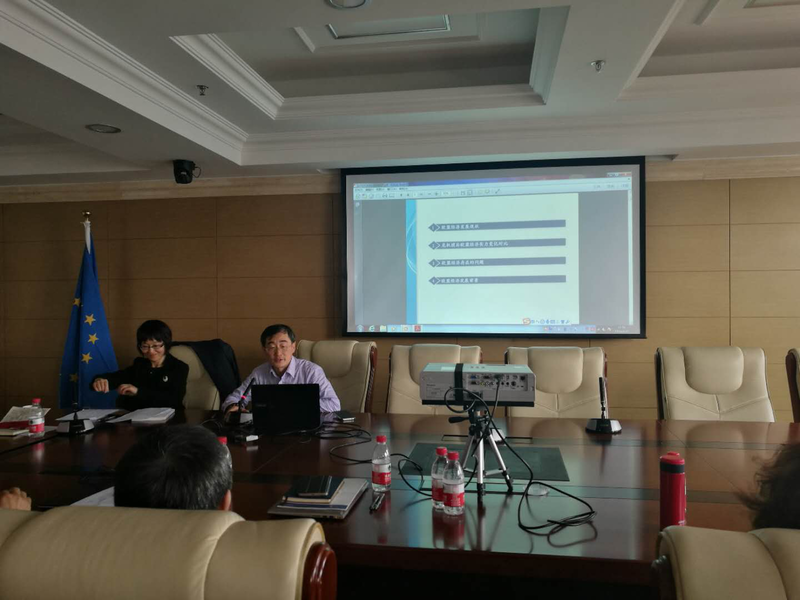 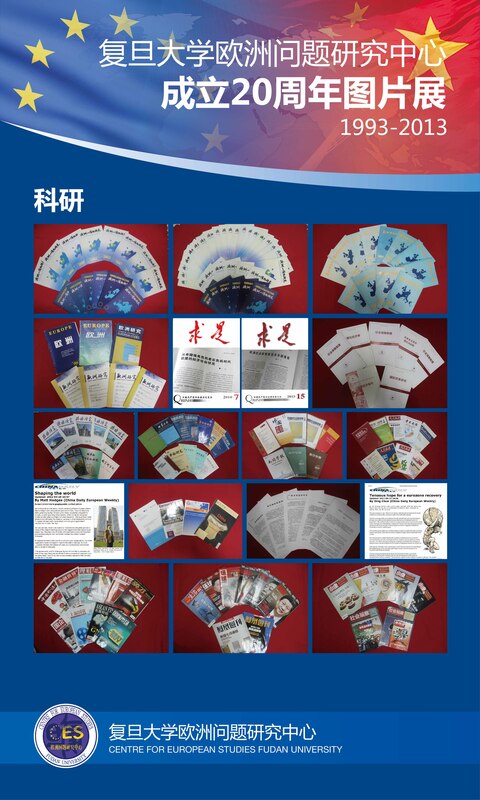 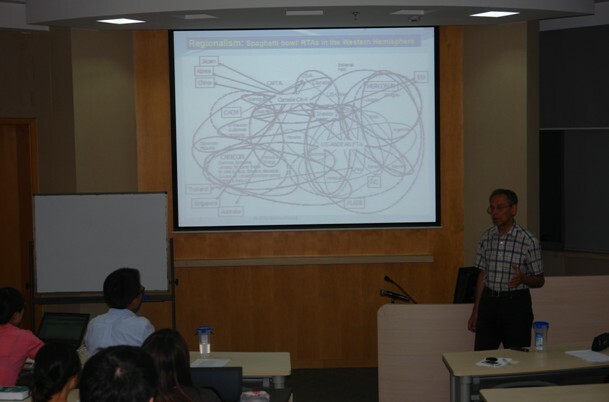 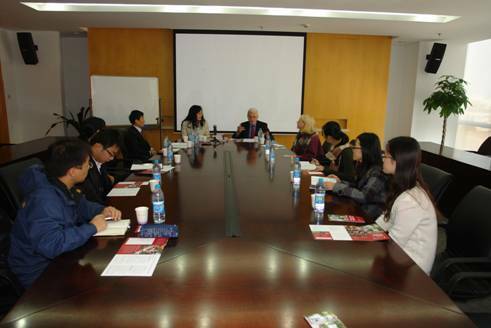 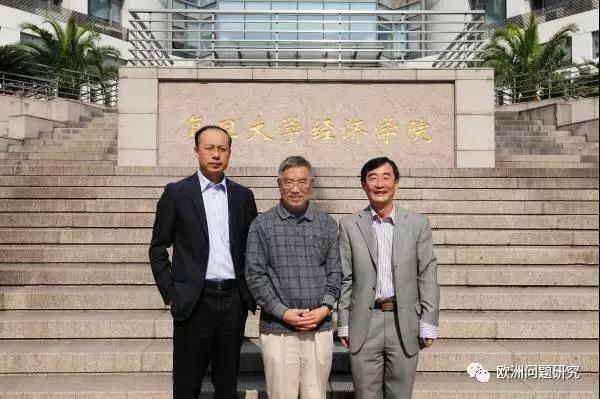 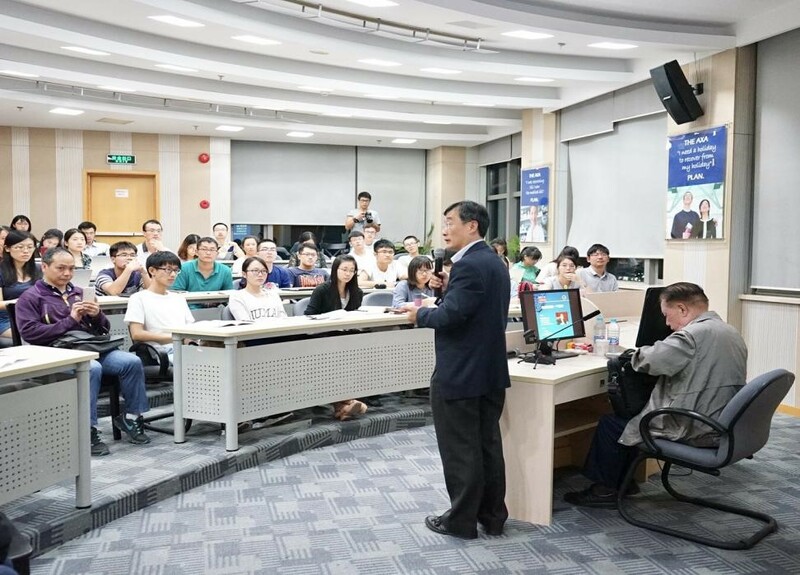 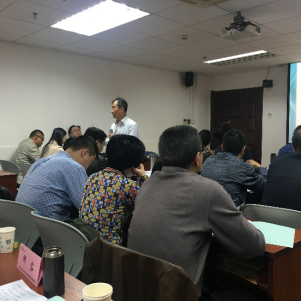 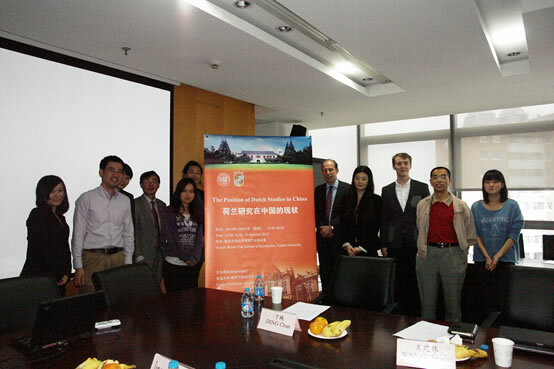 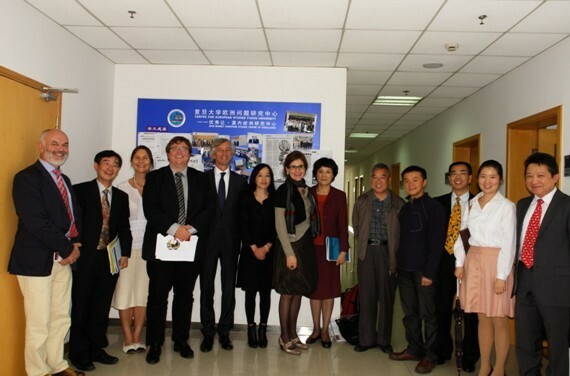 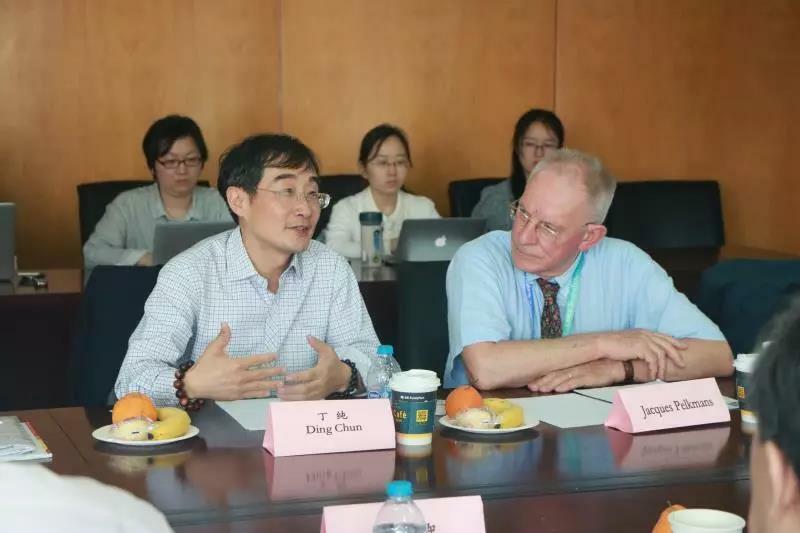 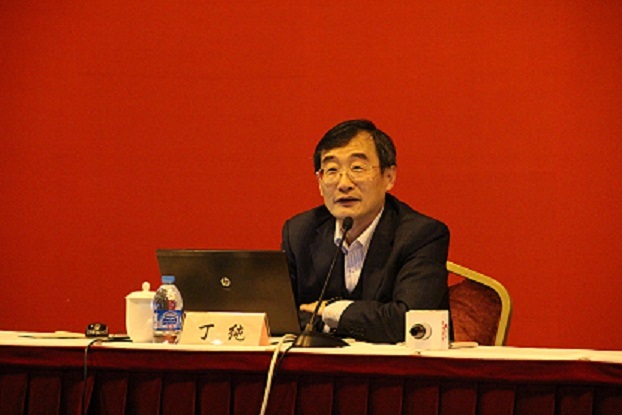 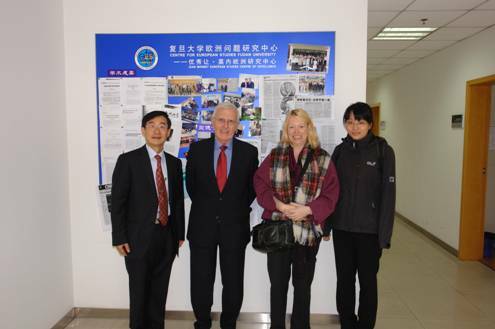 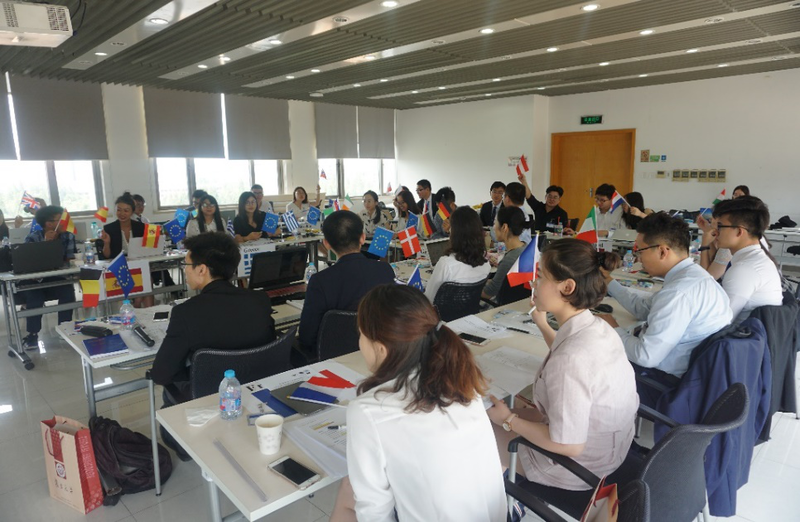 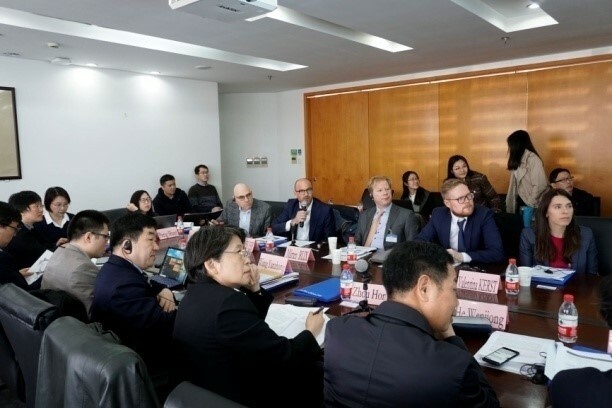 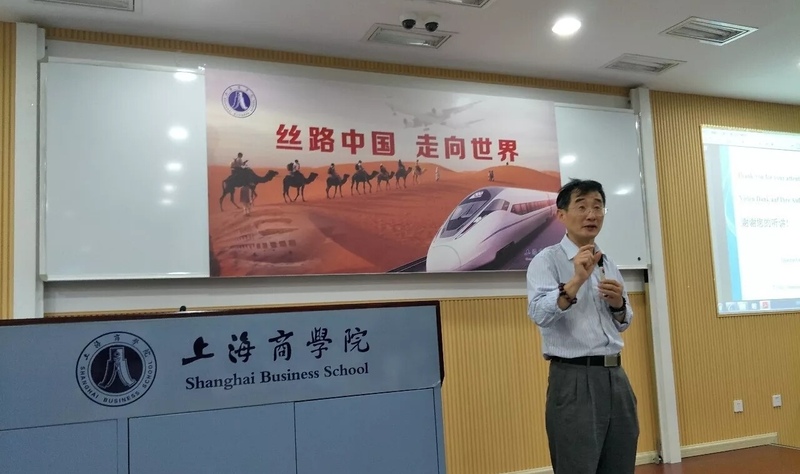 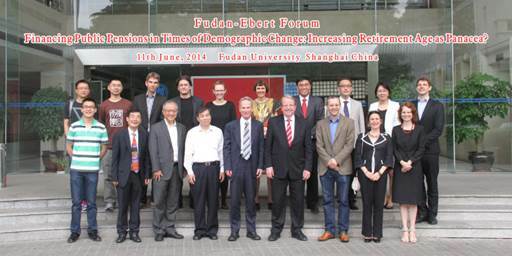 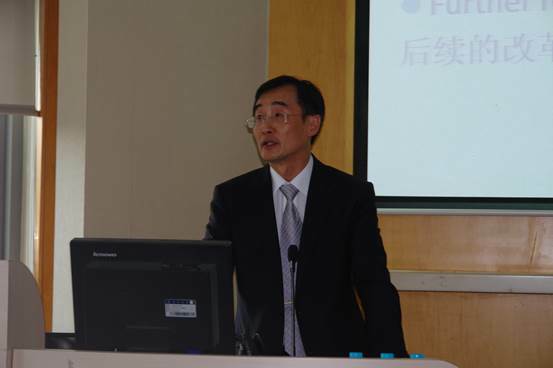 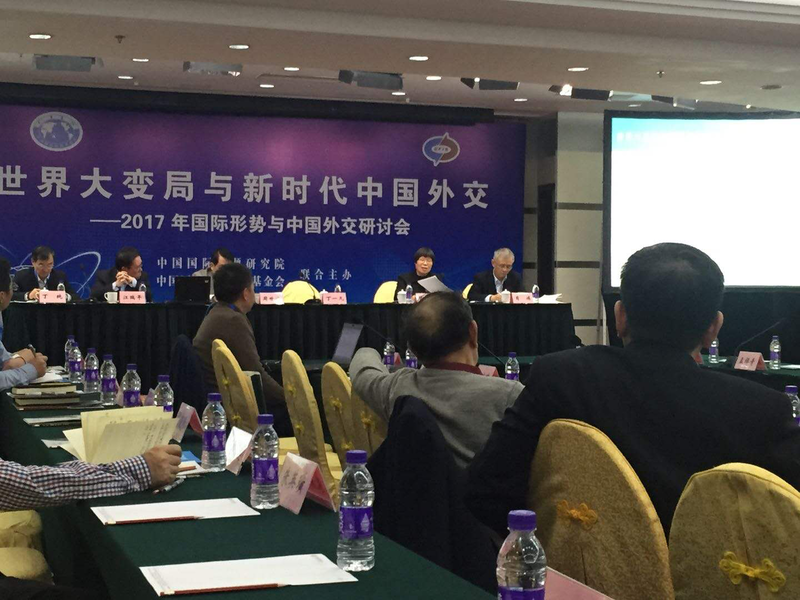 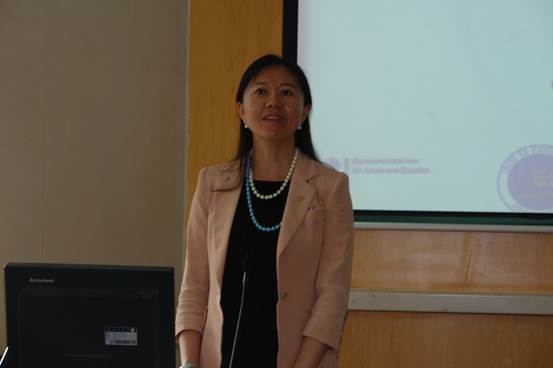 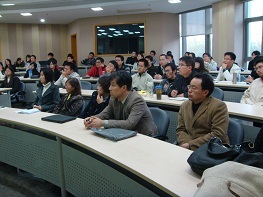 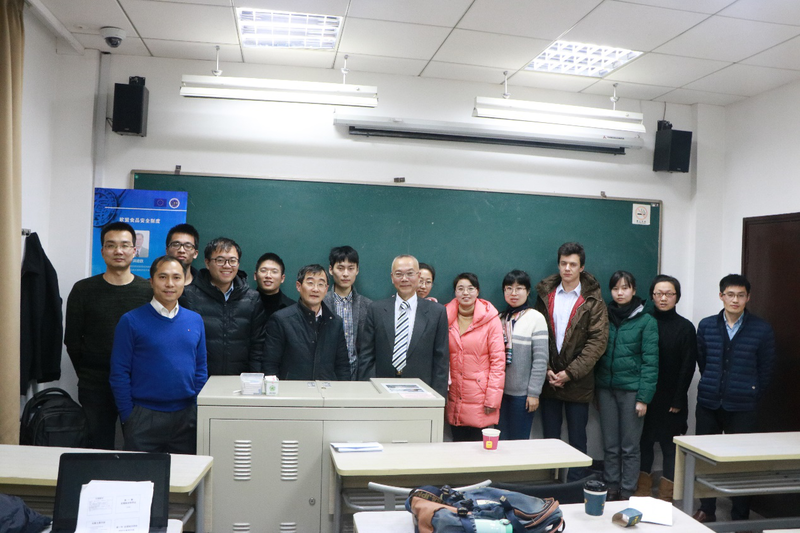 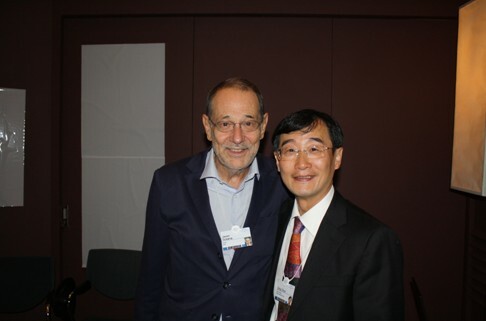 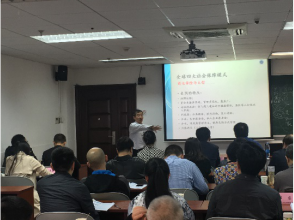 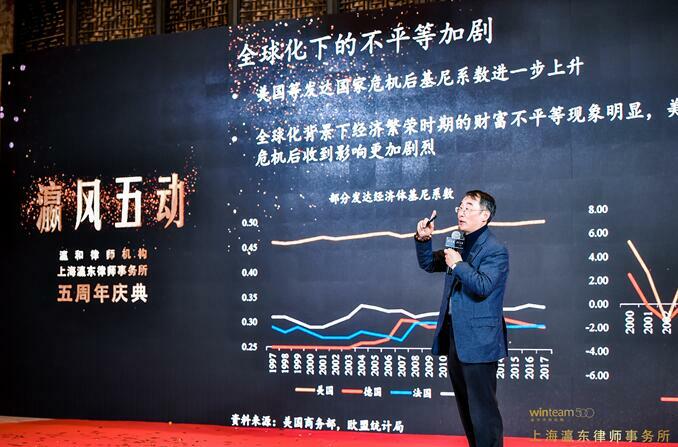 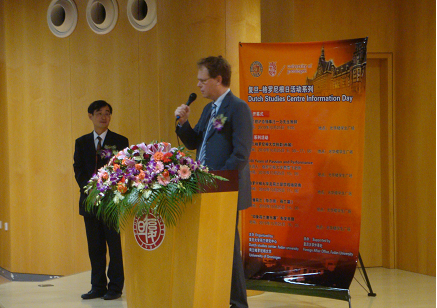 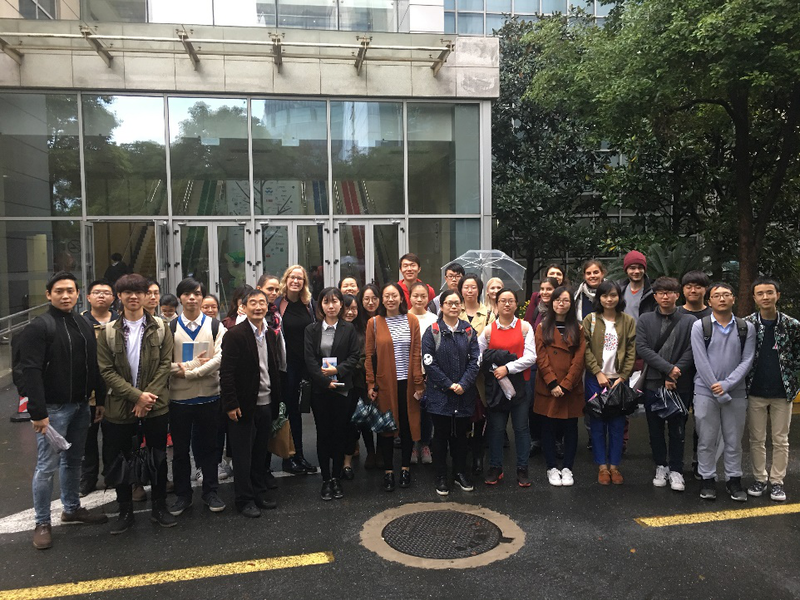 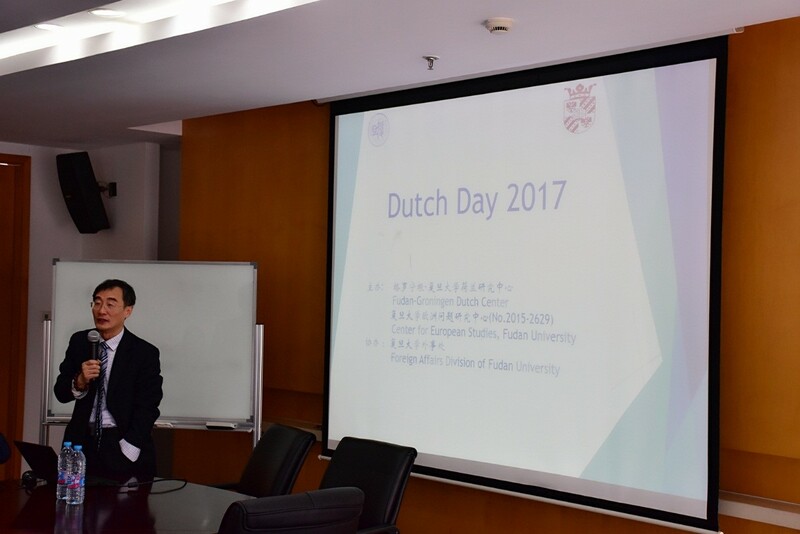 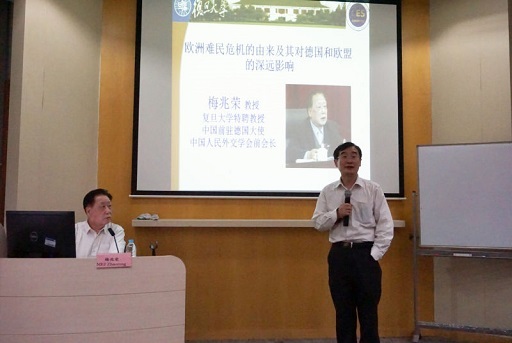 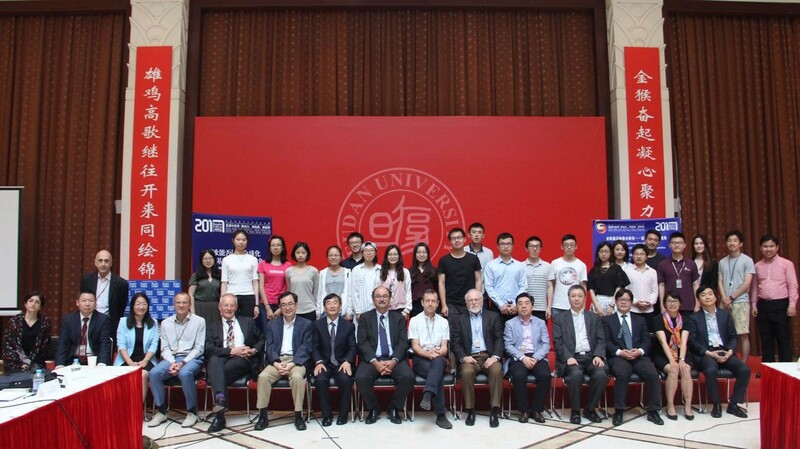 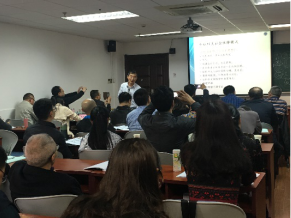 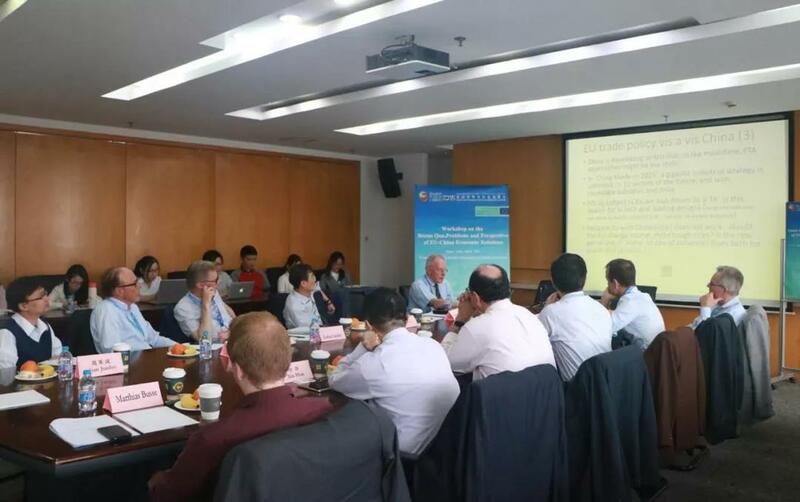 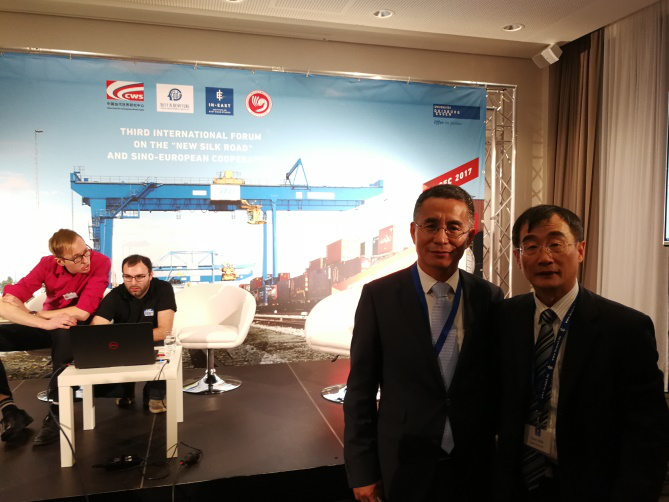 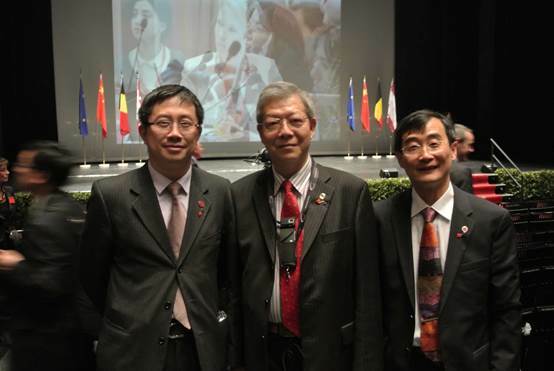 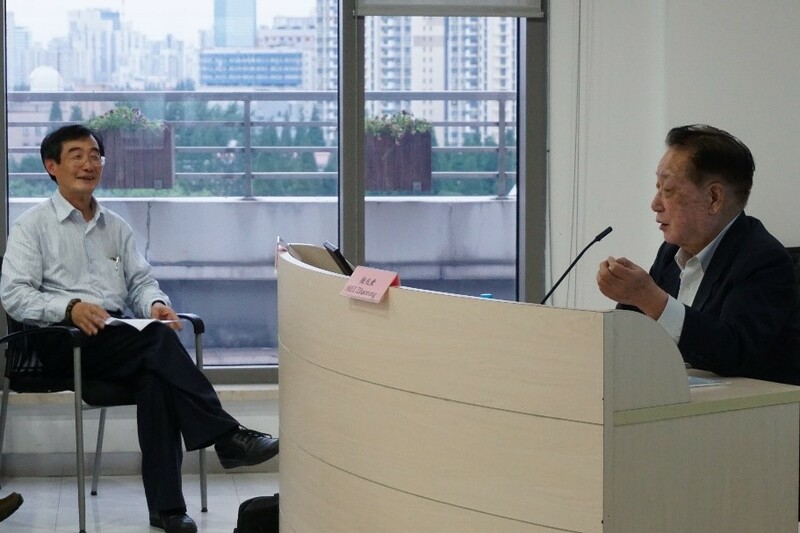 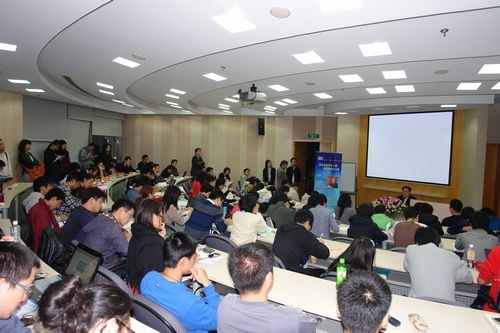 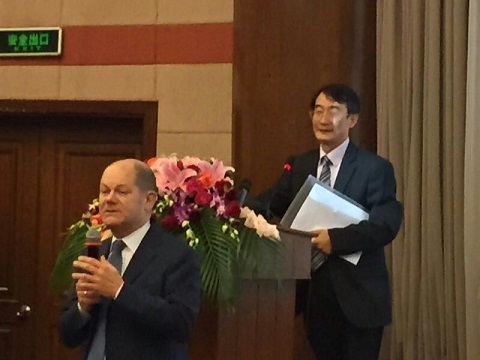 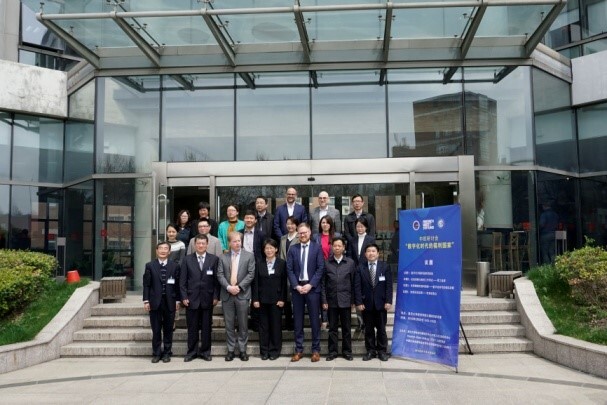 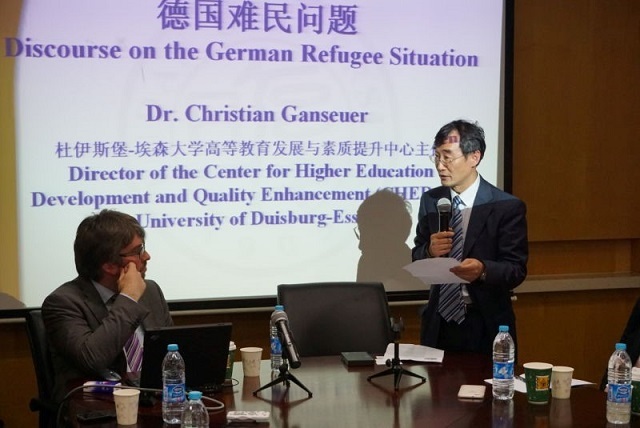 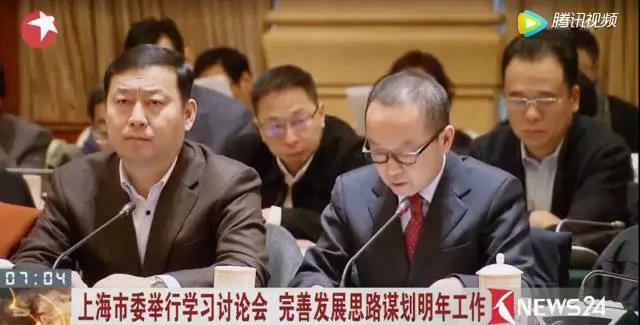 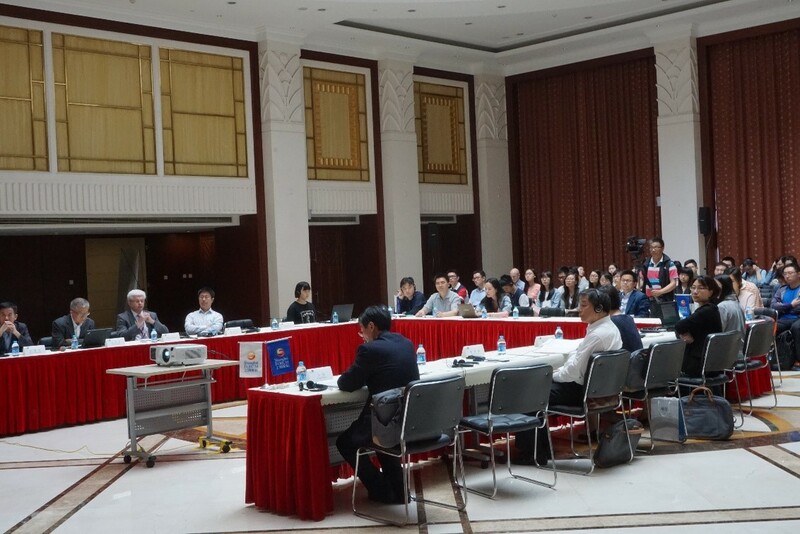 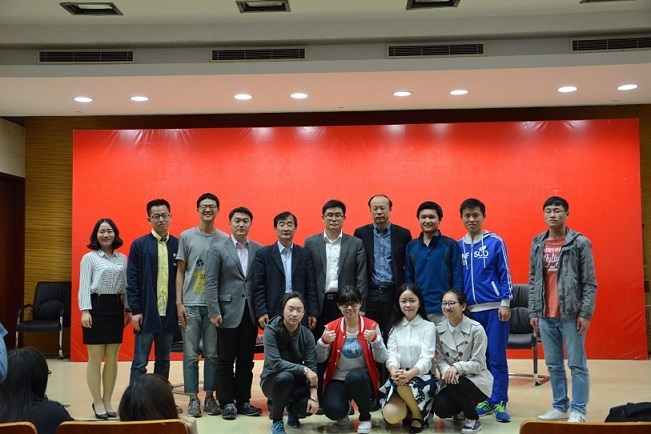 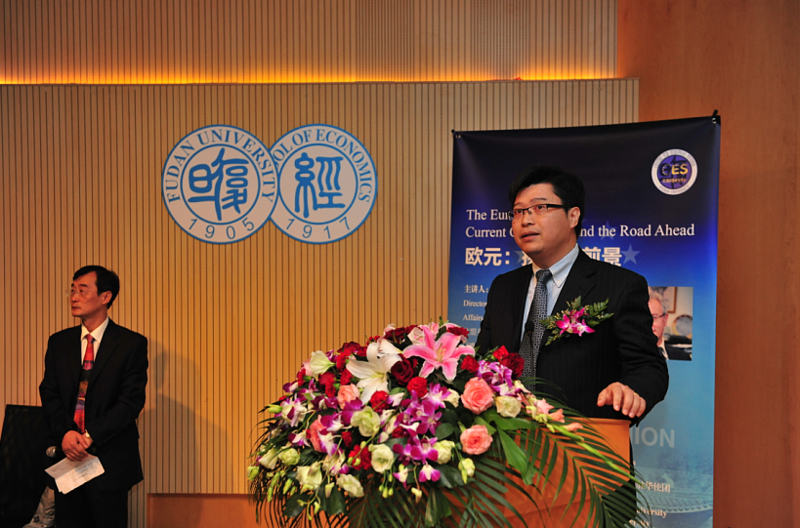 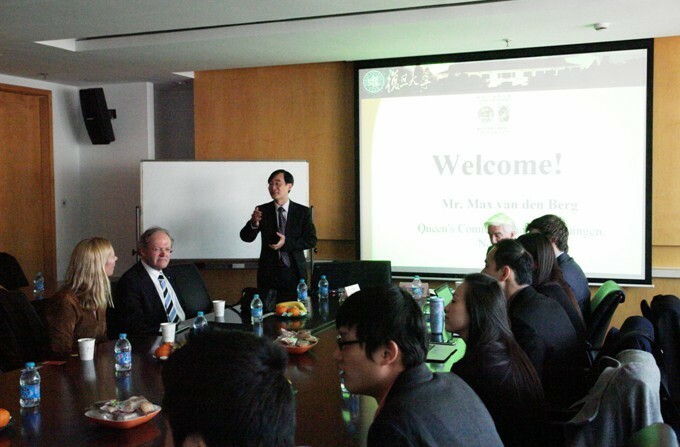 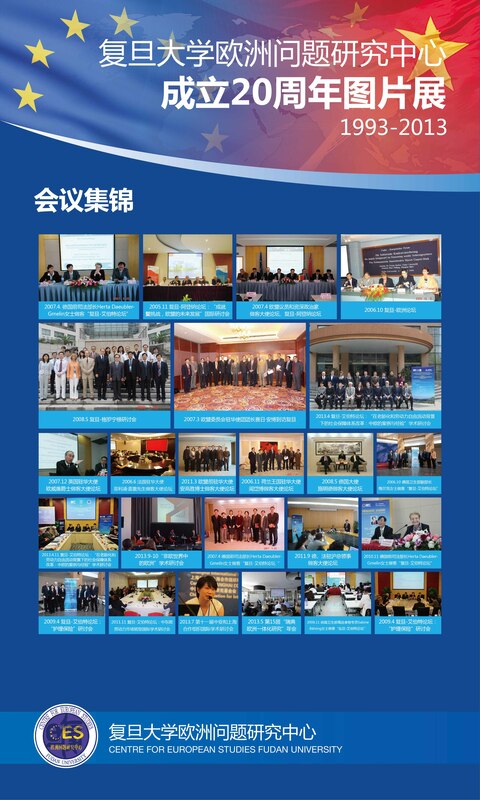 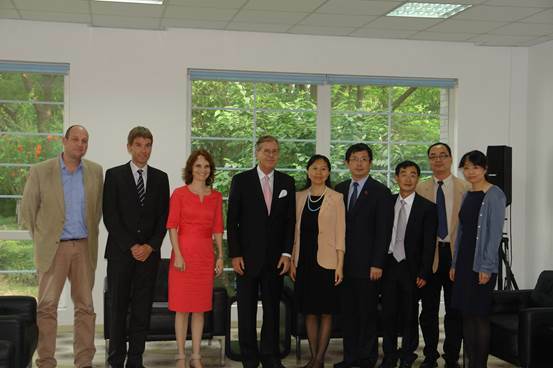 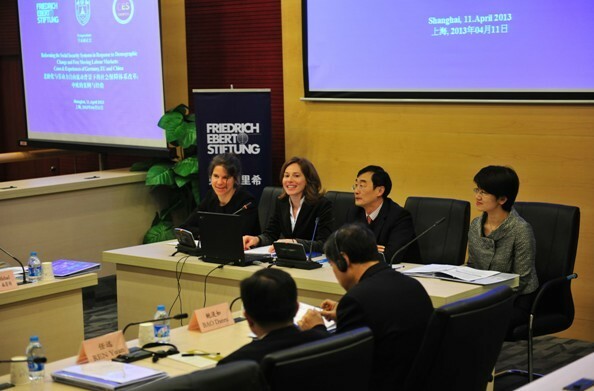 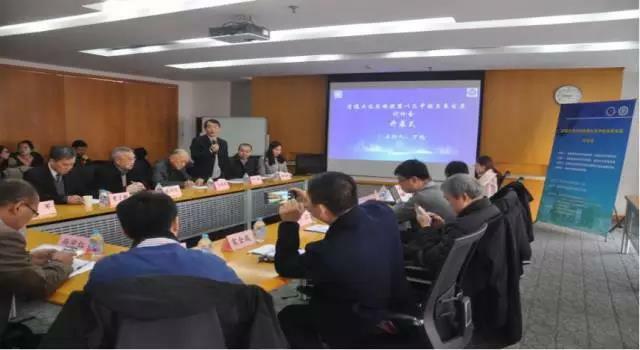 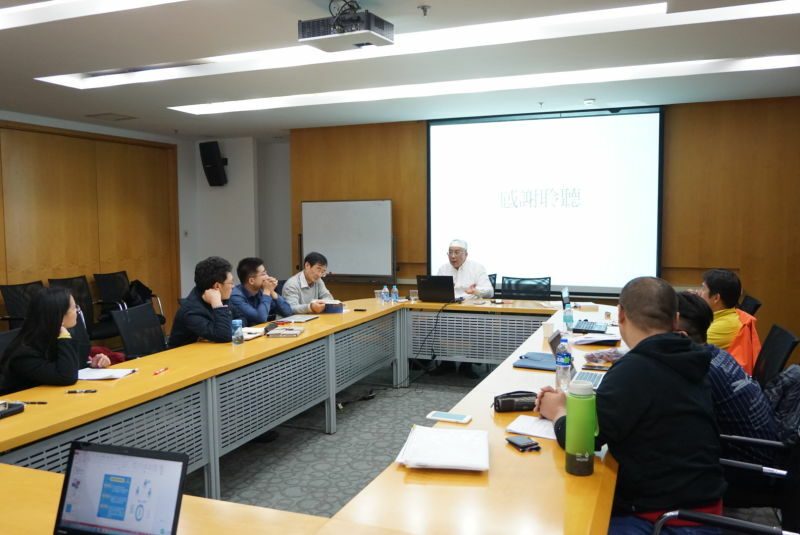 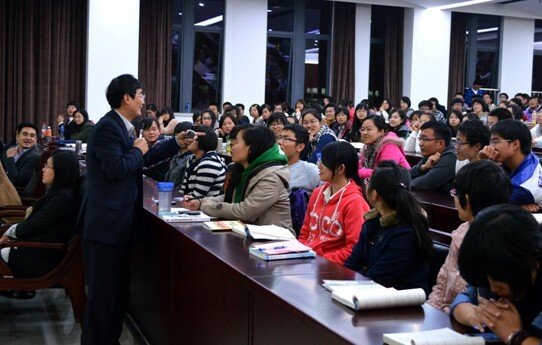 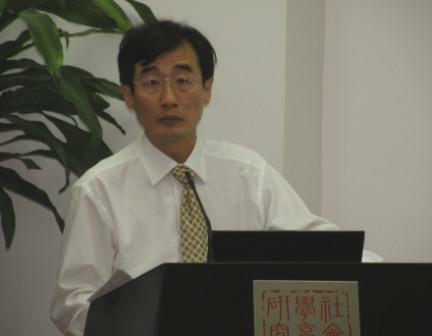 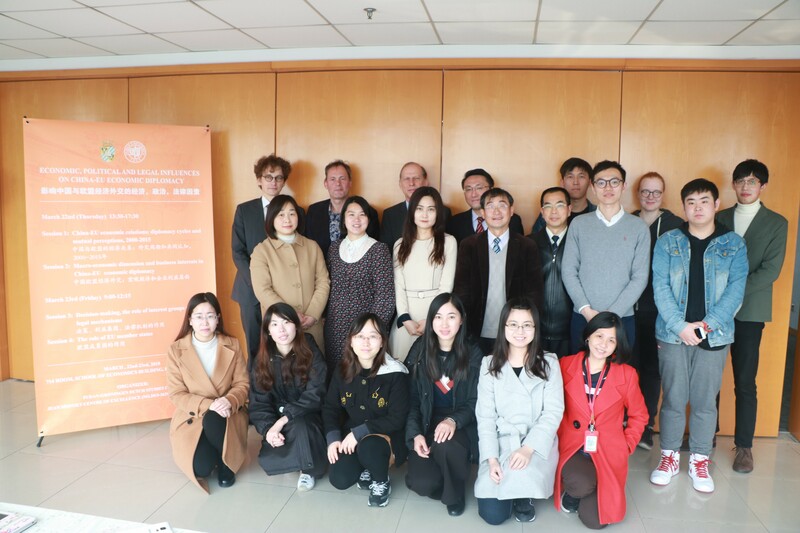 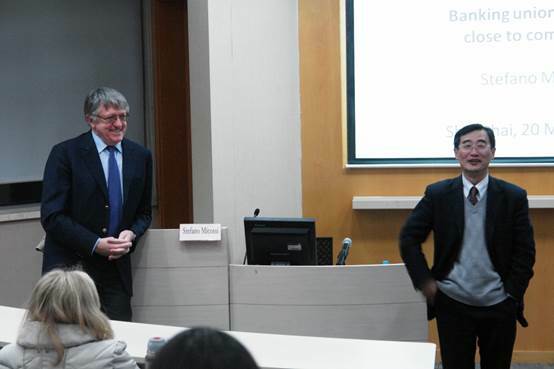 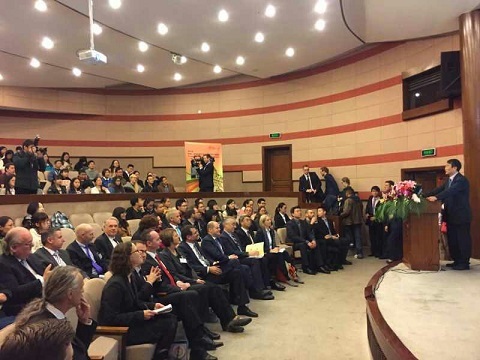 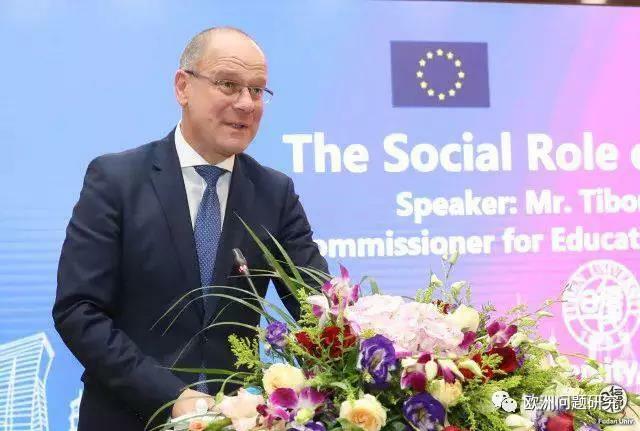 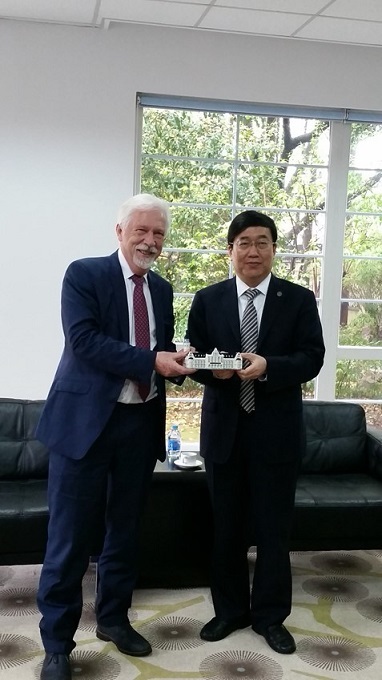 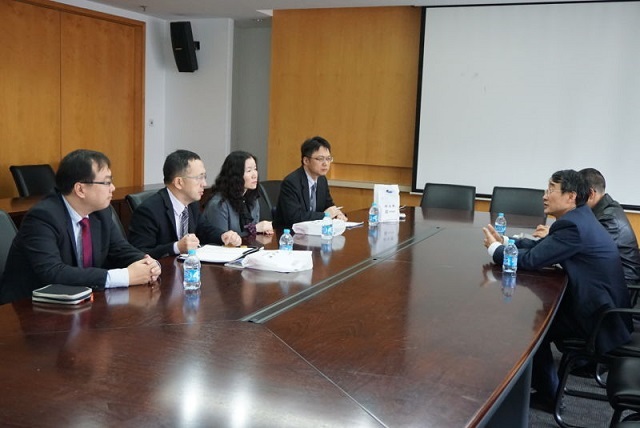 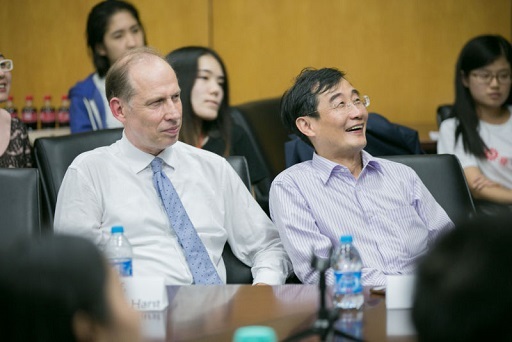 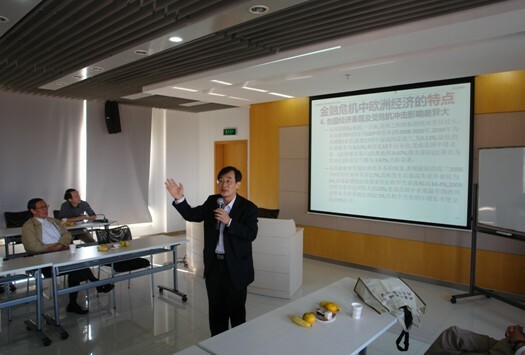 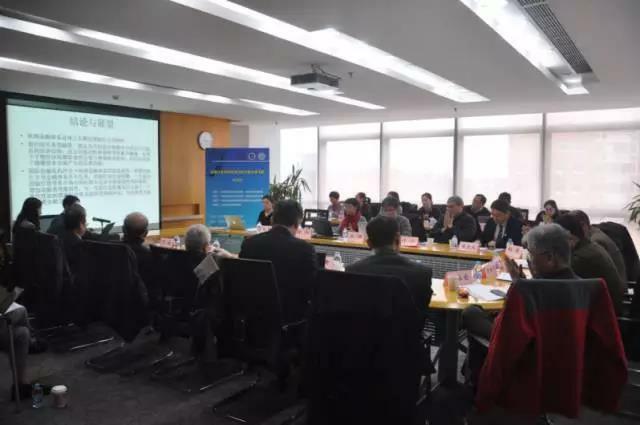 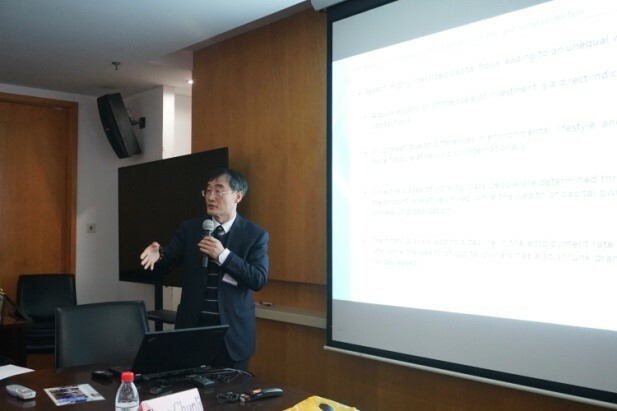 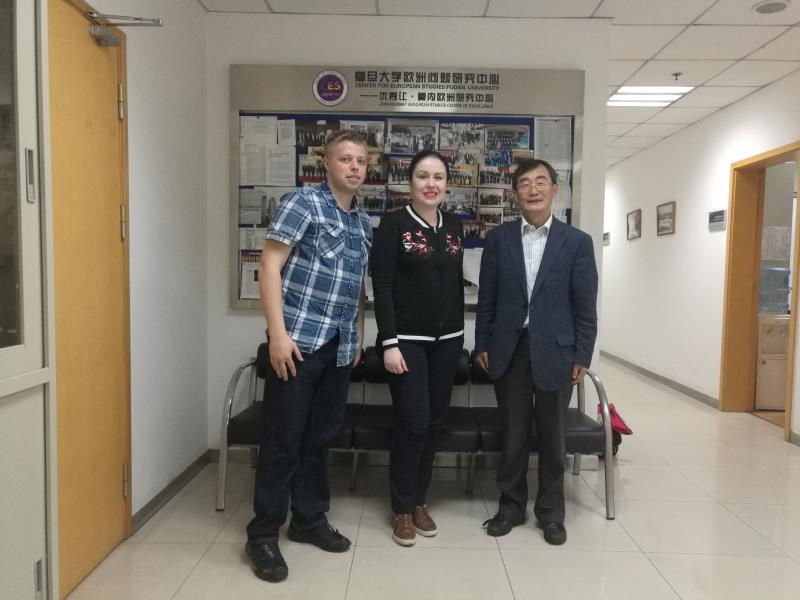 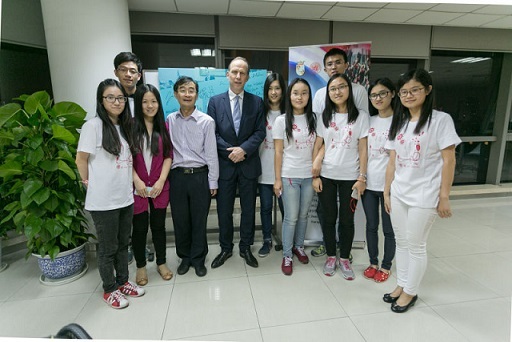 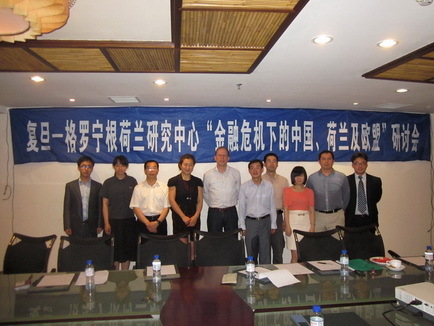 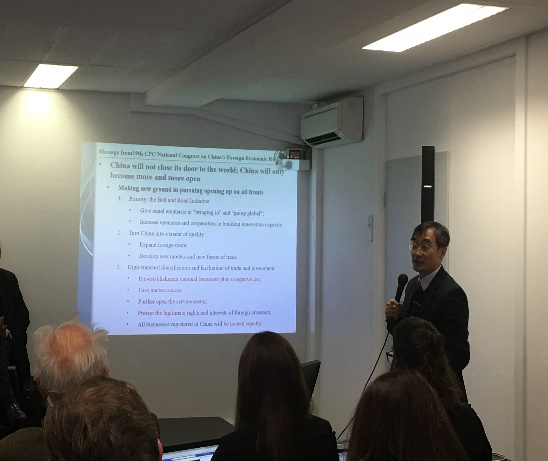 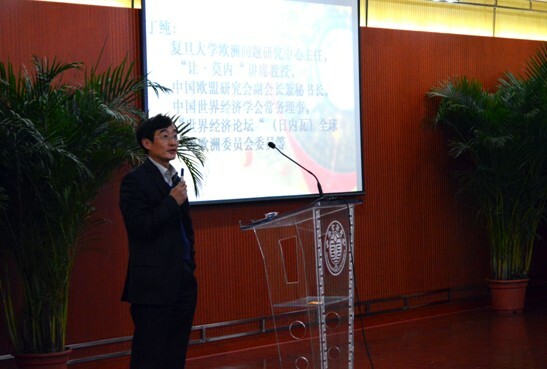 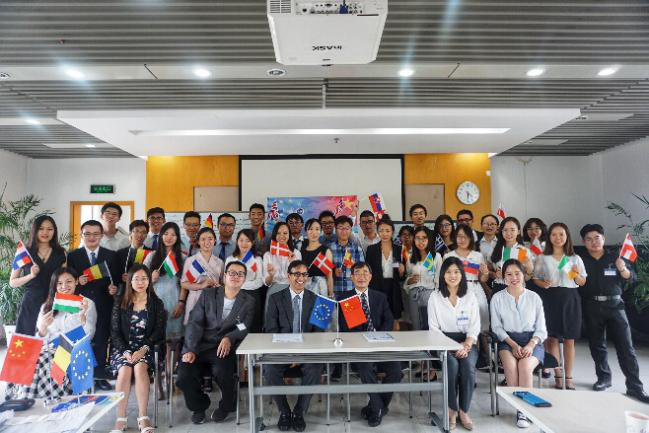 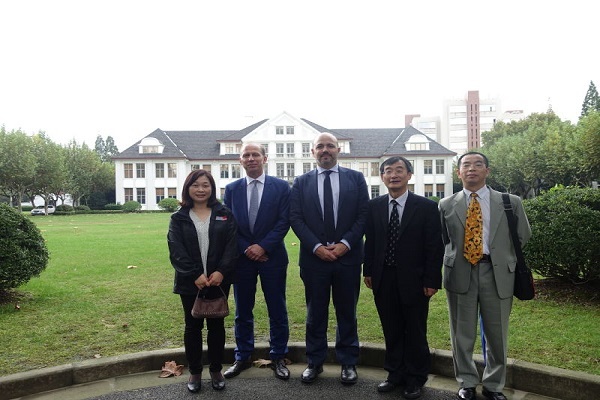 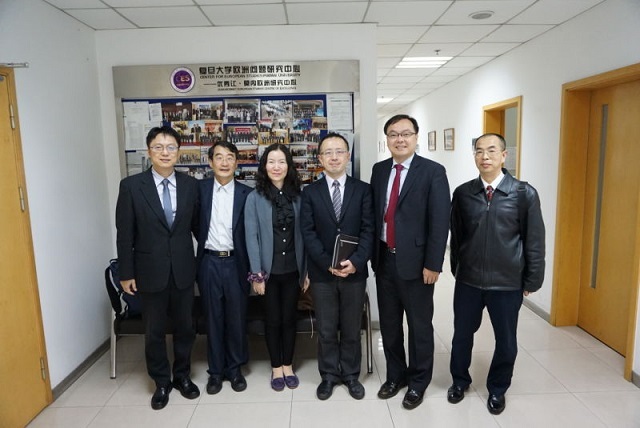 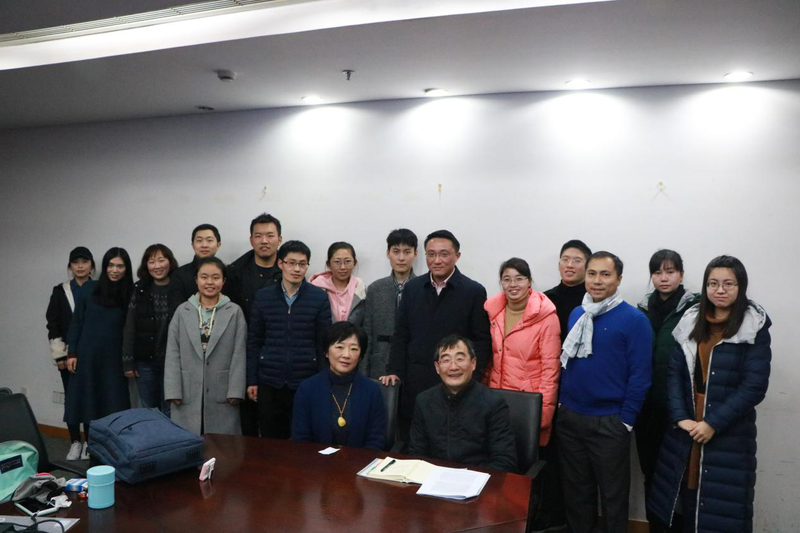 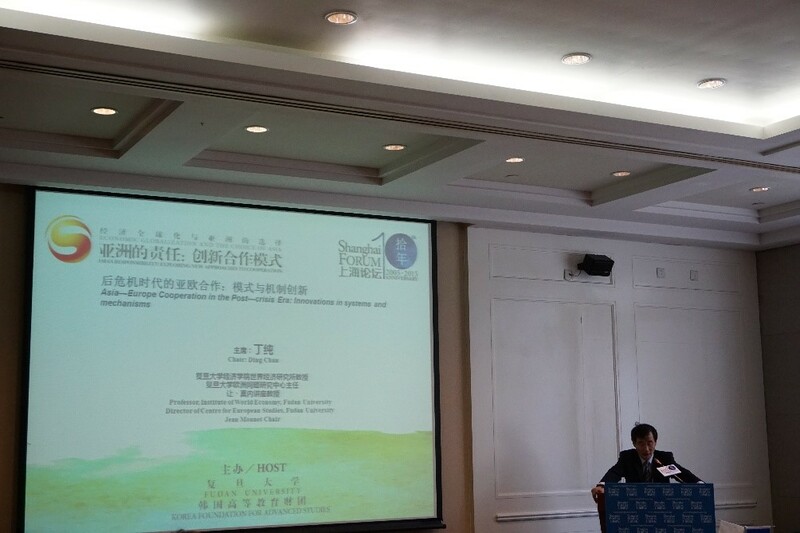 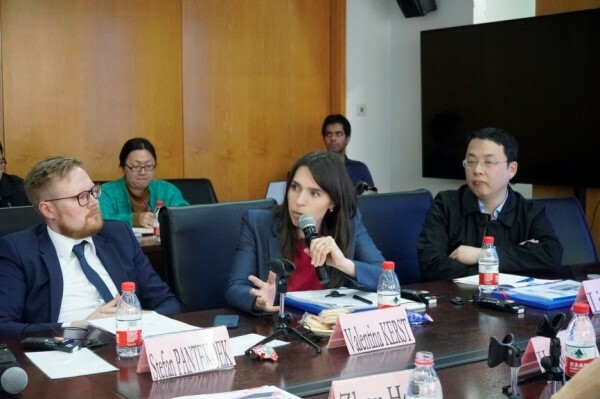 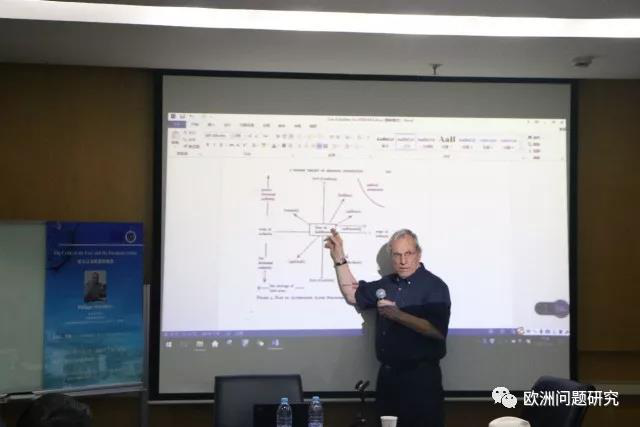 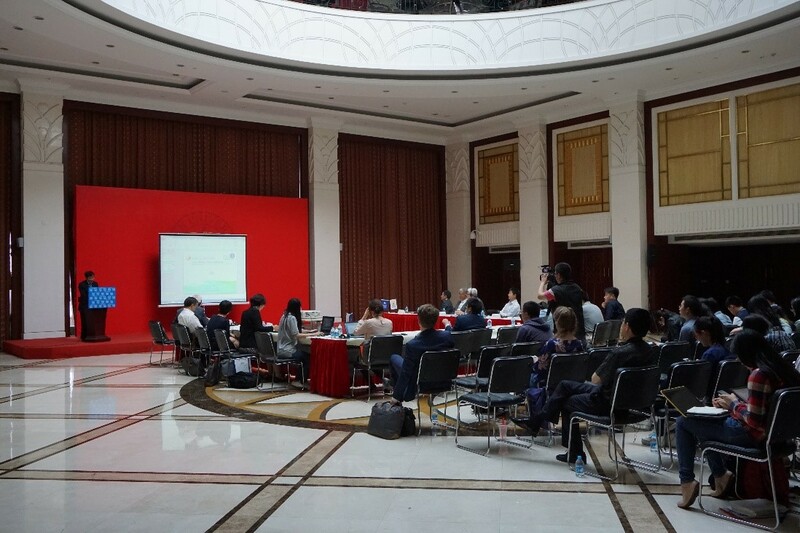 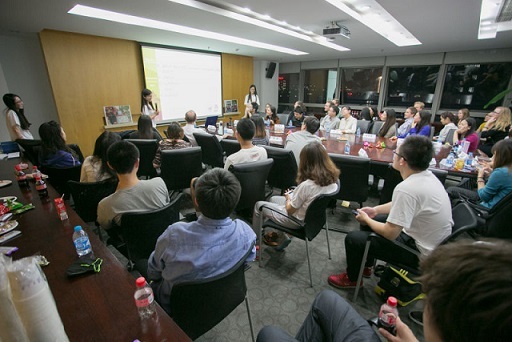 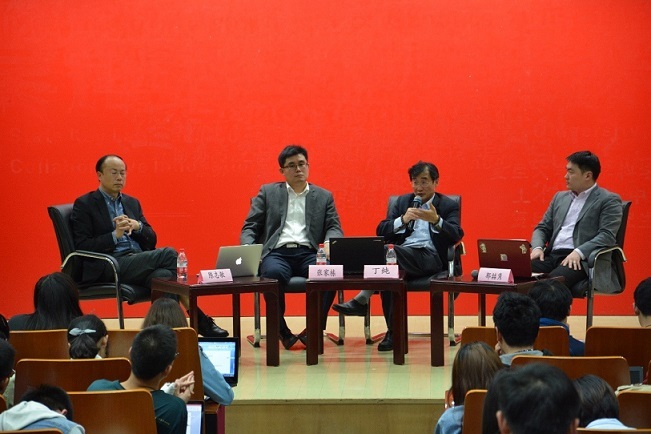 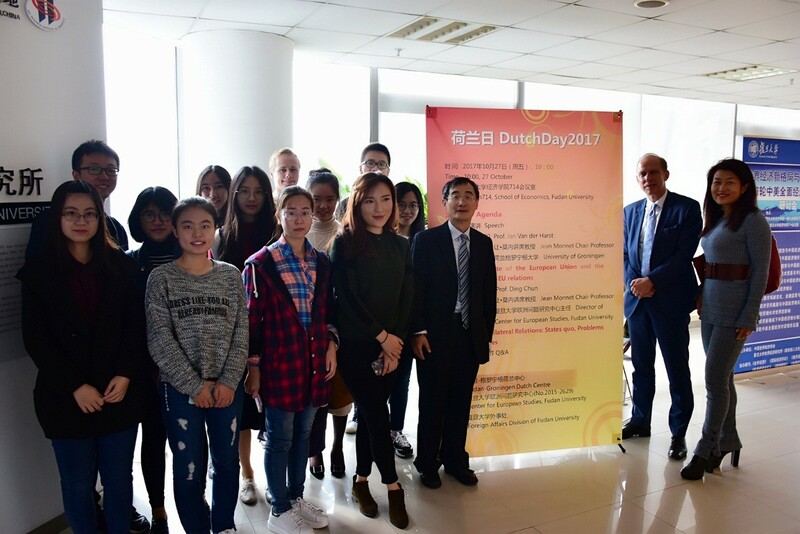 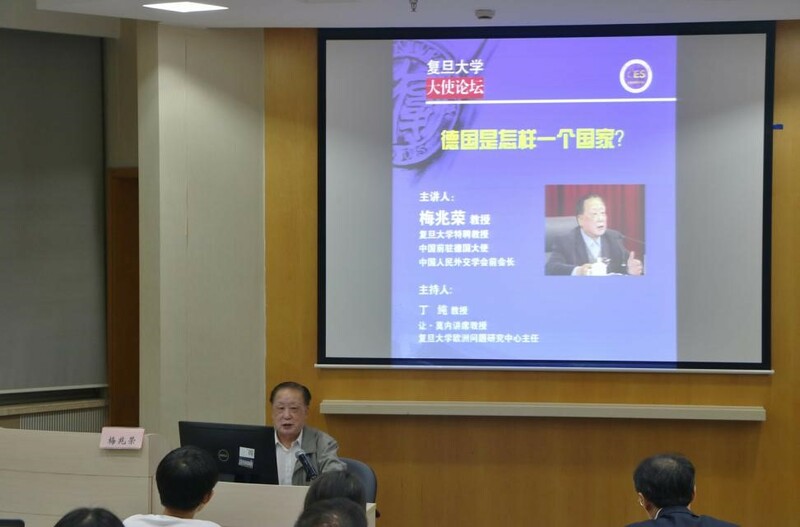 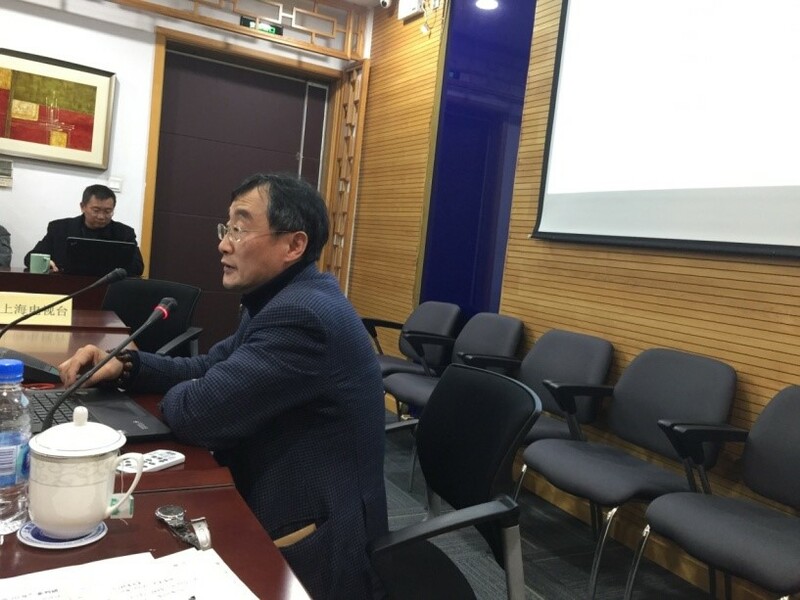 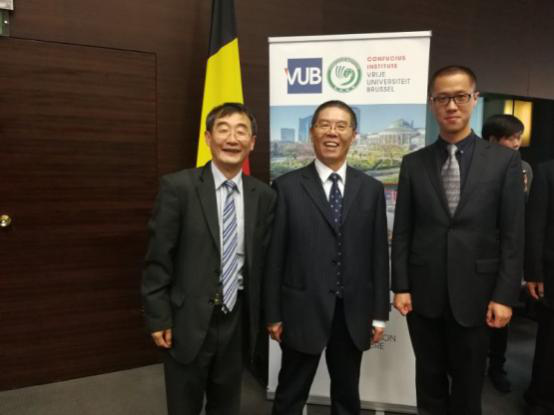 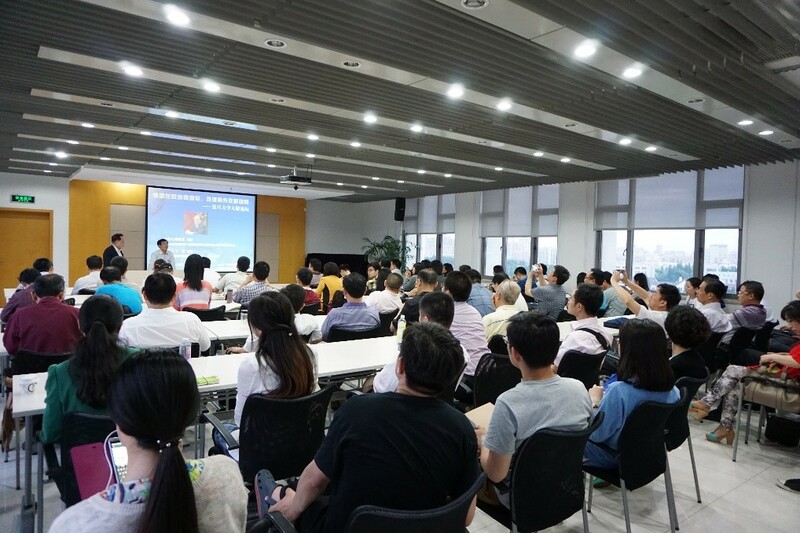 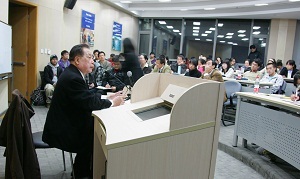 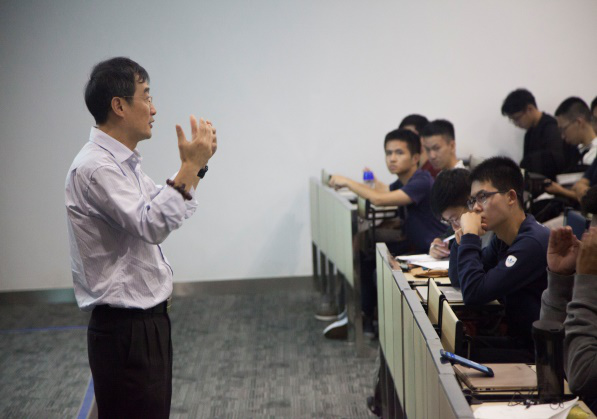 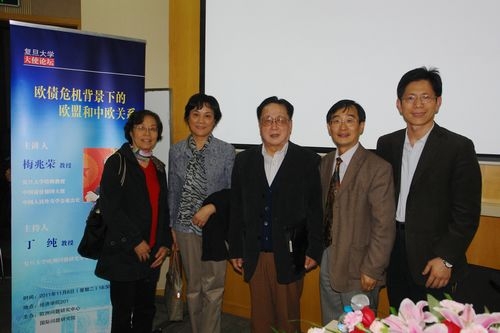 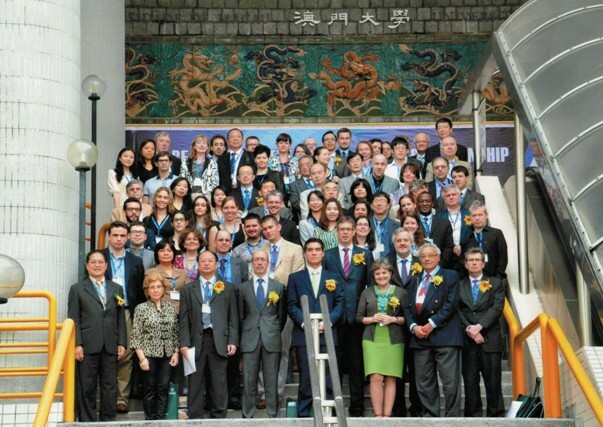 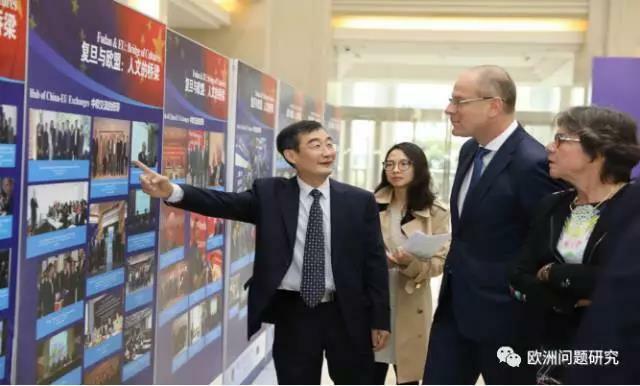 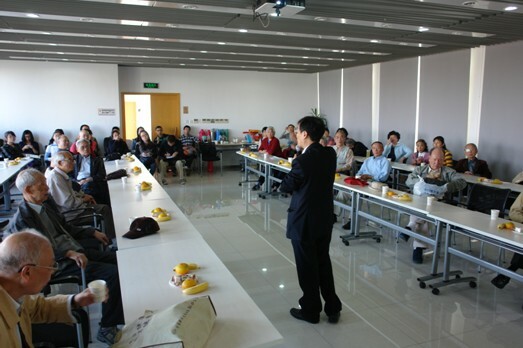 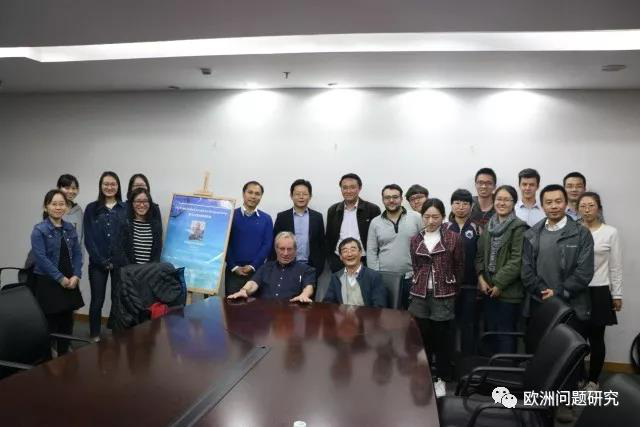 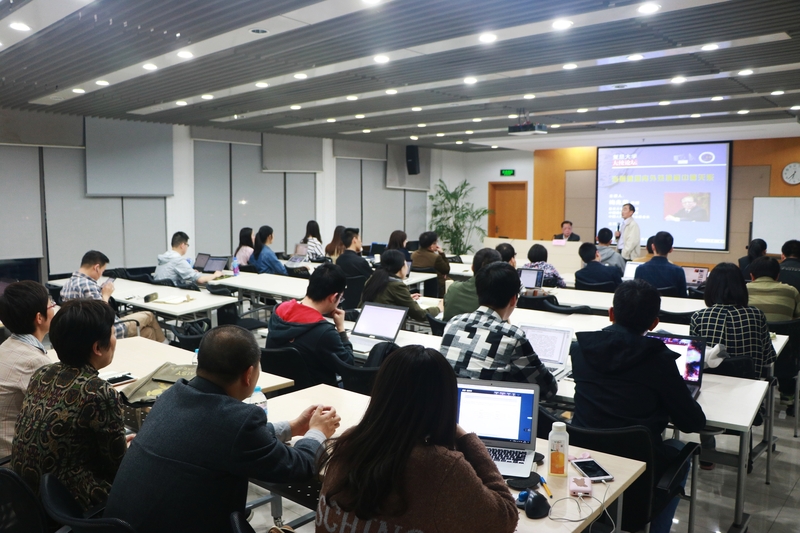 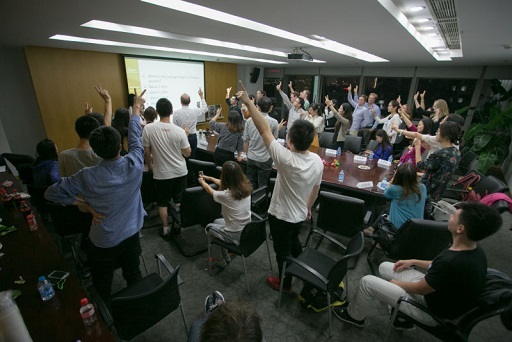 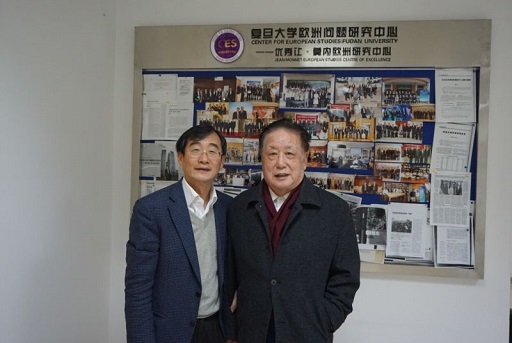 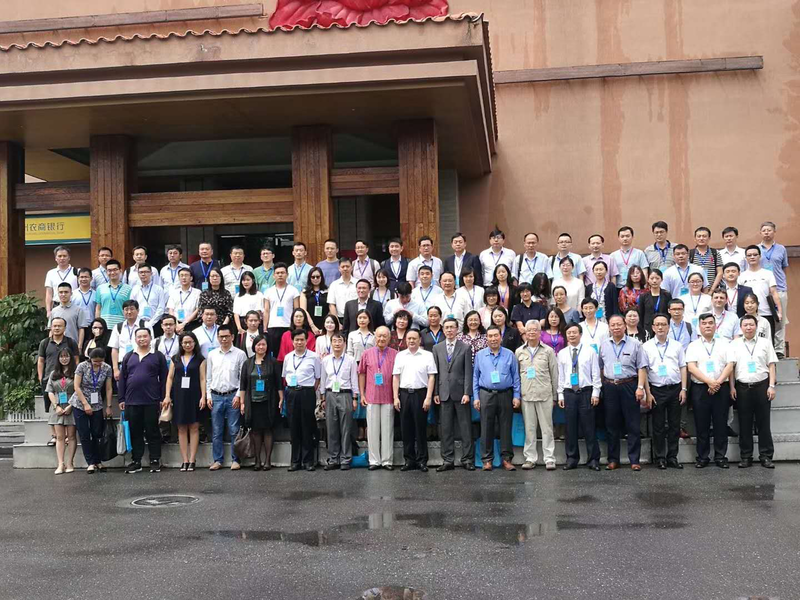 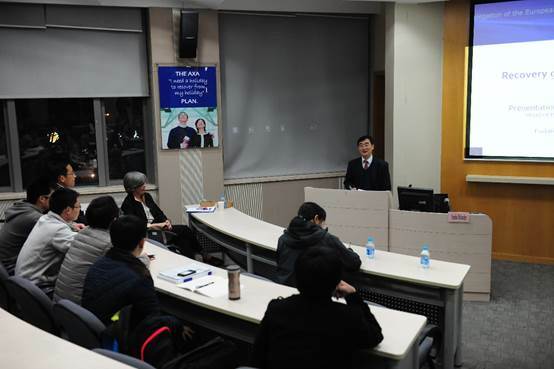 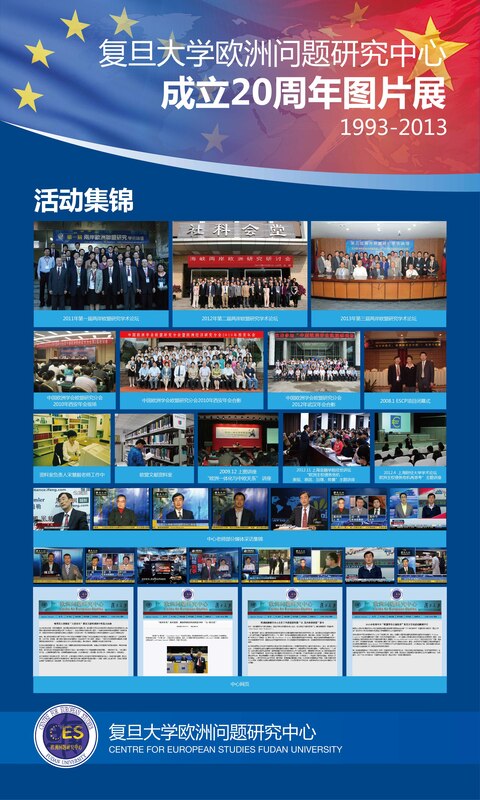 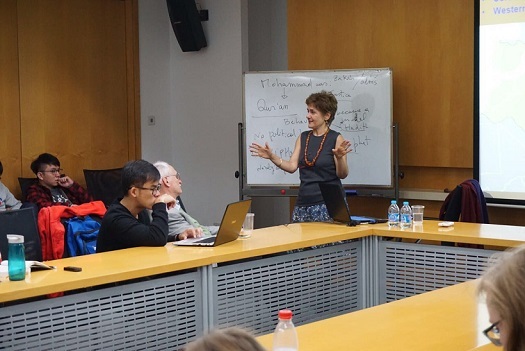 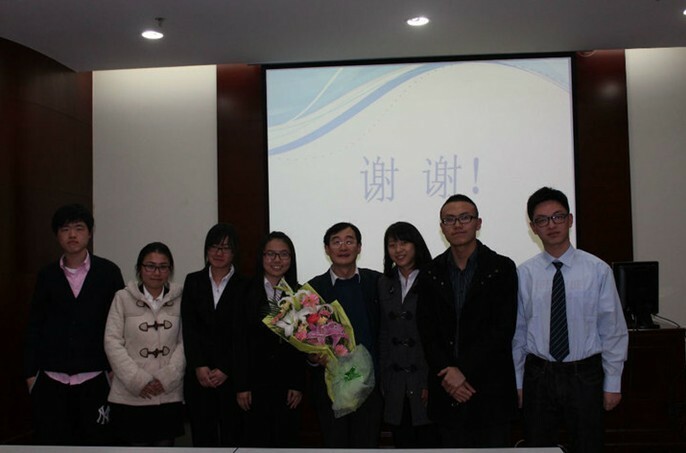 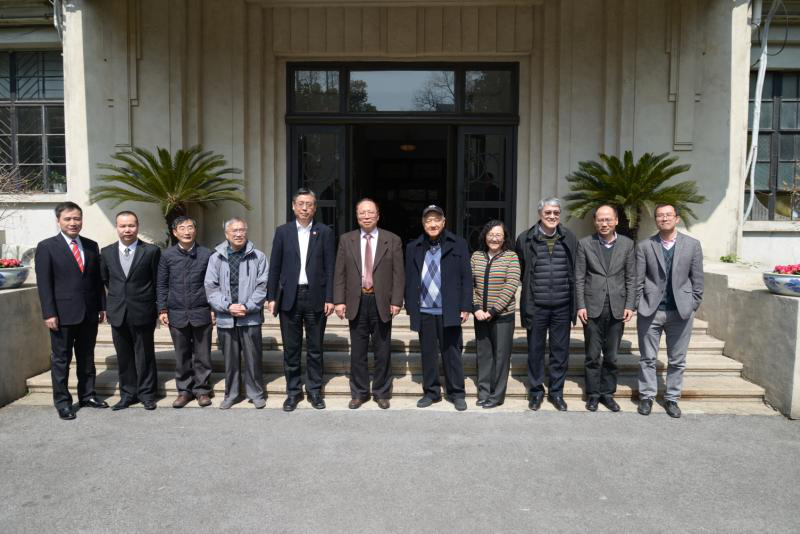 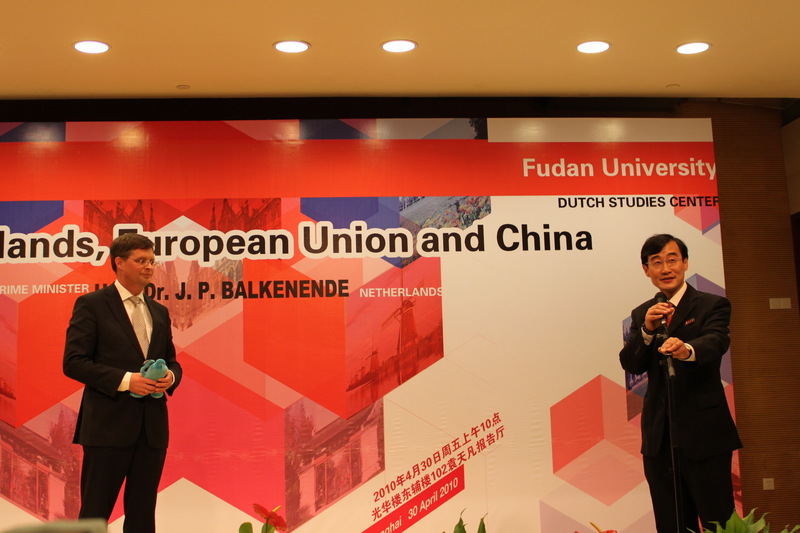 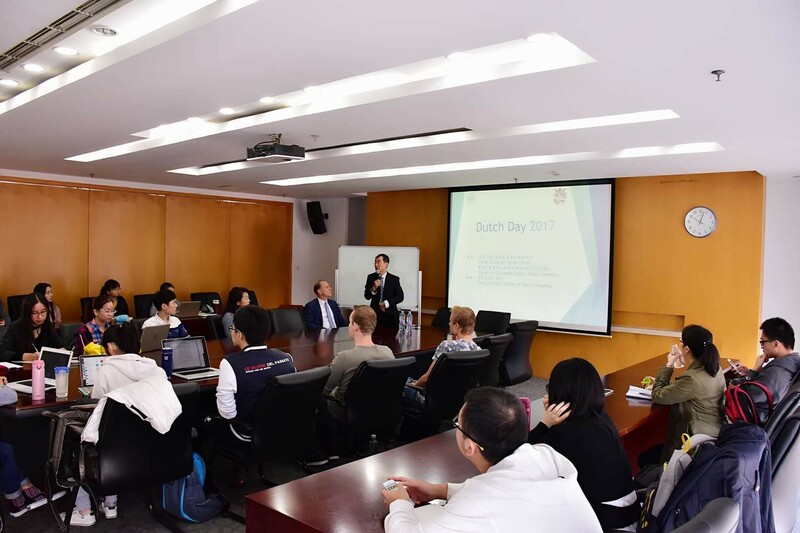 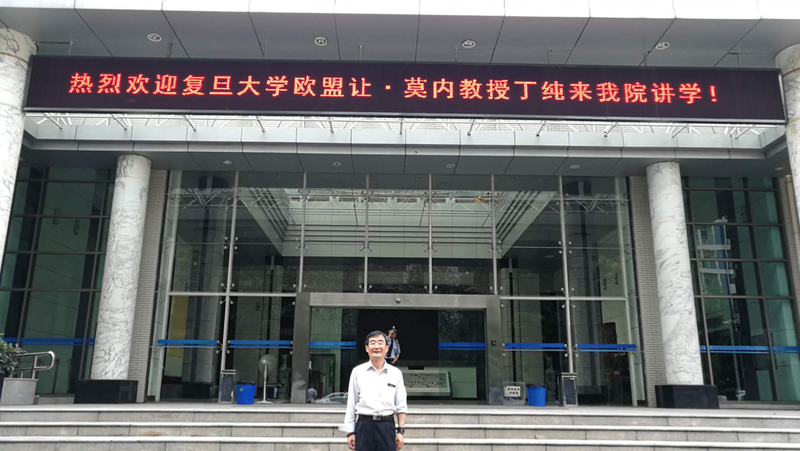 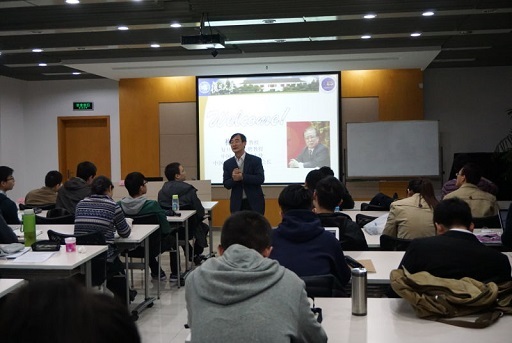 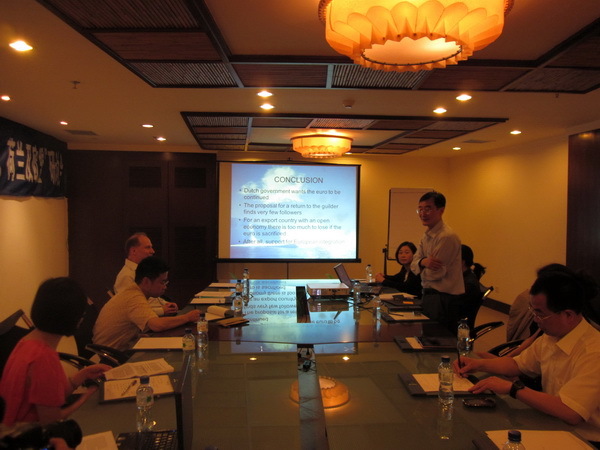 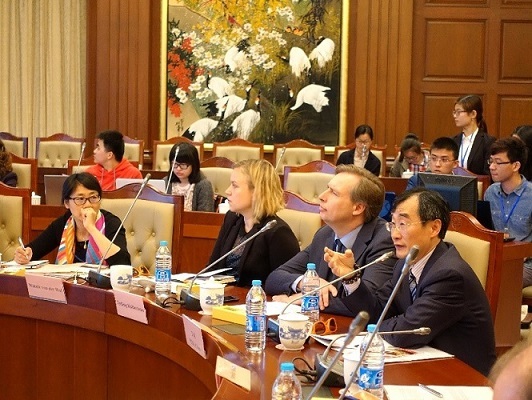 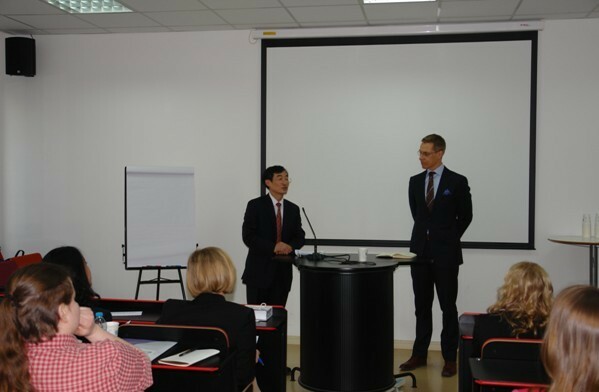 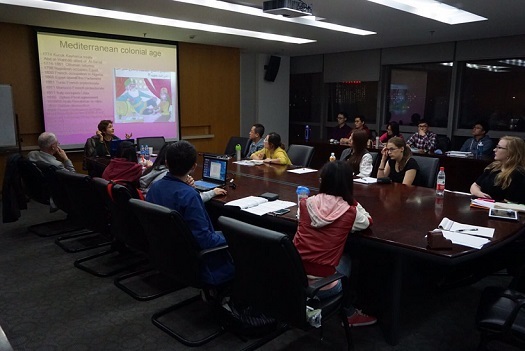 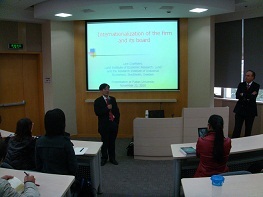 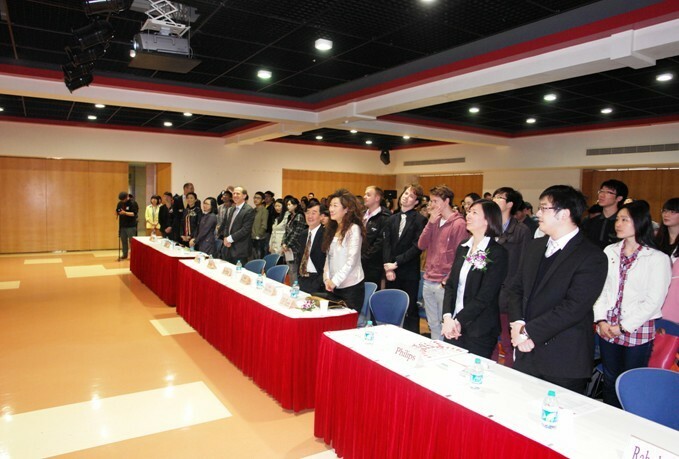 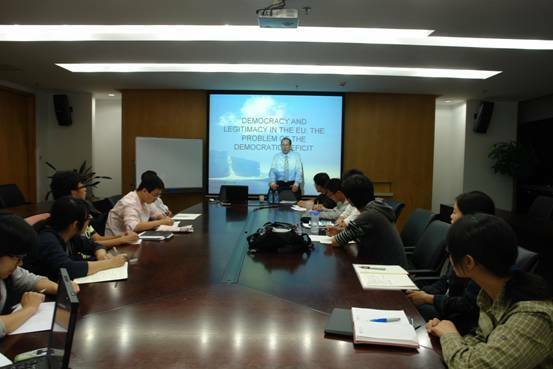 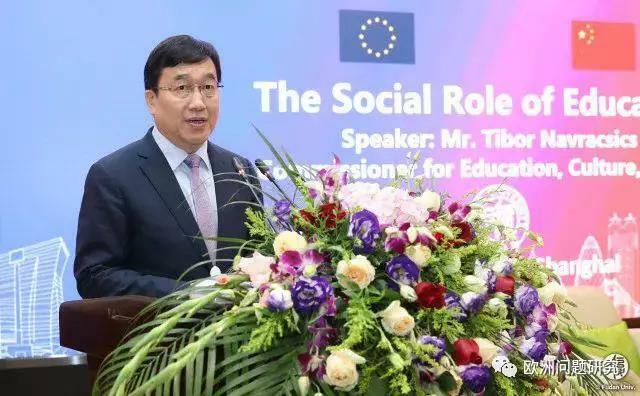 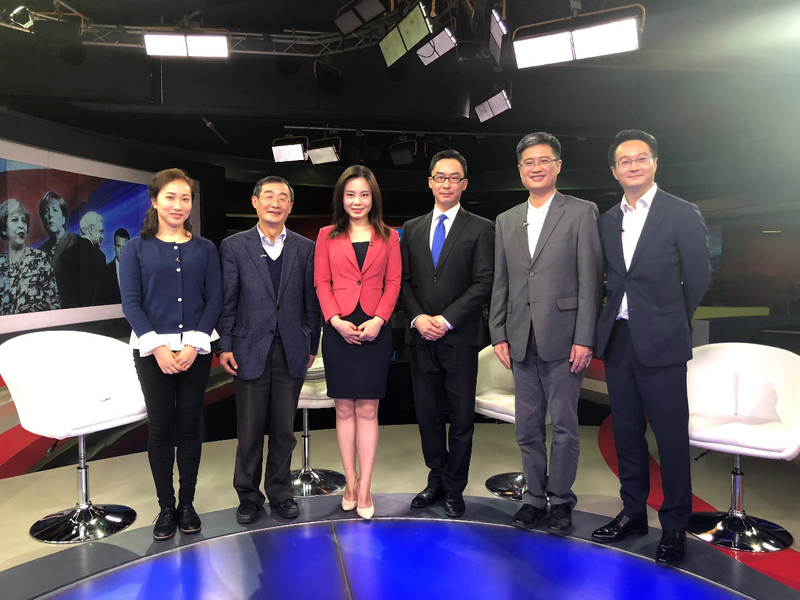 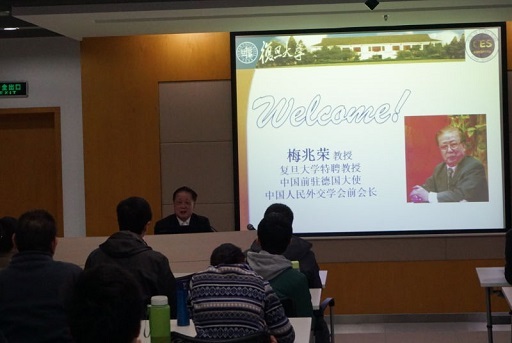 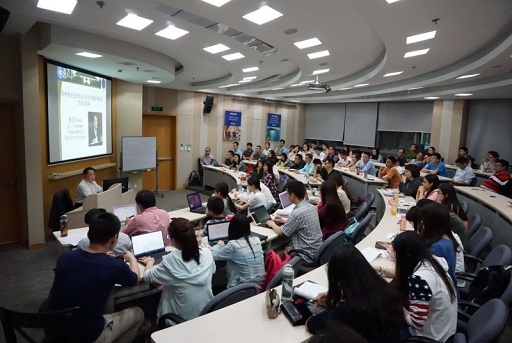 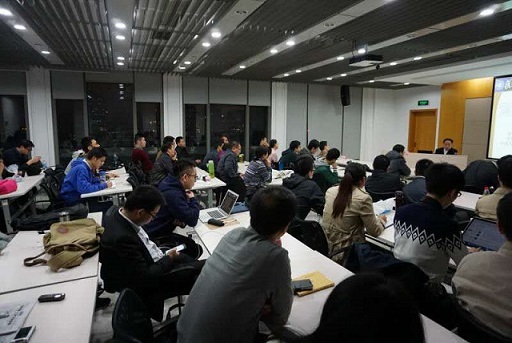 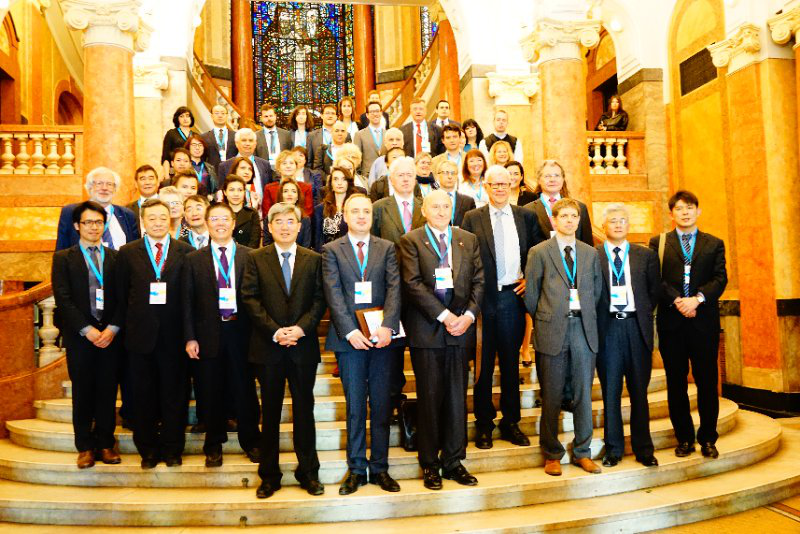 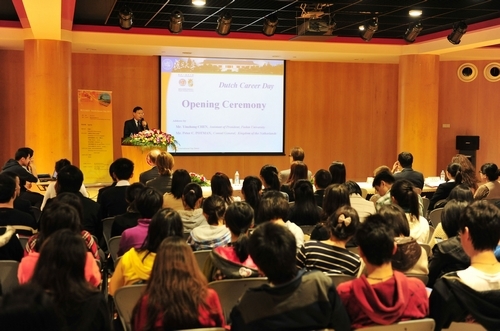 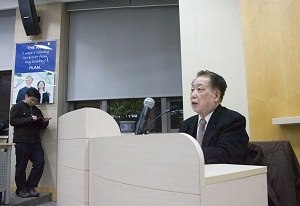 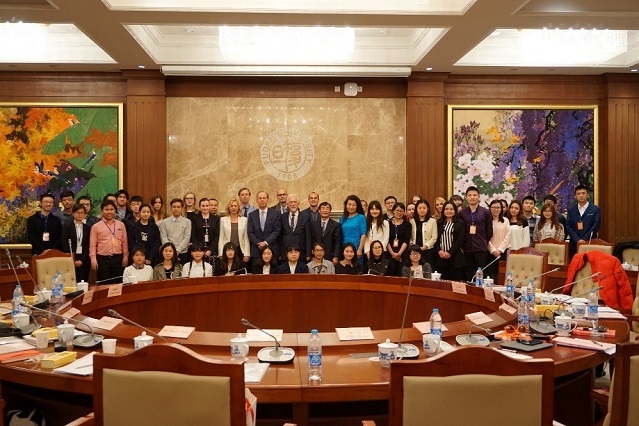 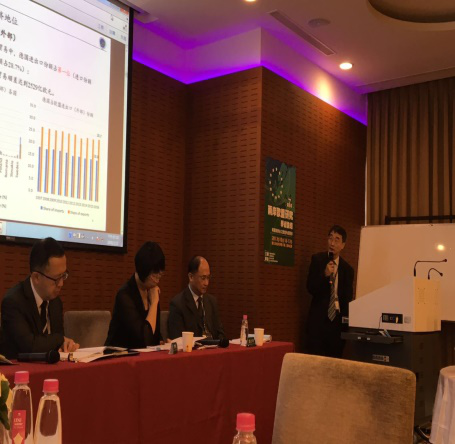 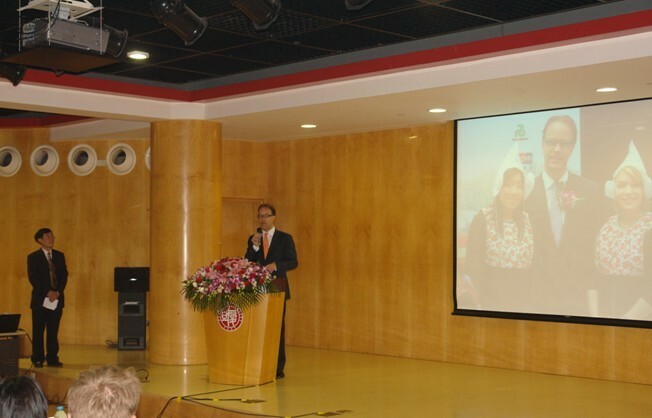 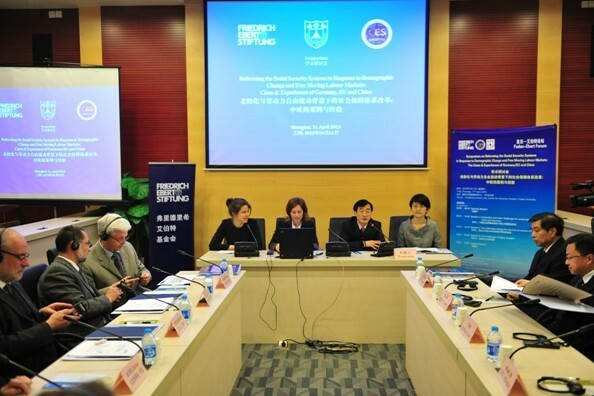 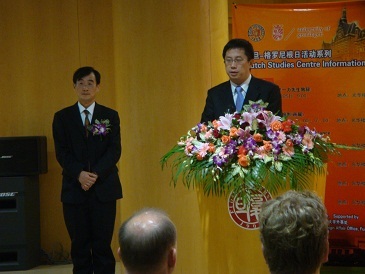 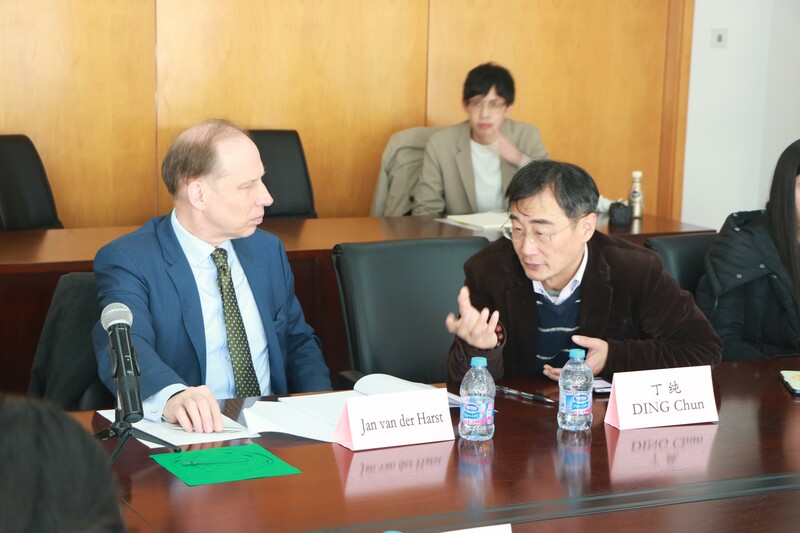 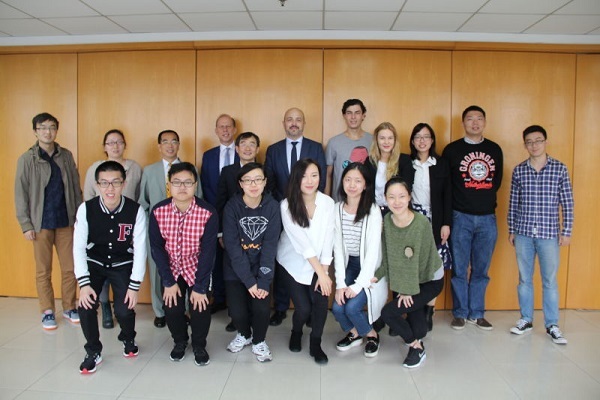 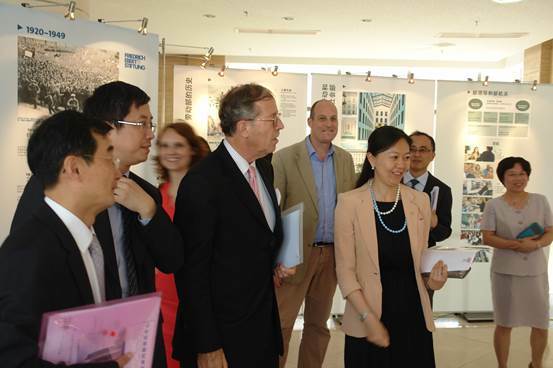 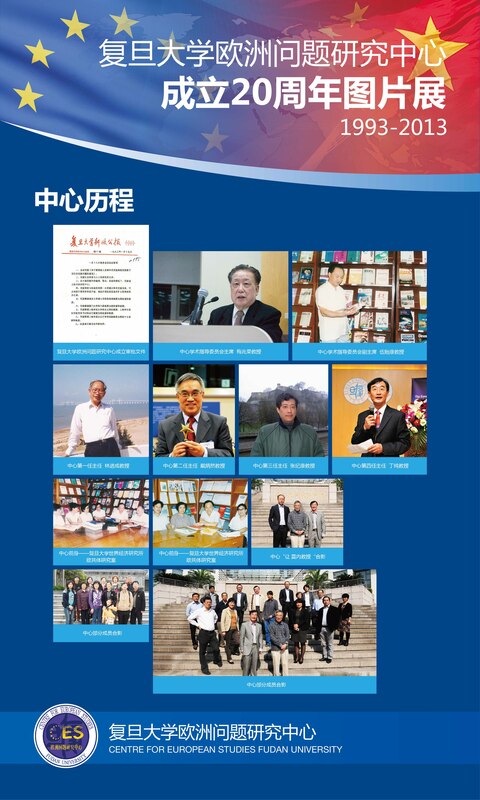 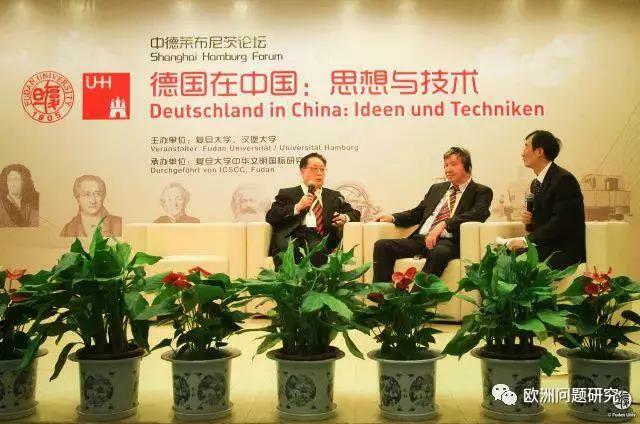 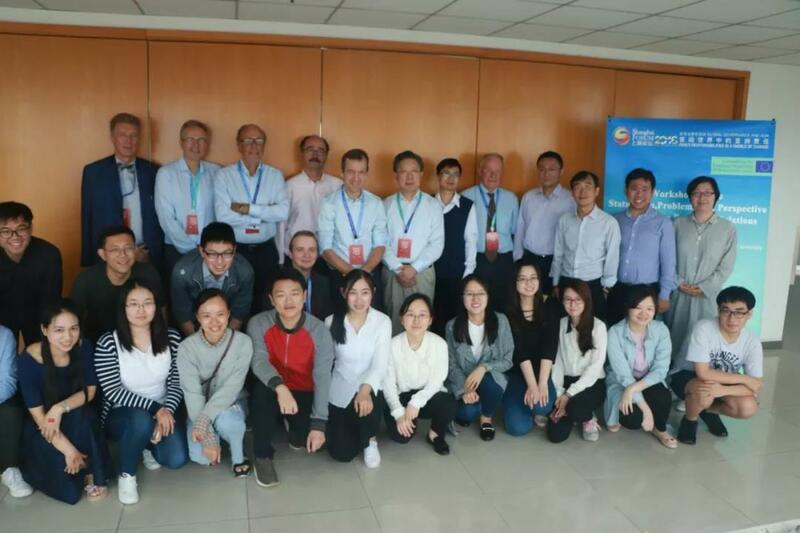 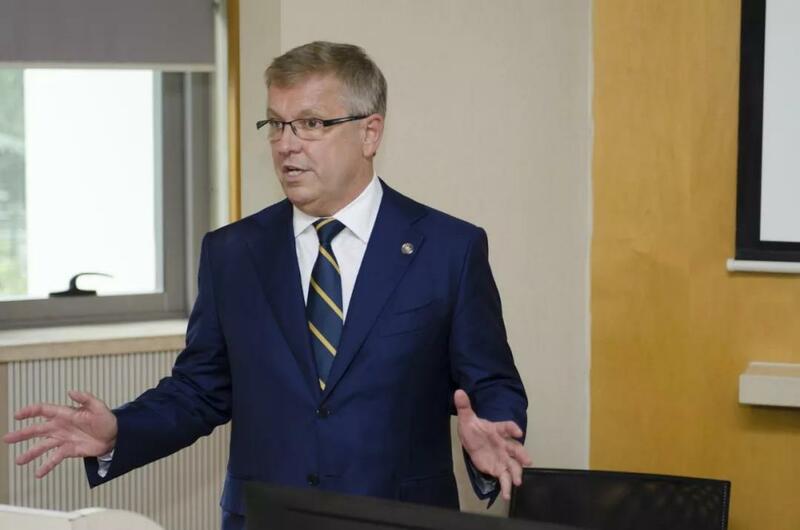 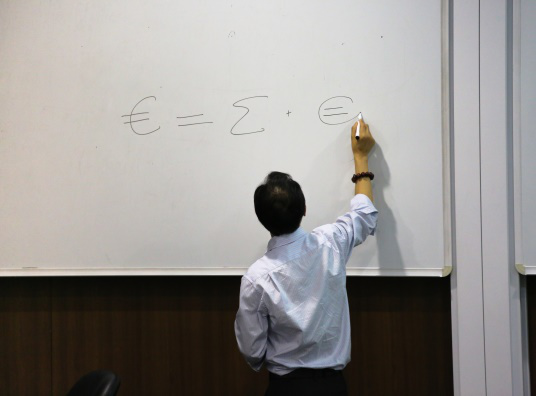 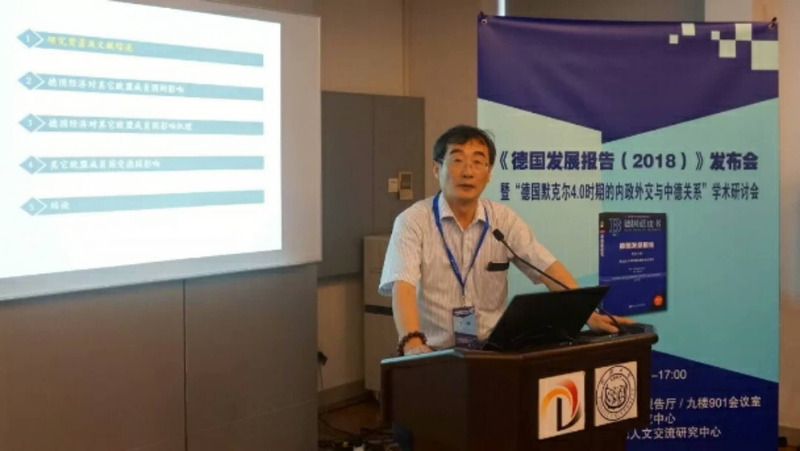 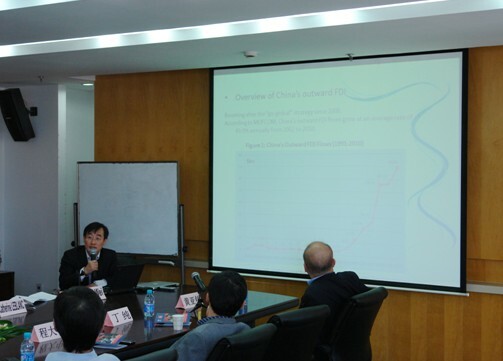 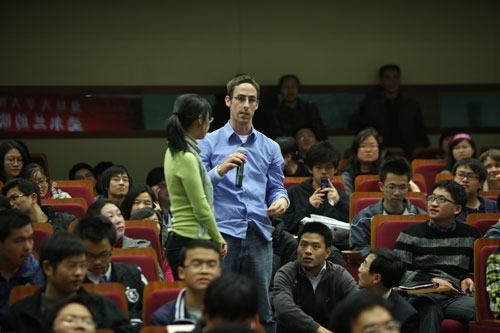 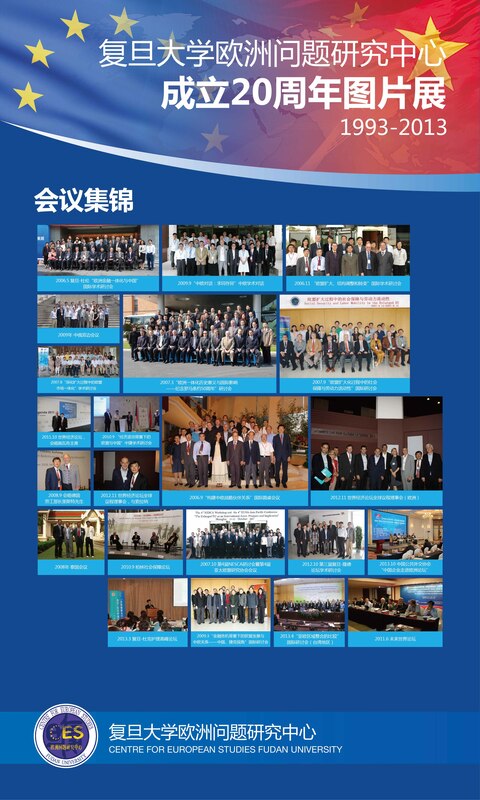 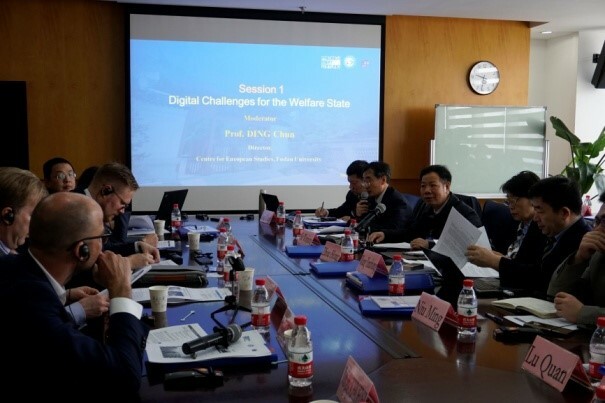 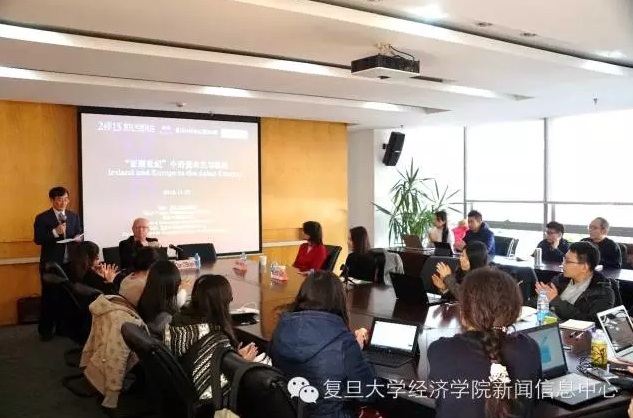 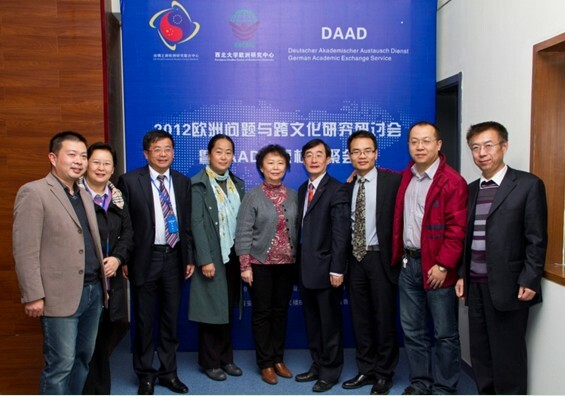 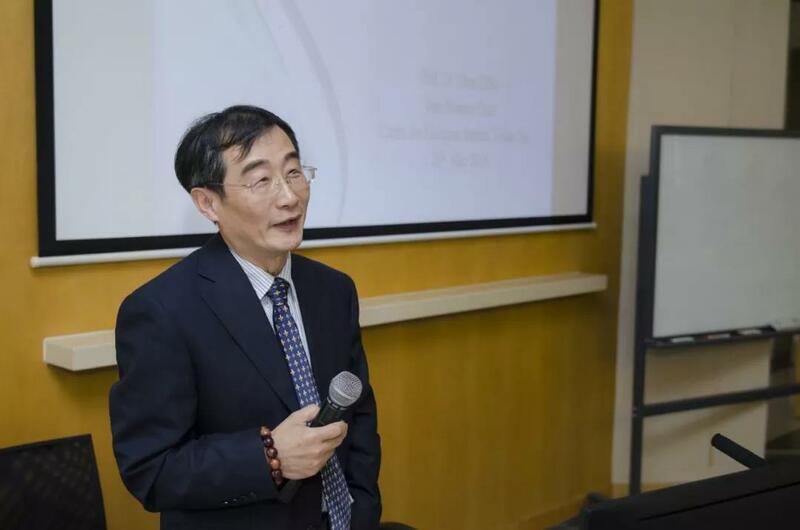 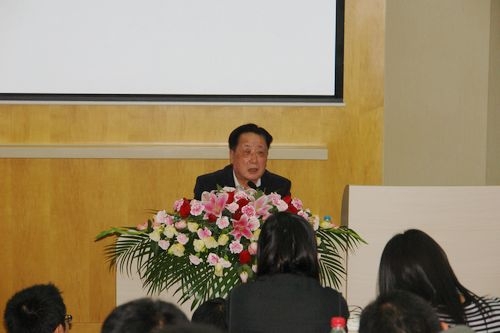 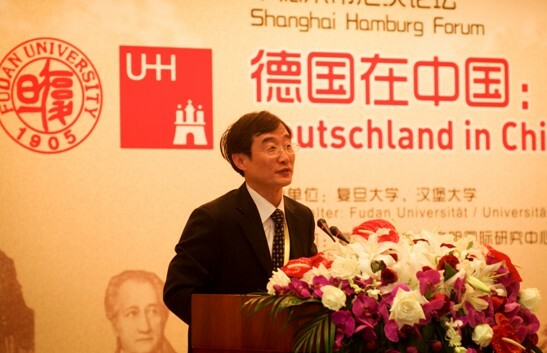 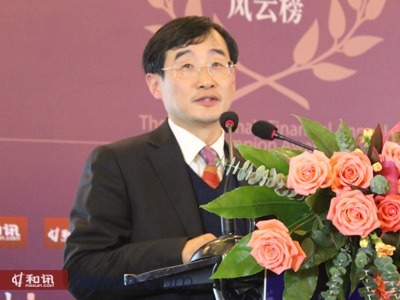 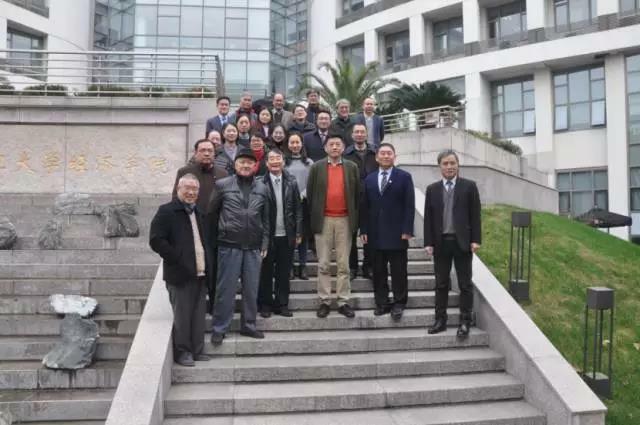 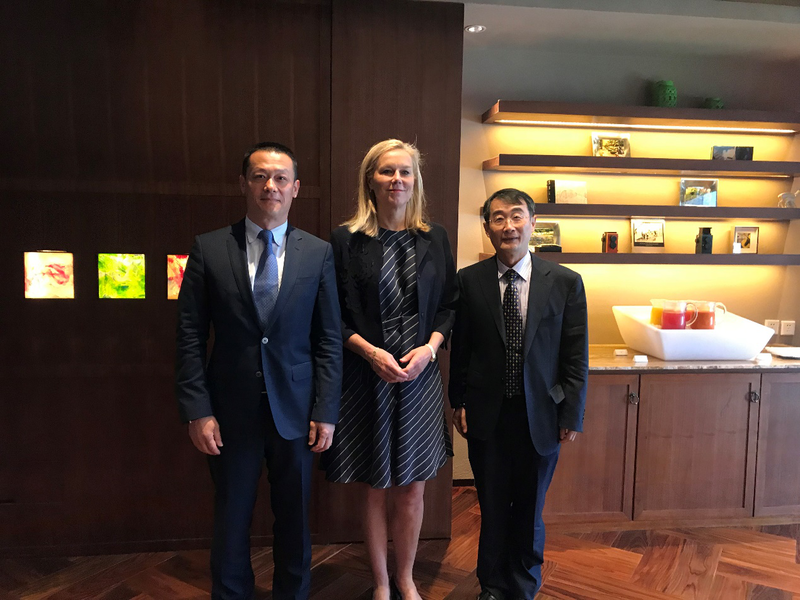 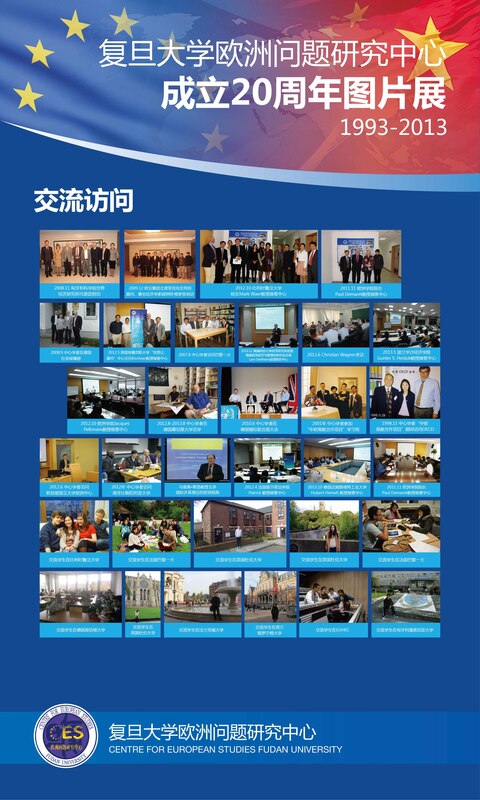 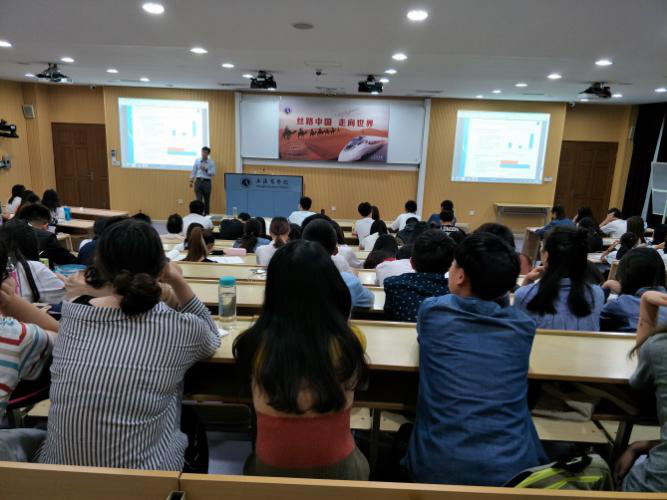 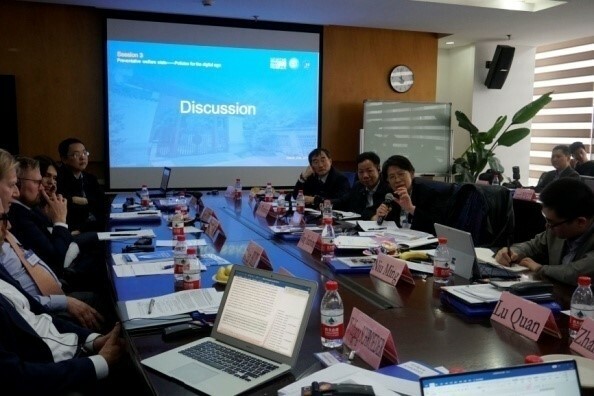 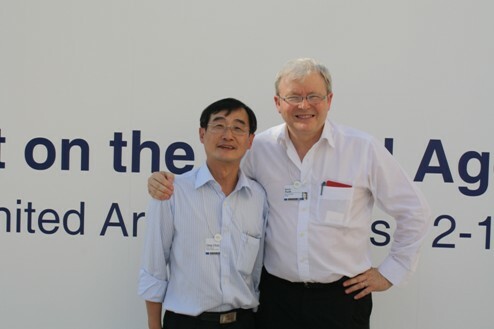 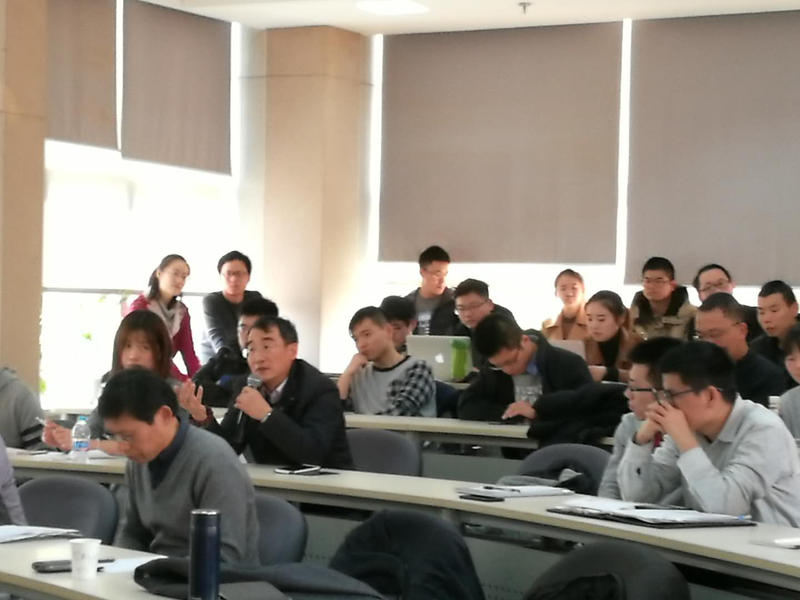 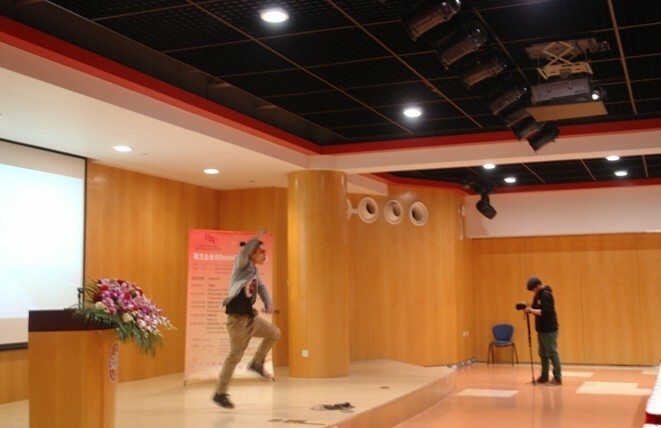 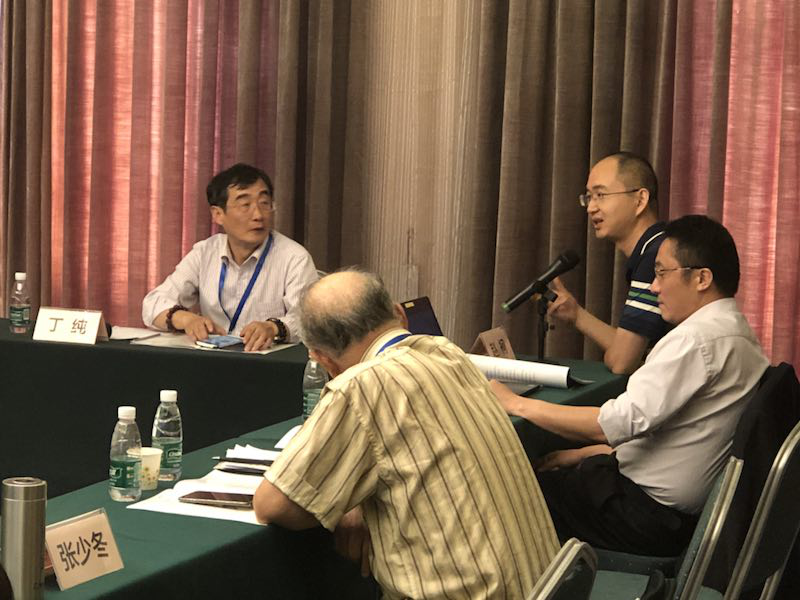 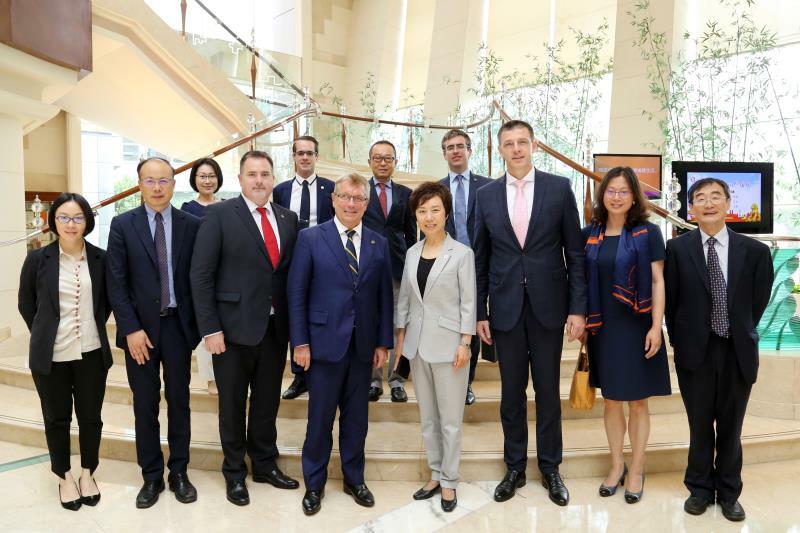 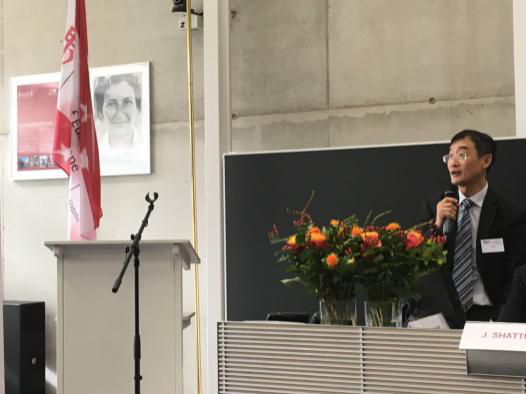 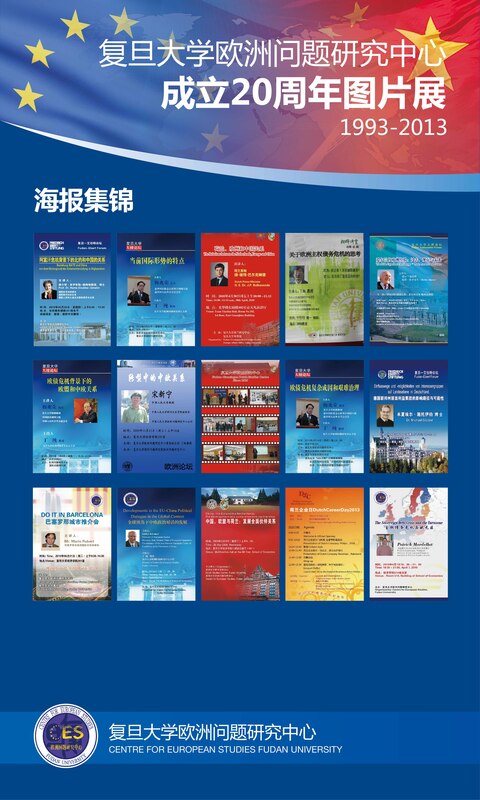 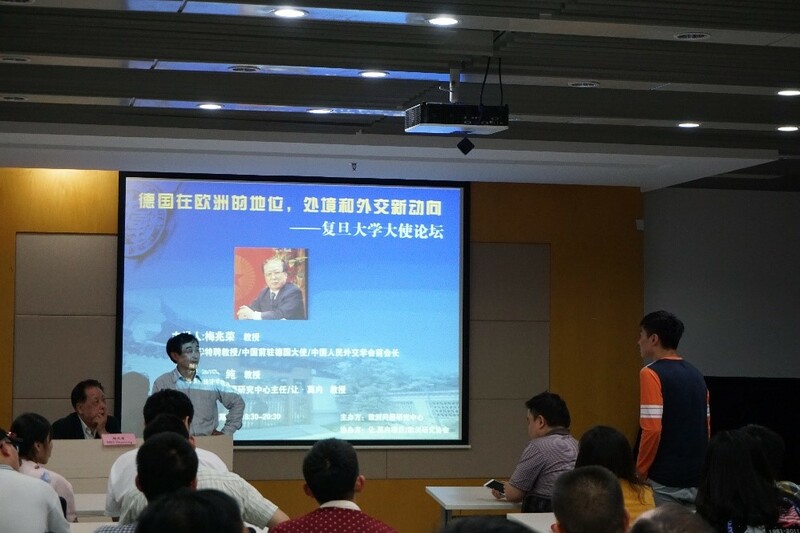 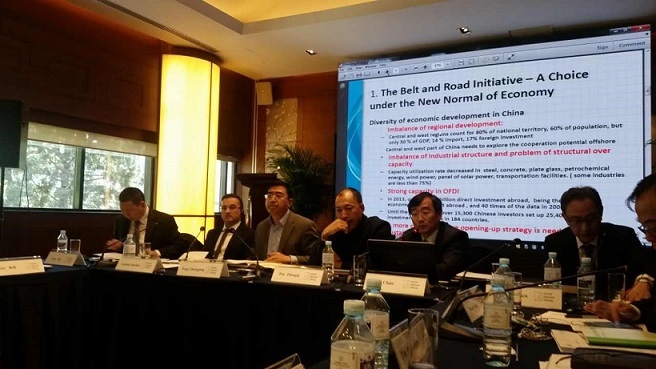 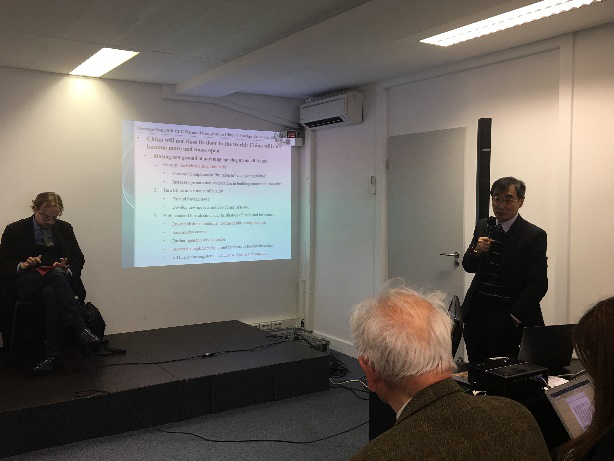 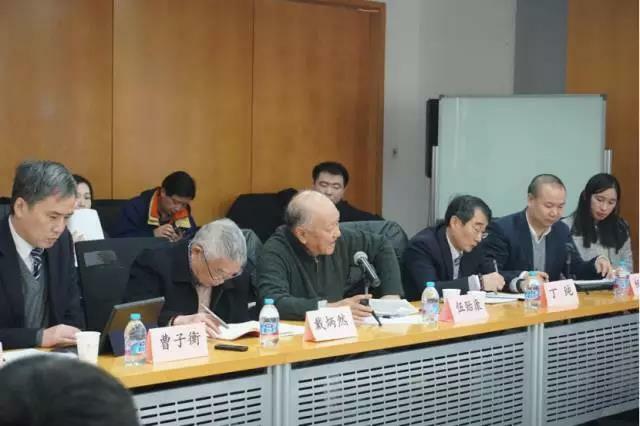 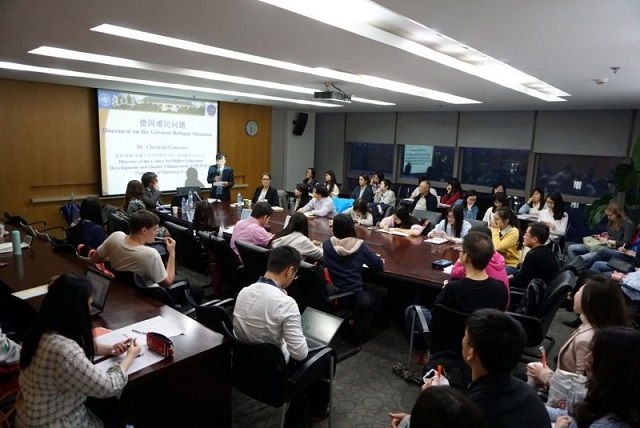 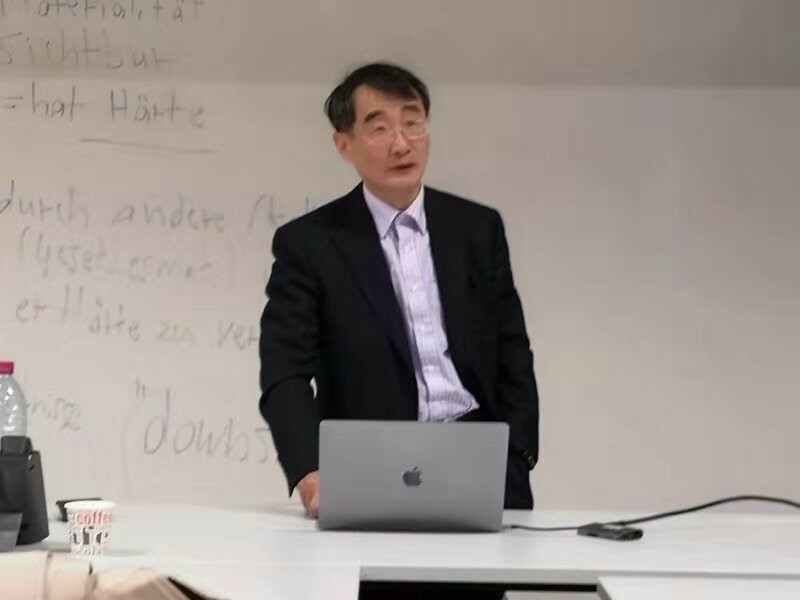 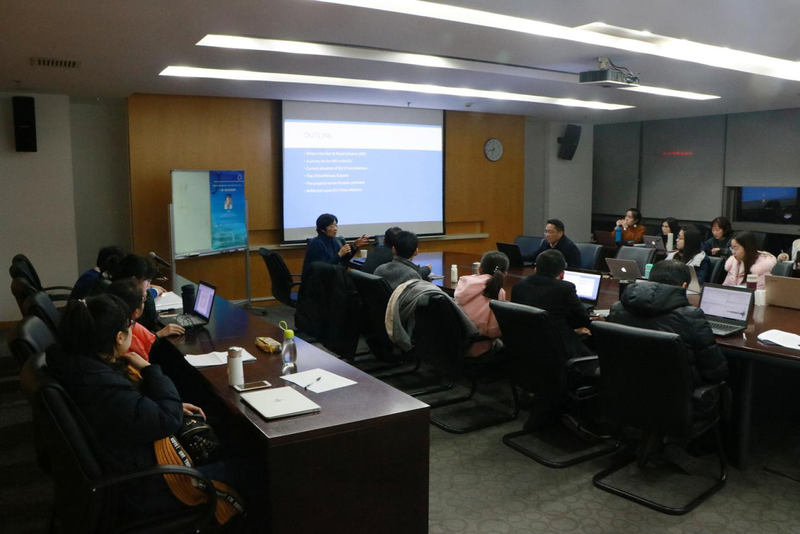 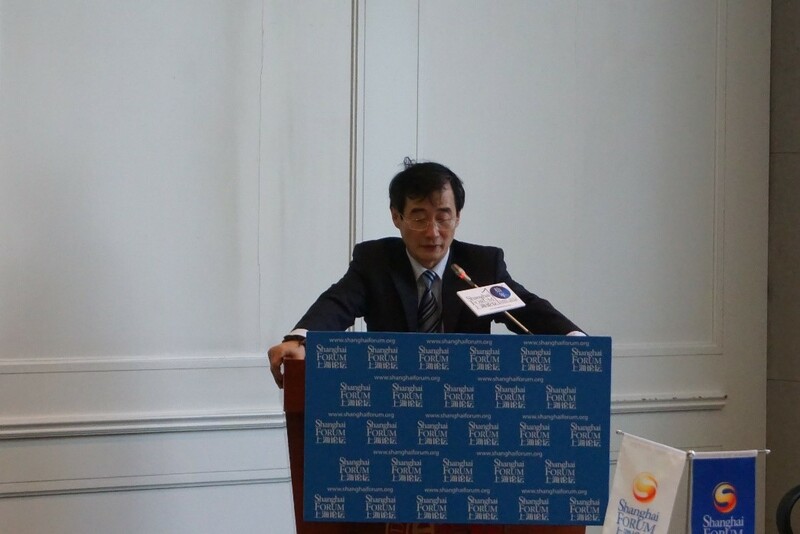 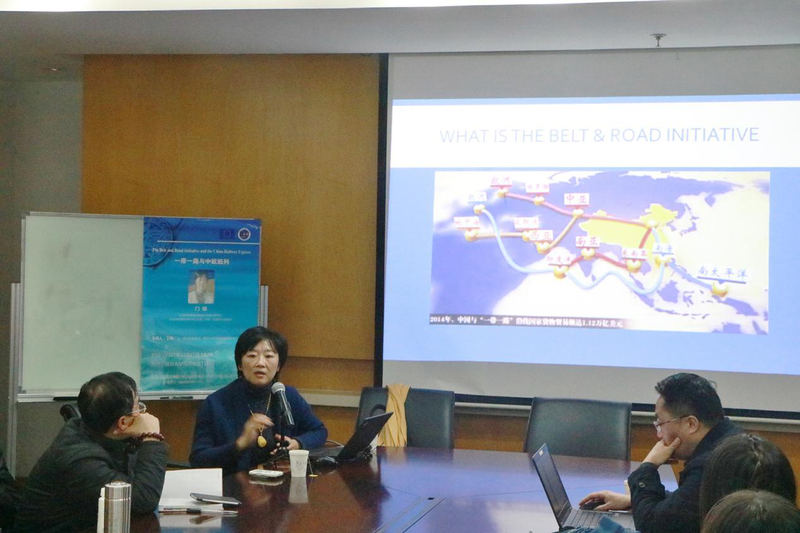 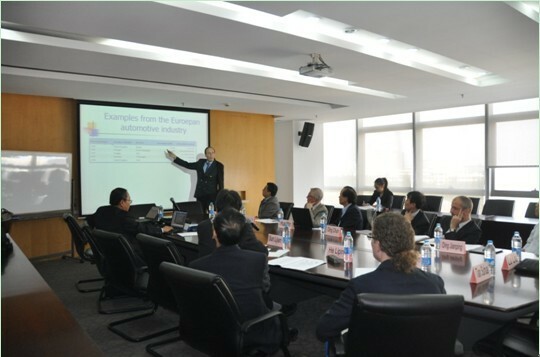 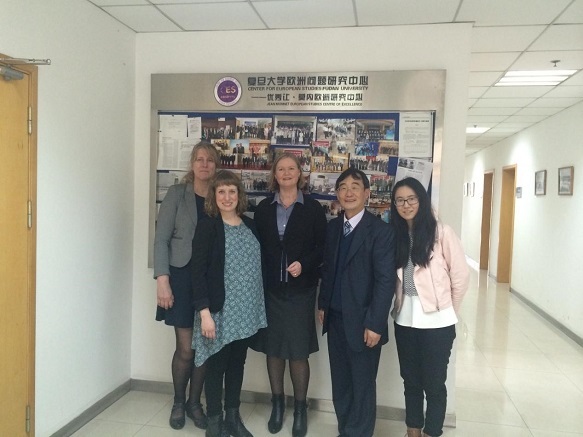 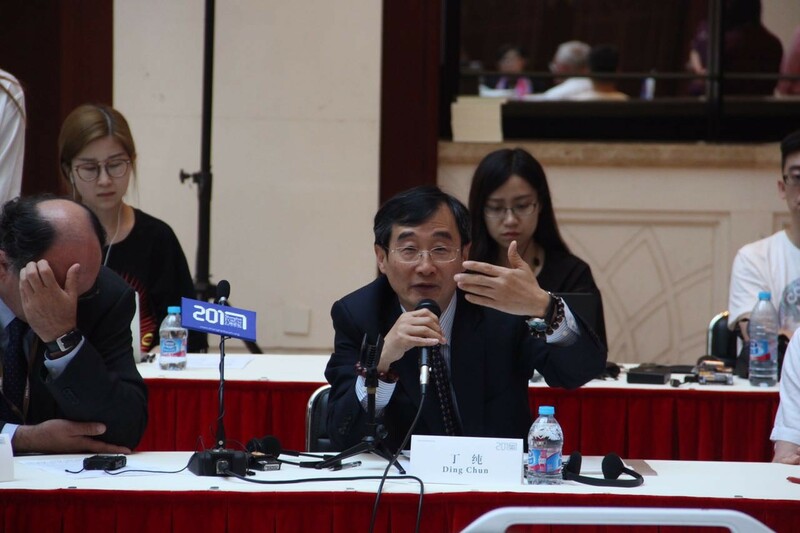 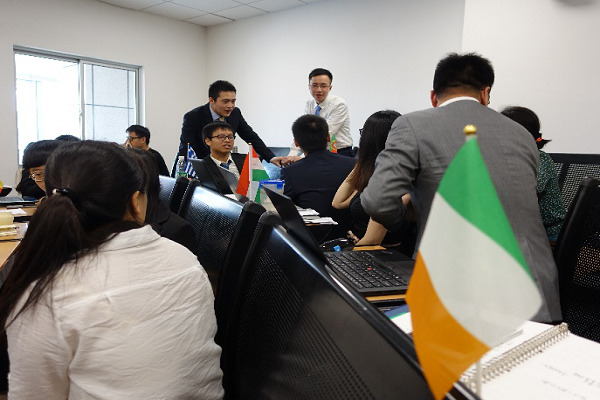 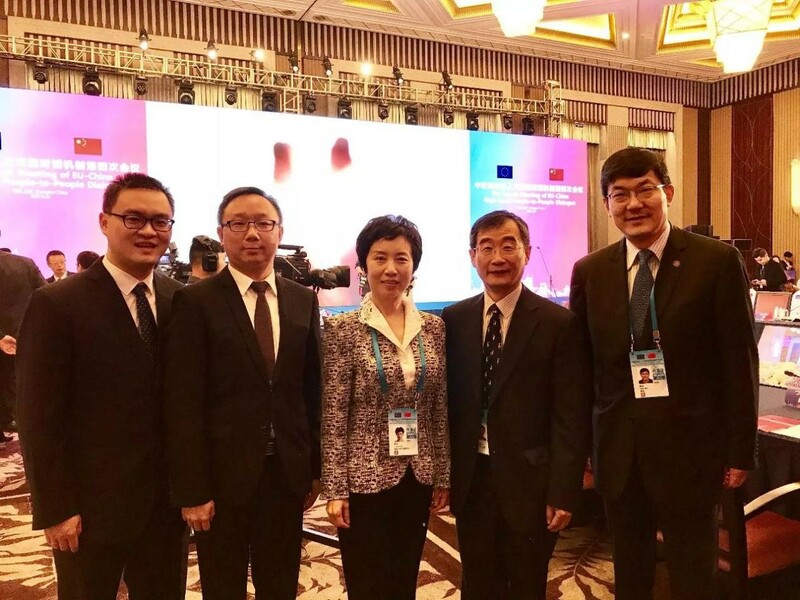 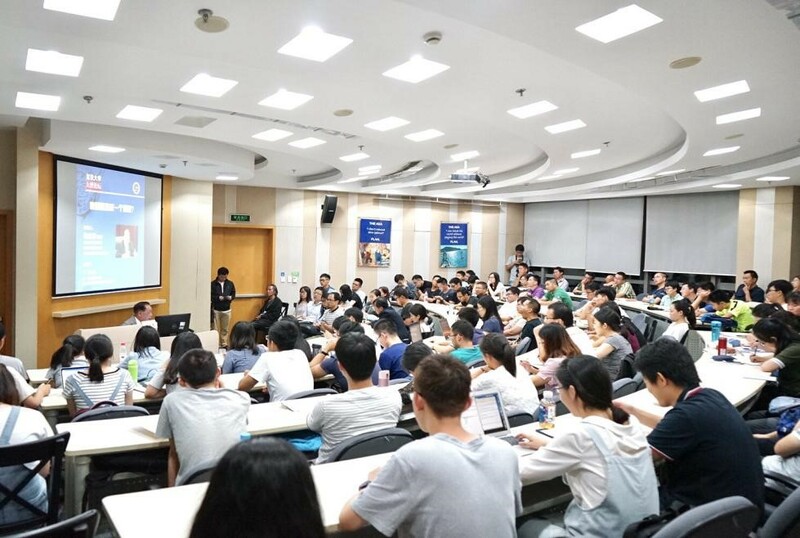 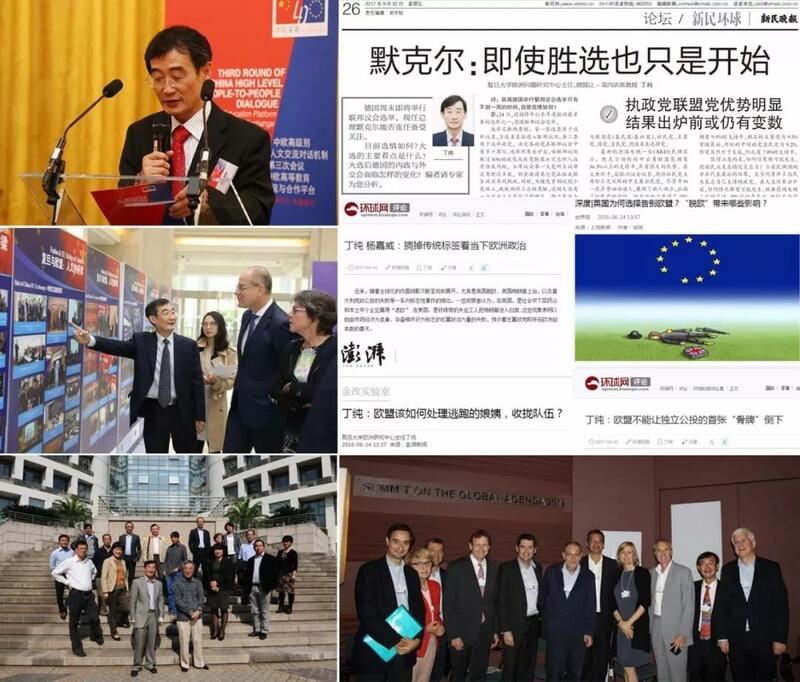 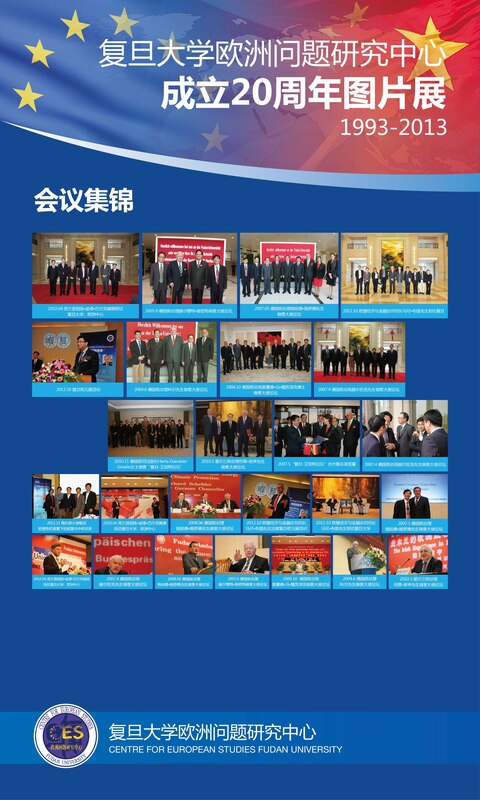 Co-hosted by Fudan University and Korea Foundation for Advanced Studies, undertakenby Fudan Development Institute (FDDI), the Forum is a non-governmental and non-profit academicorganization, which holds an annual symposium each May in Shanghai. 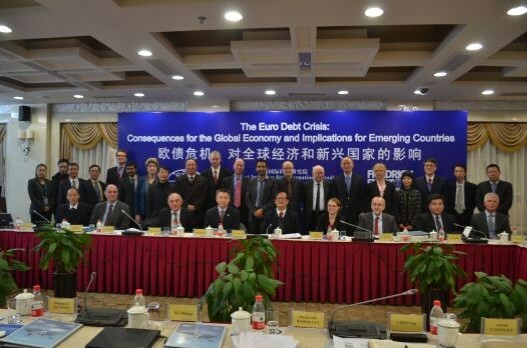 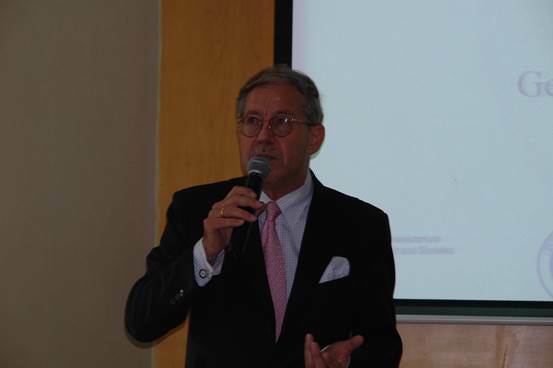 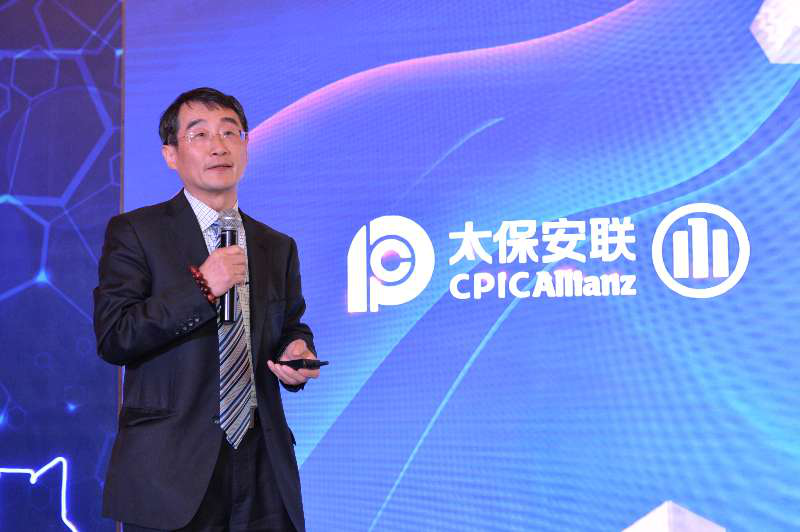 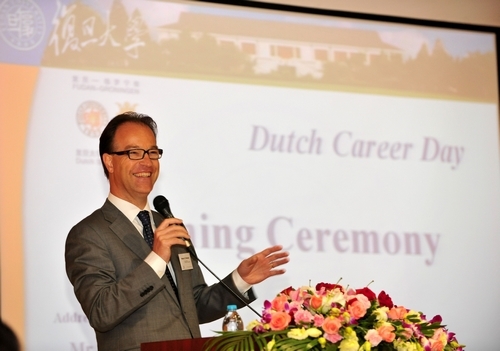 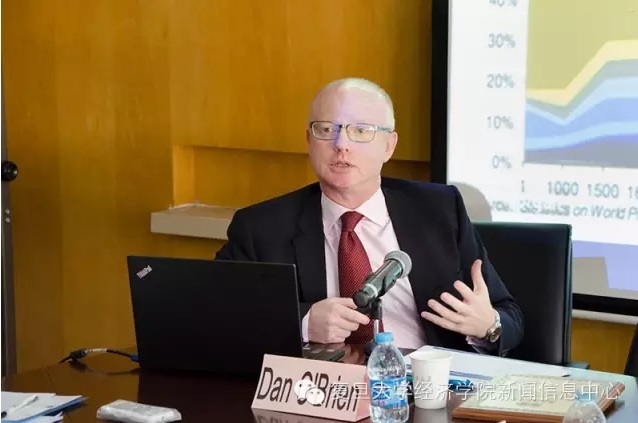 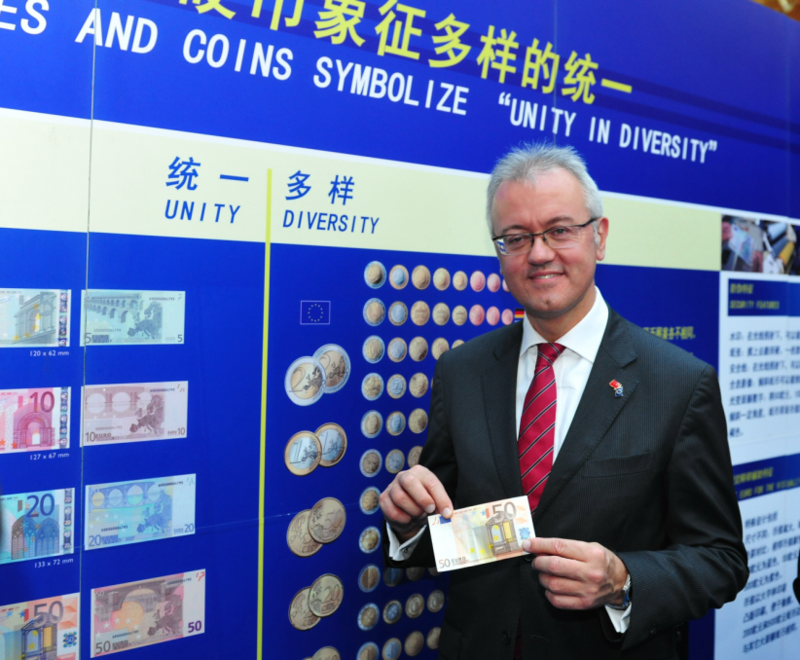 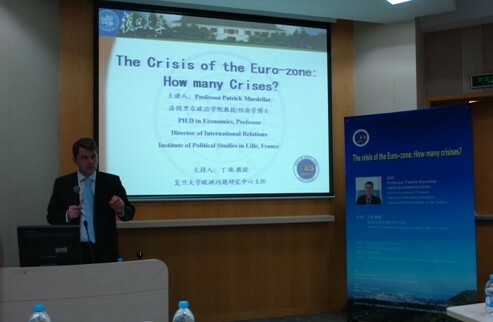 Daniel Gros :The RMB and The Euro as Global Reserve Currencies:Competitors or Friends? 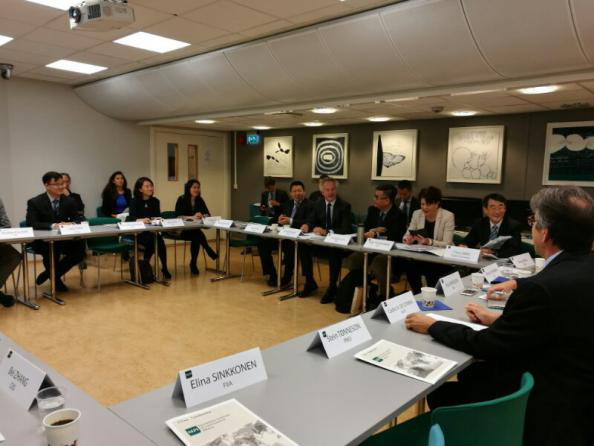 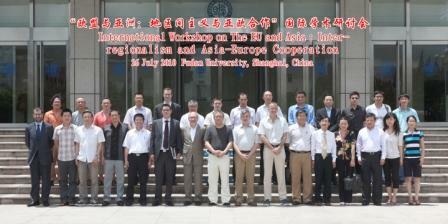 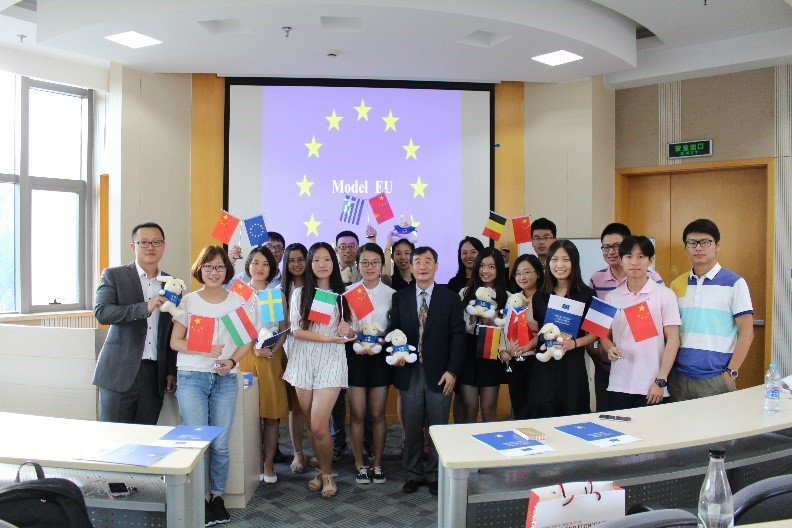 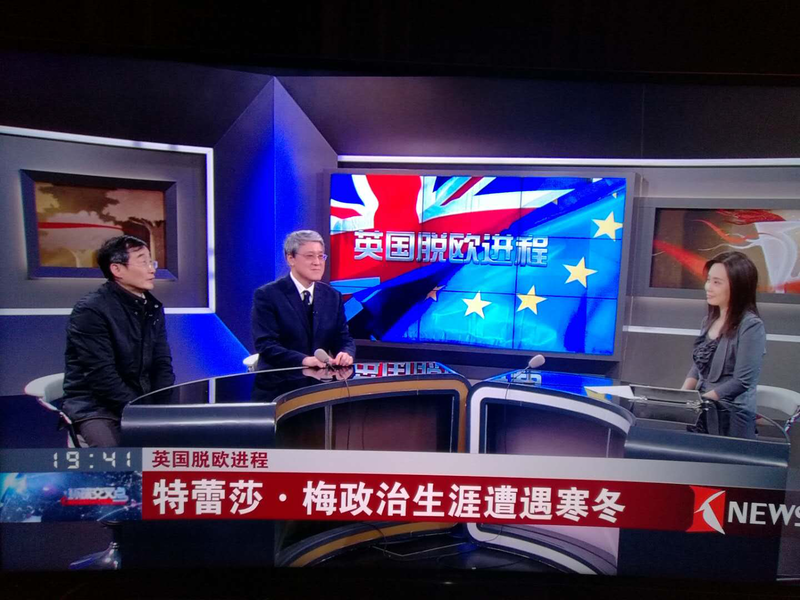 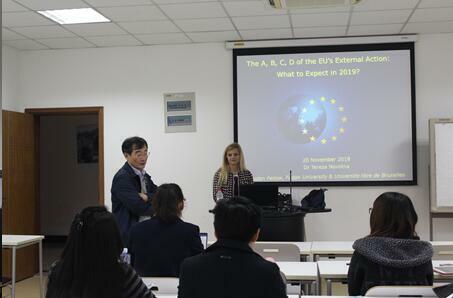 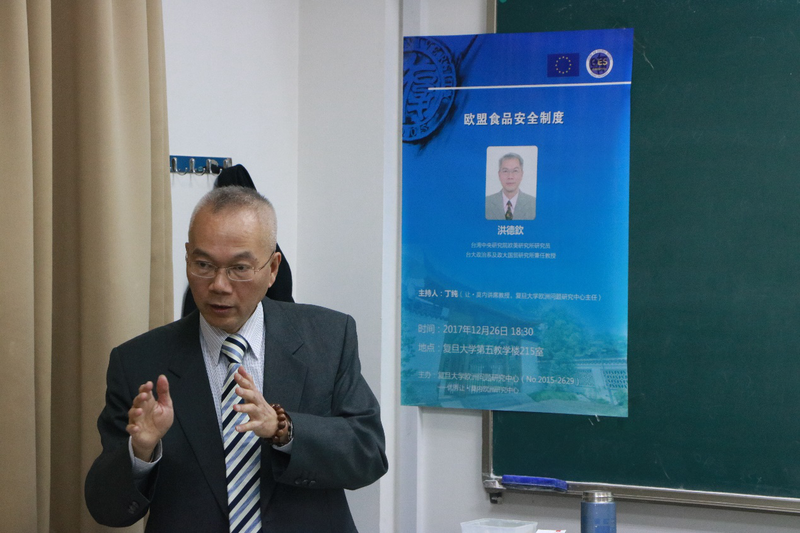 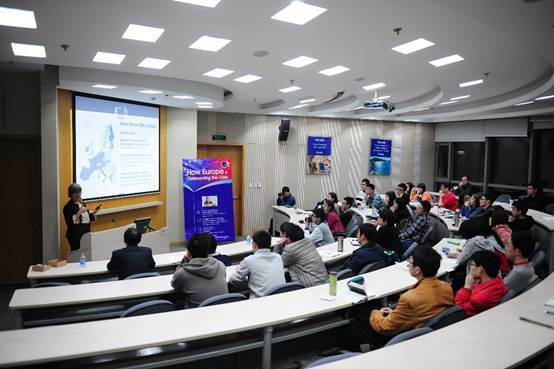 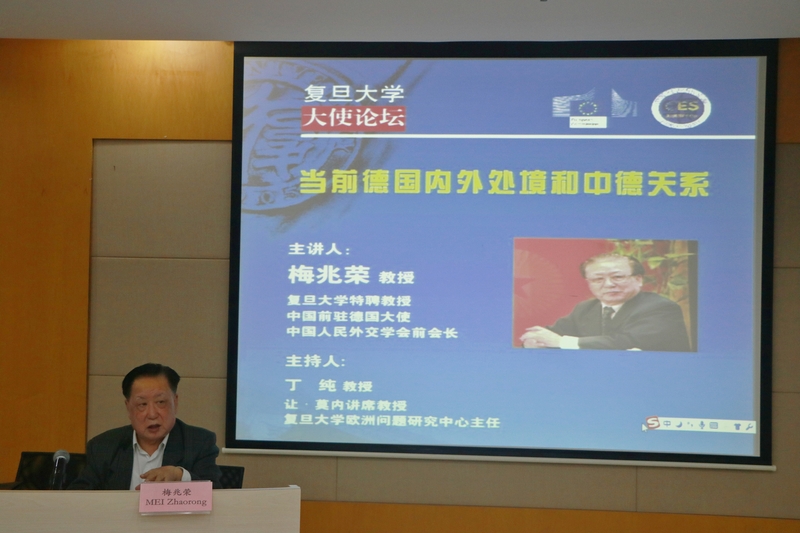 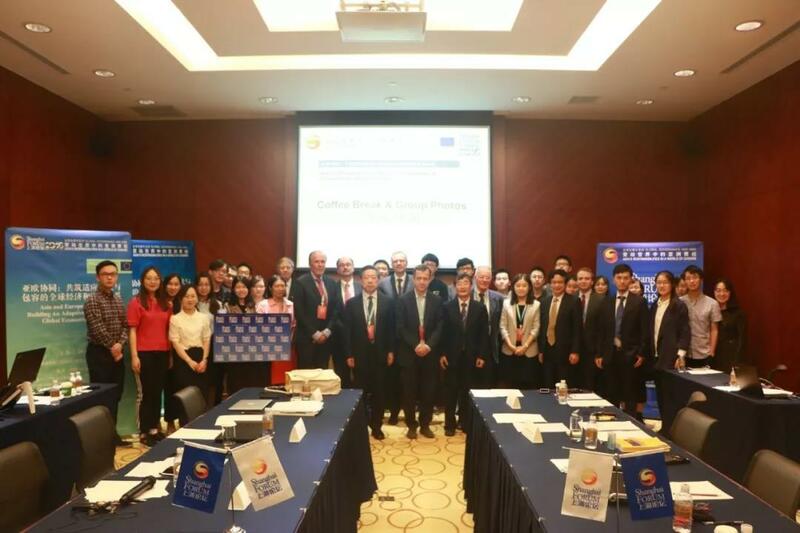 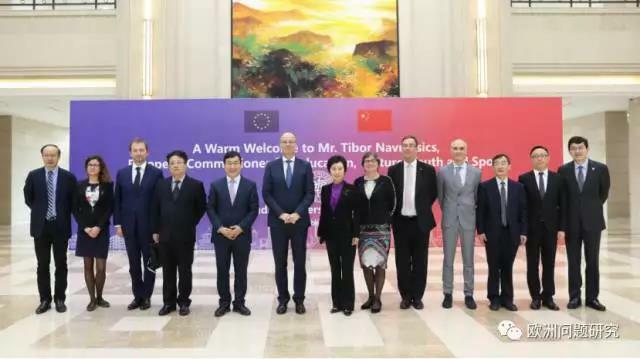 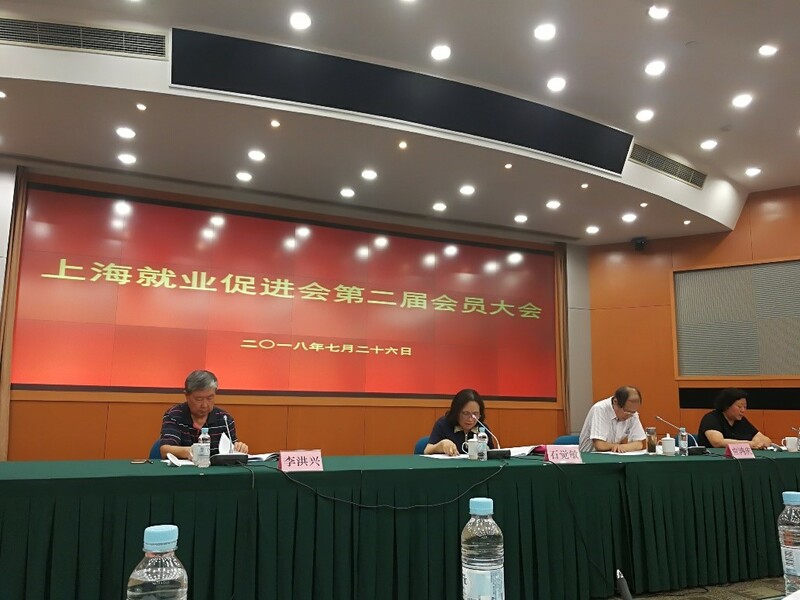 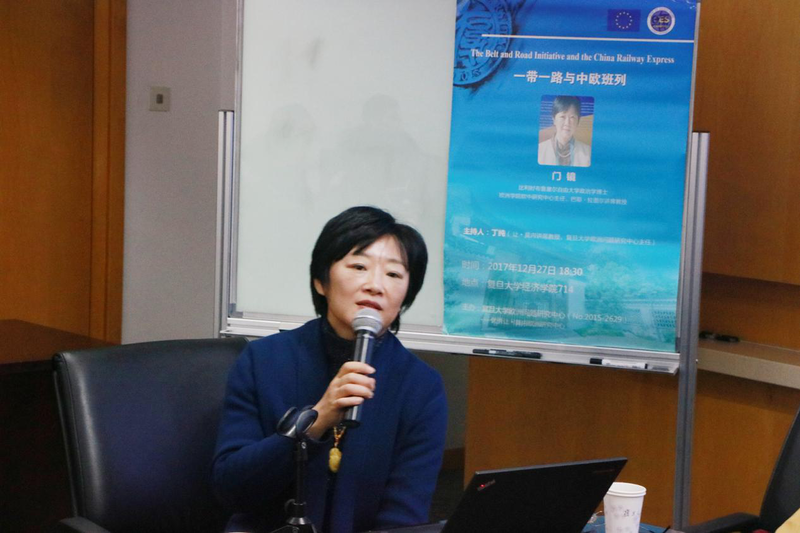 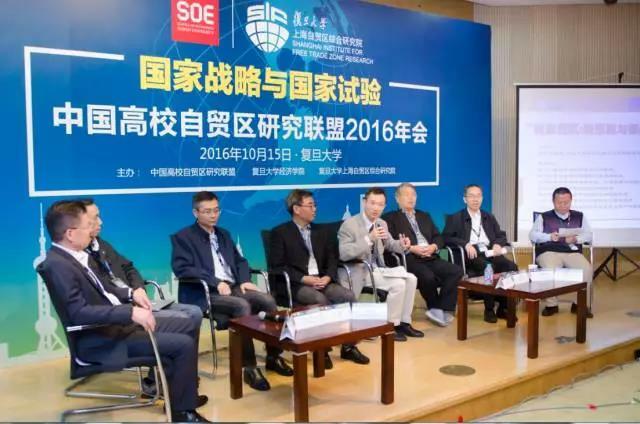 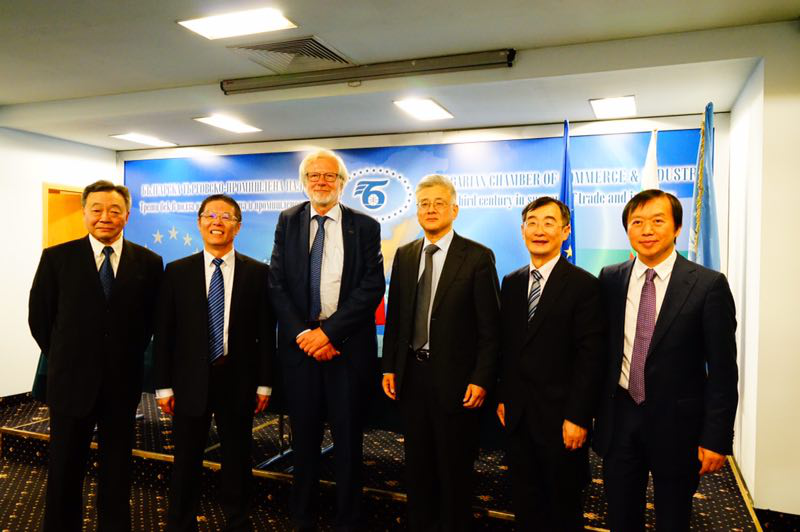 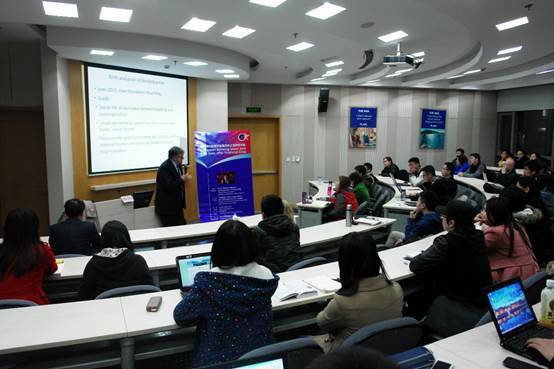 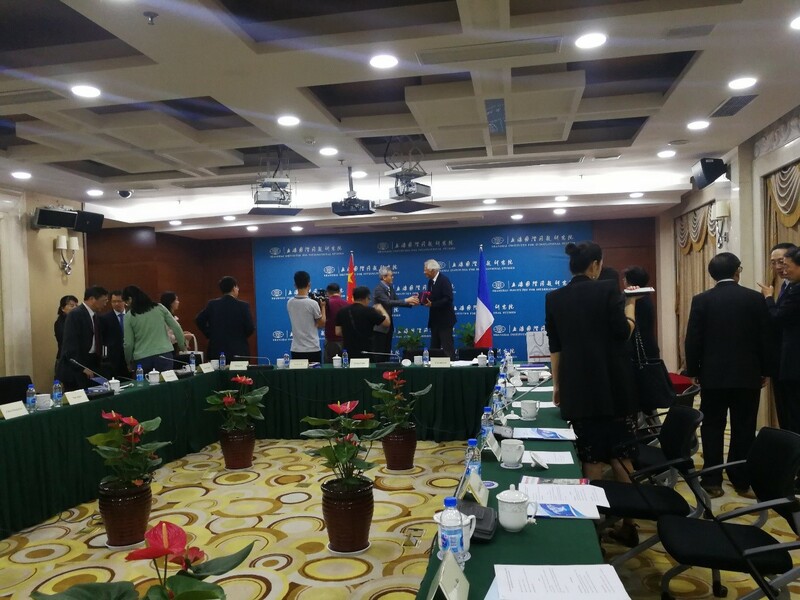 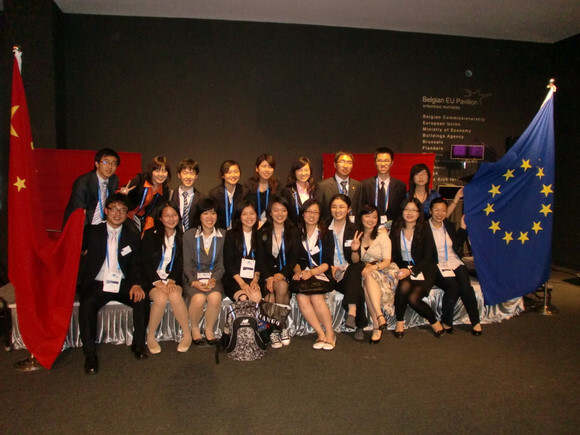 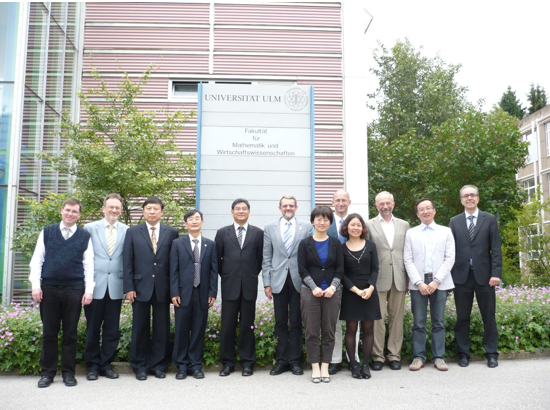 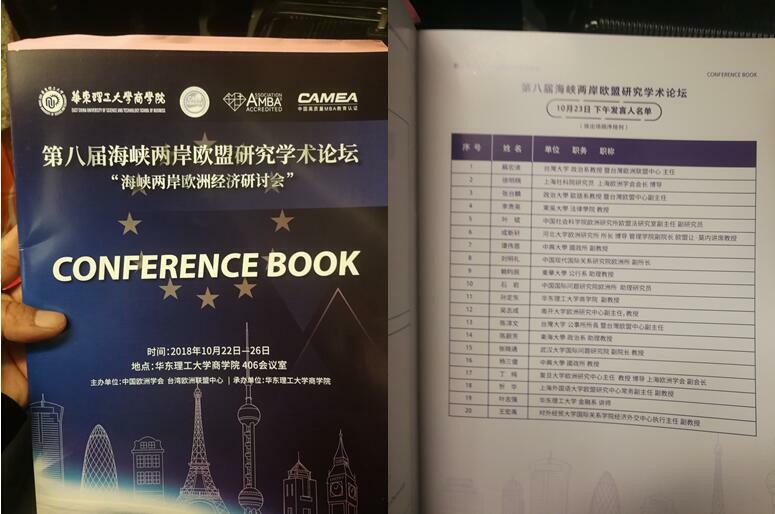 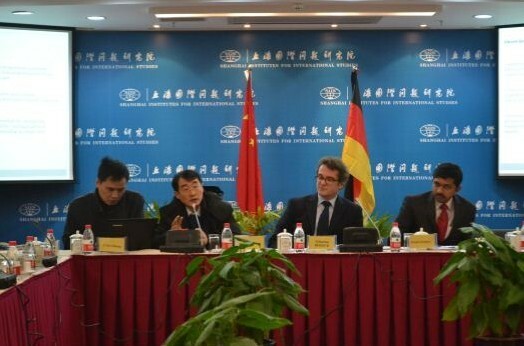 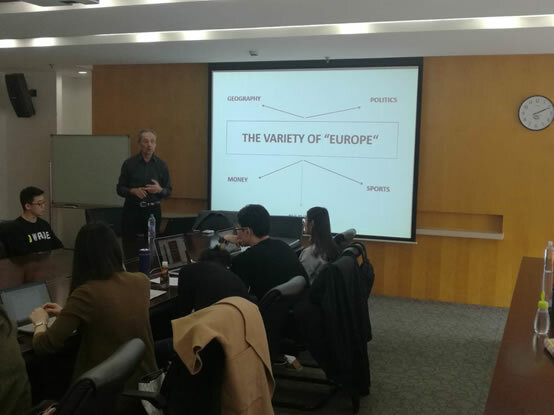 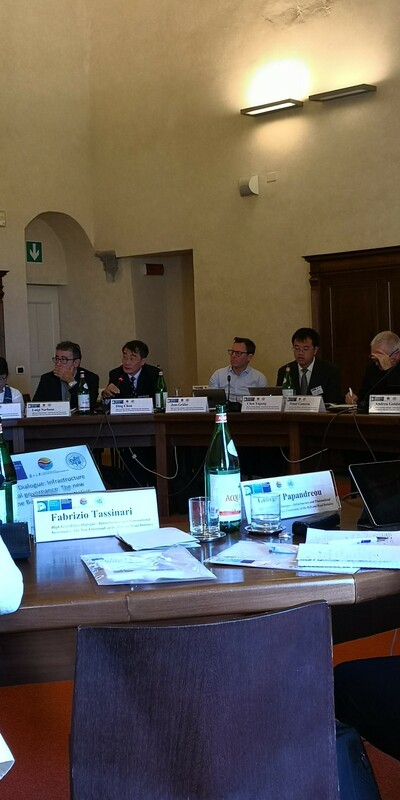 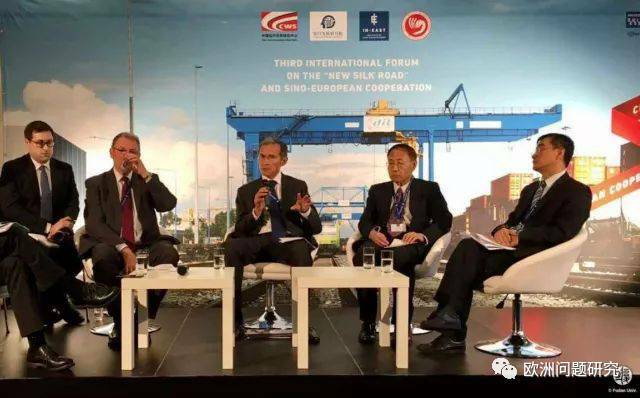 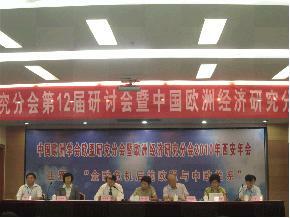 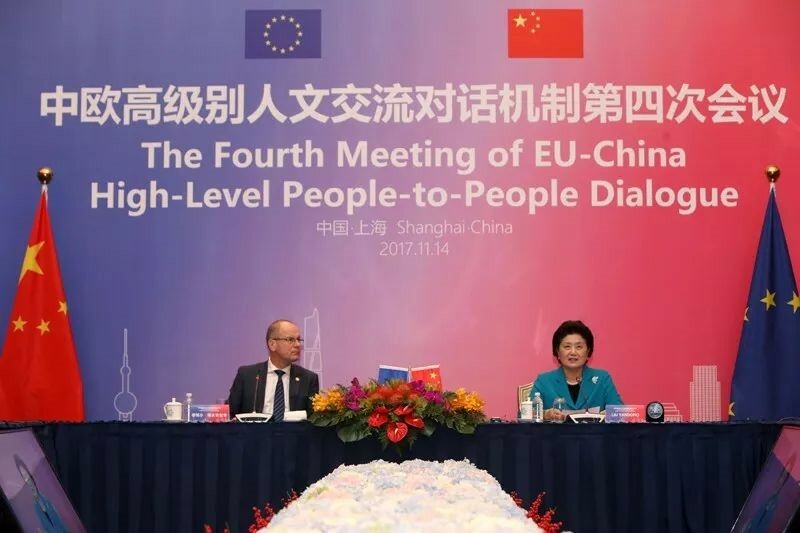 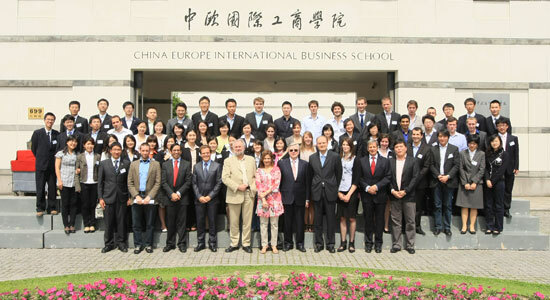 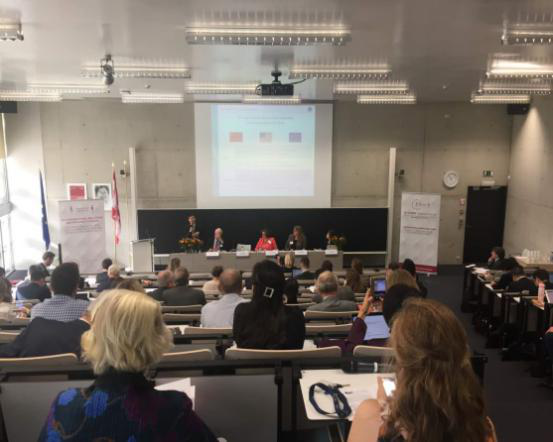 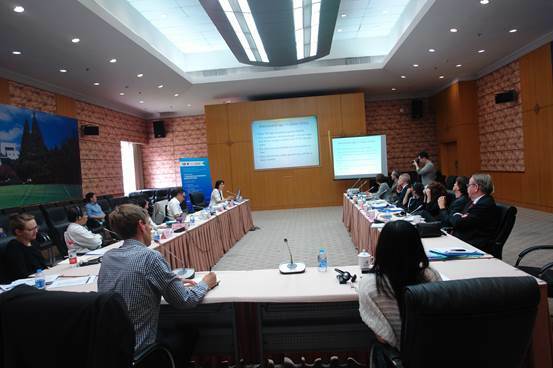 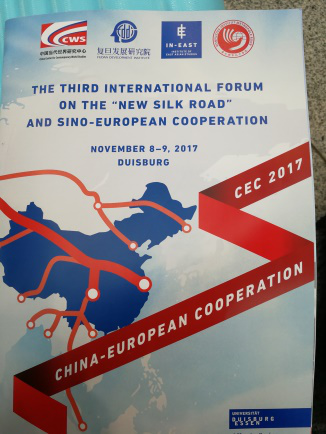 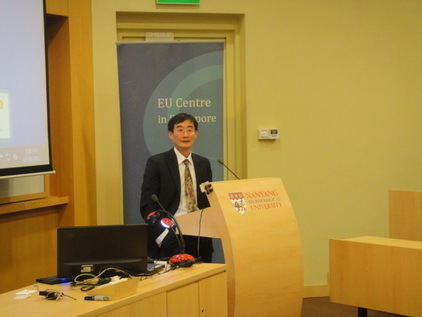 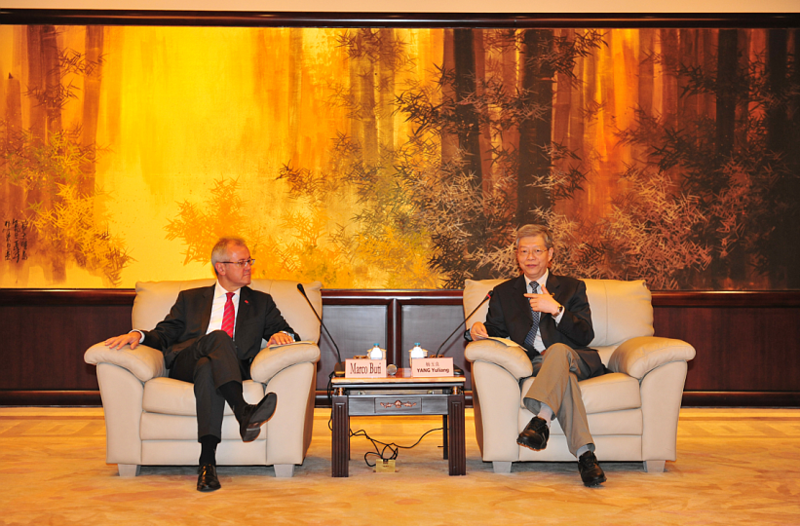 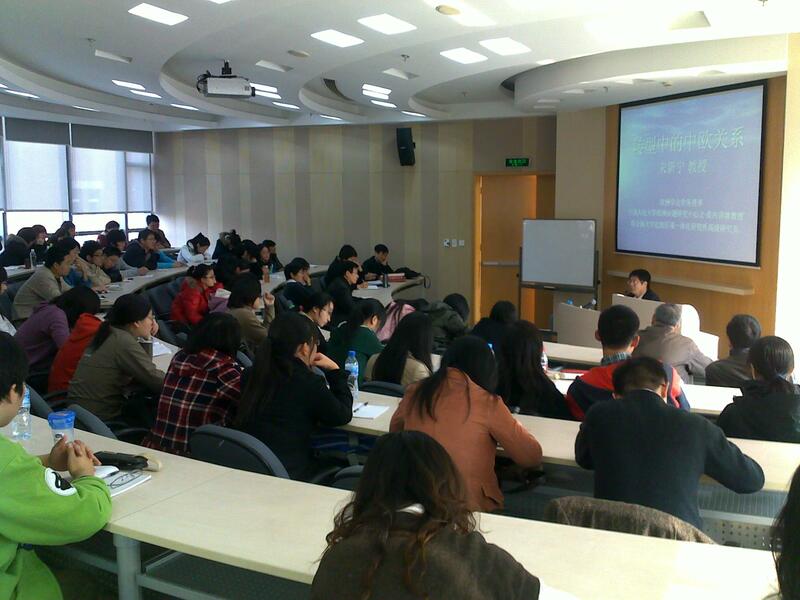 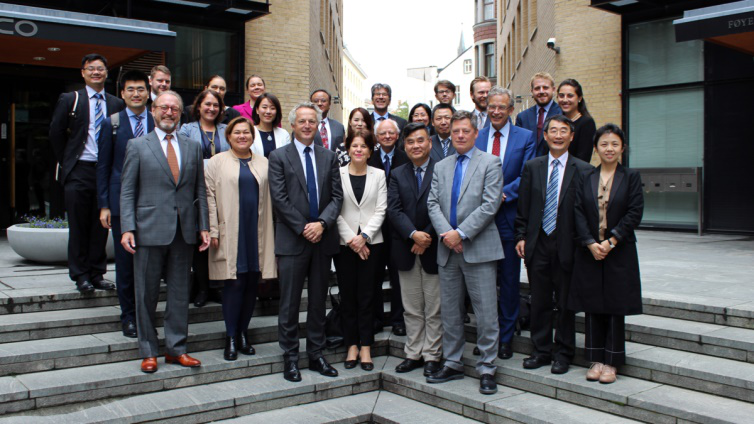 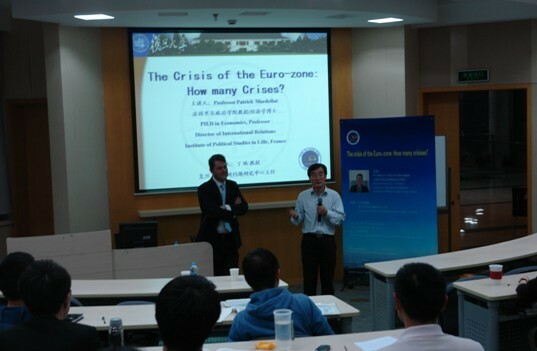 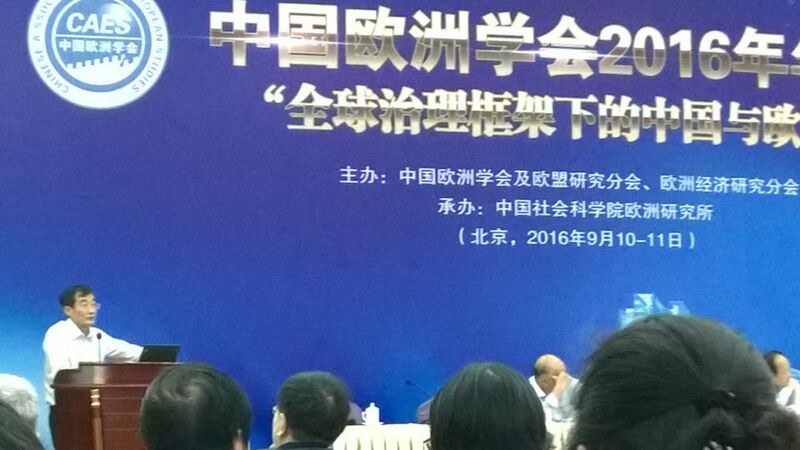 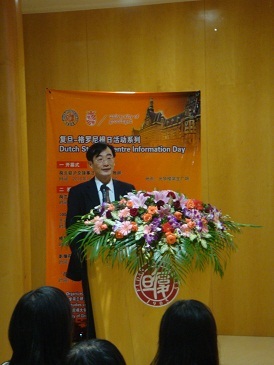 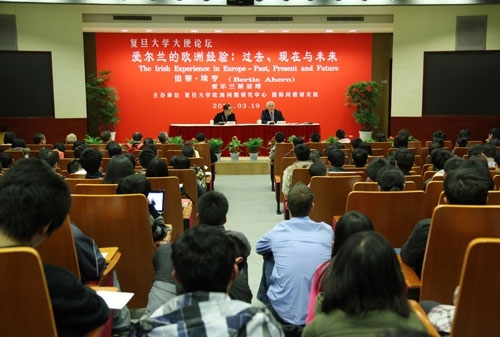 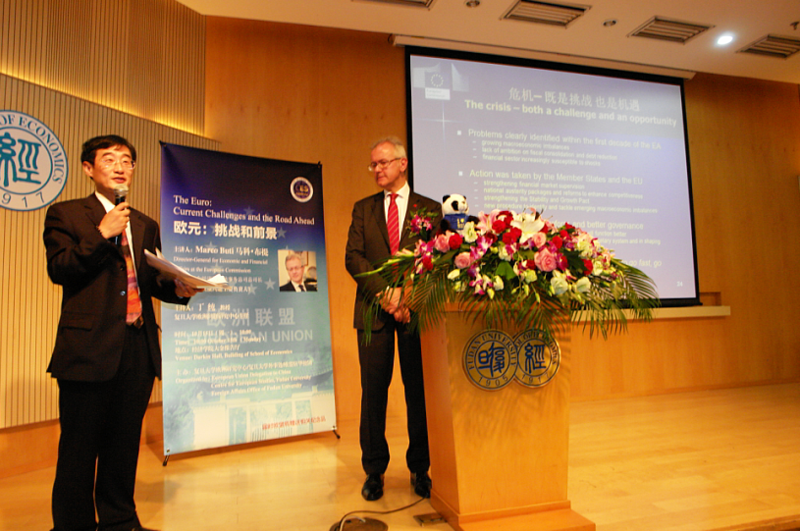 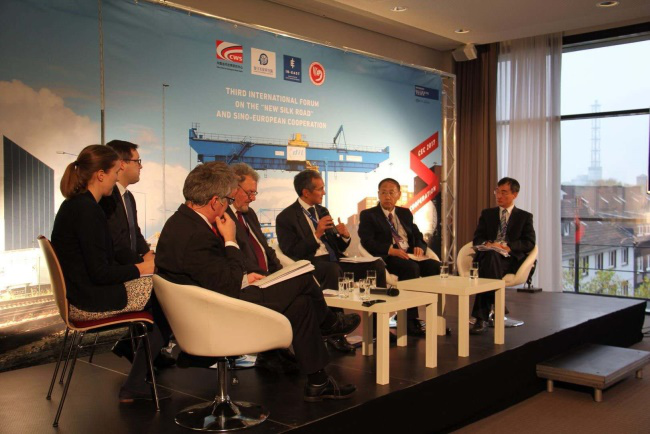 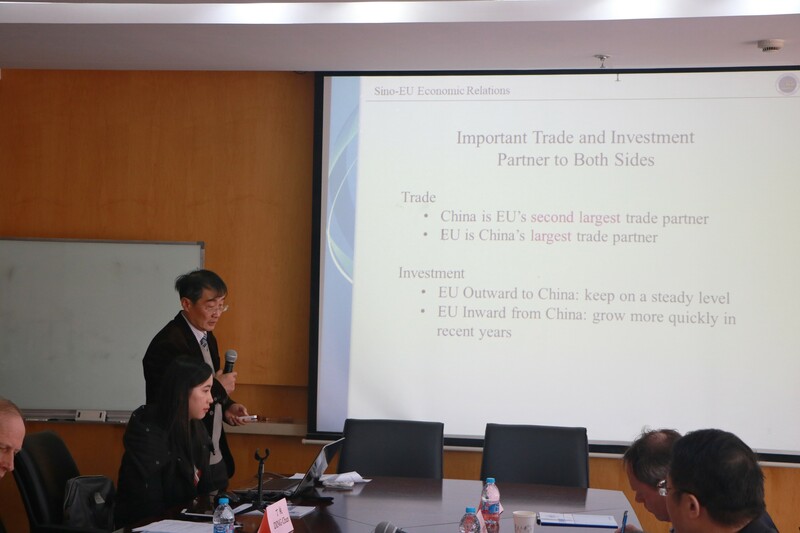 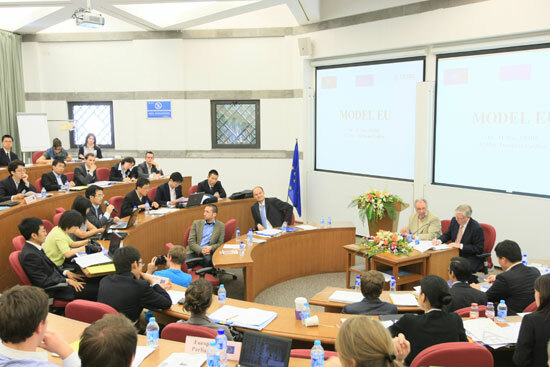 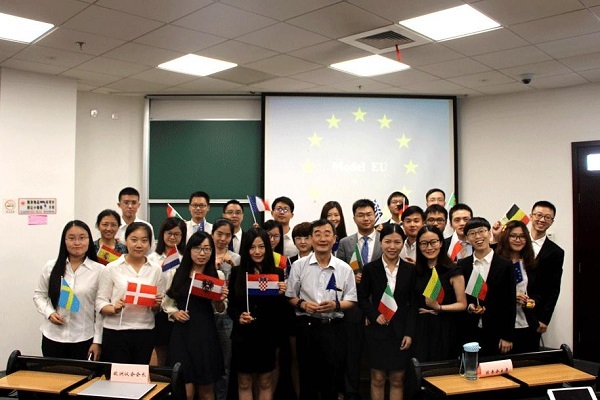 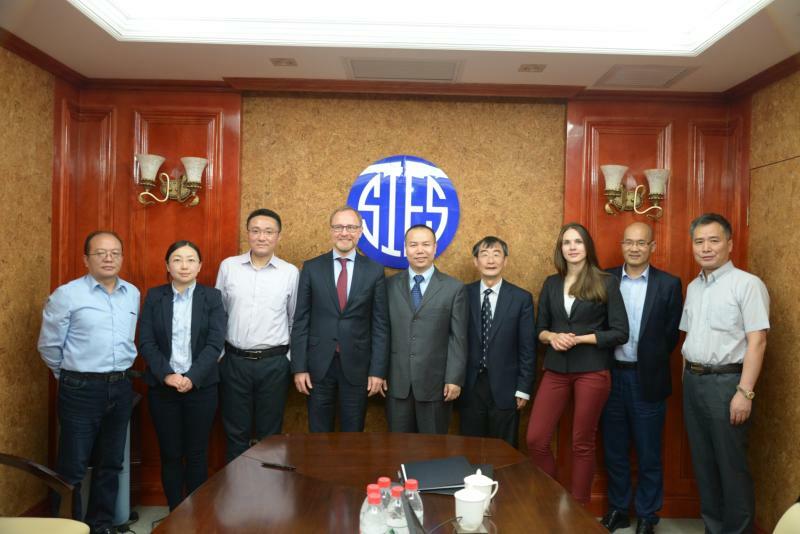 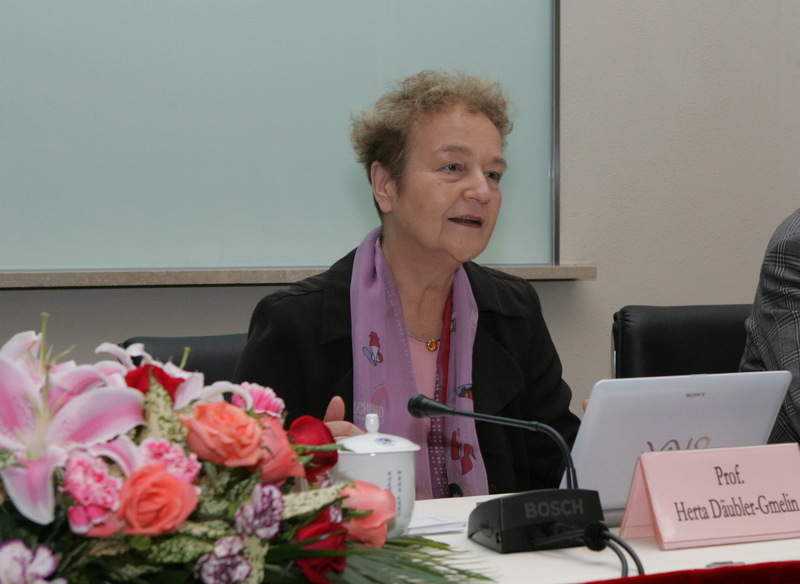 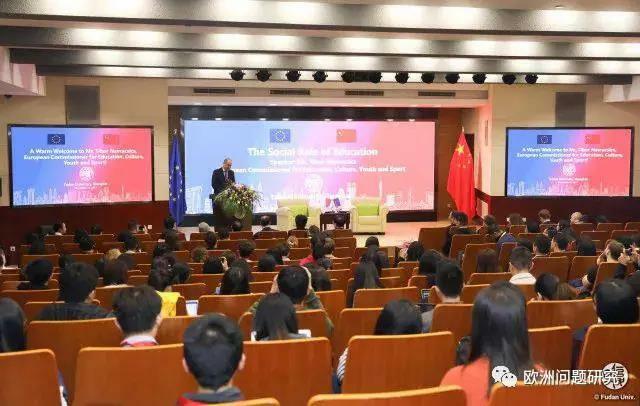 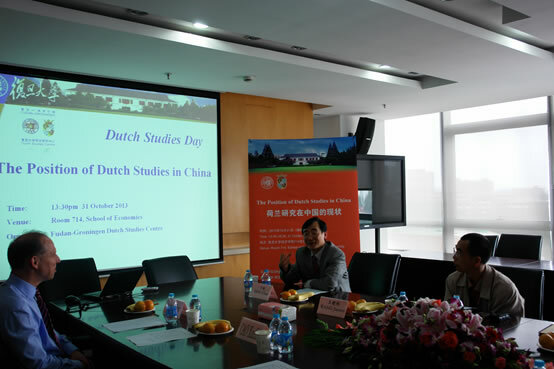 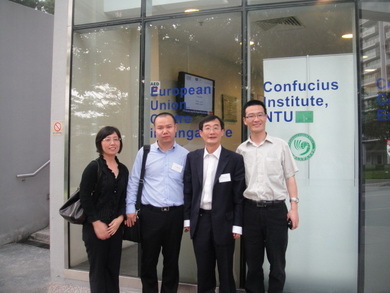 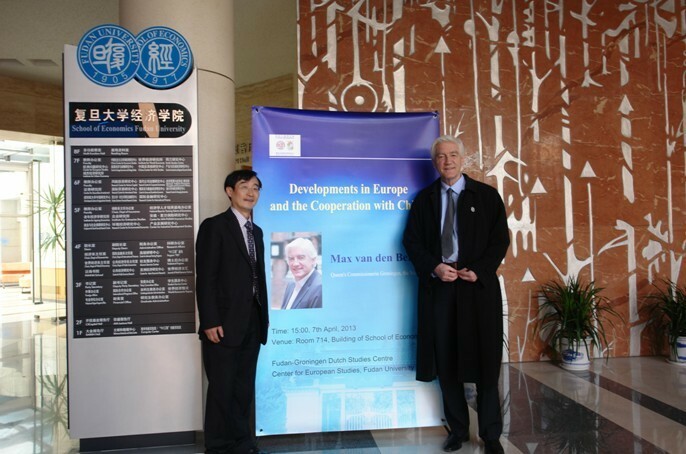 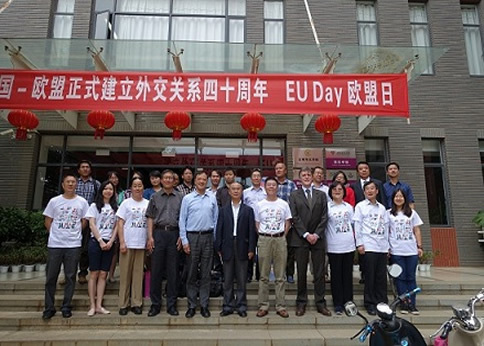 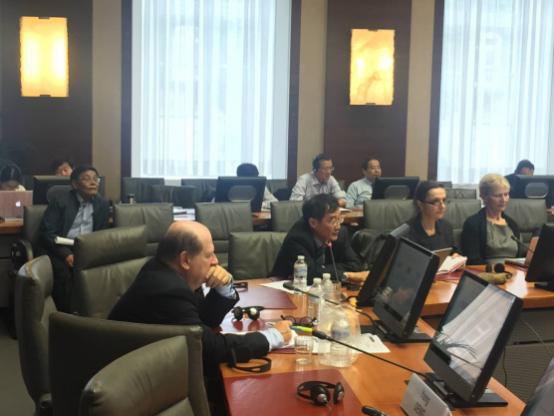 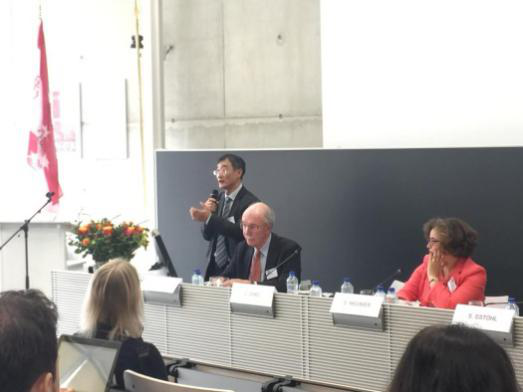 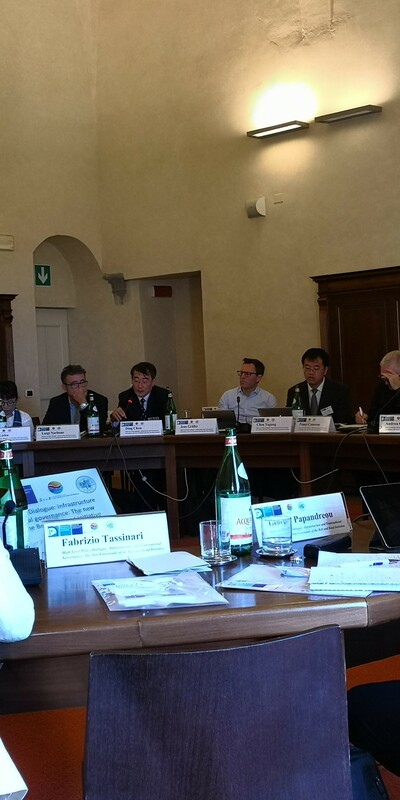 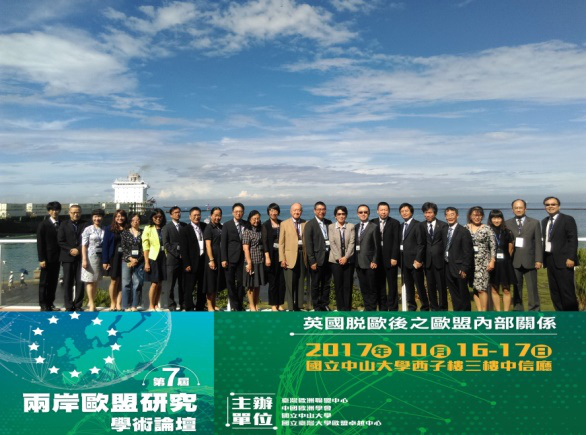 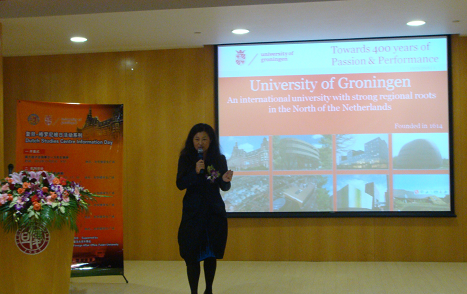 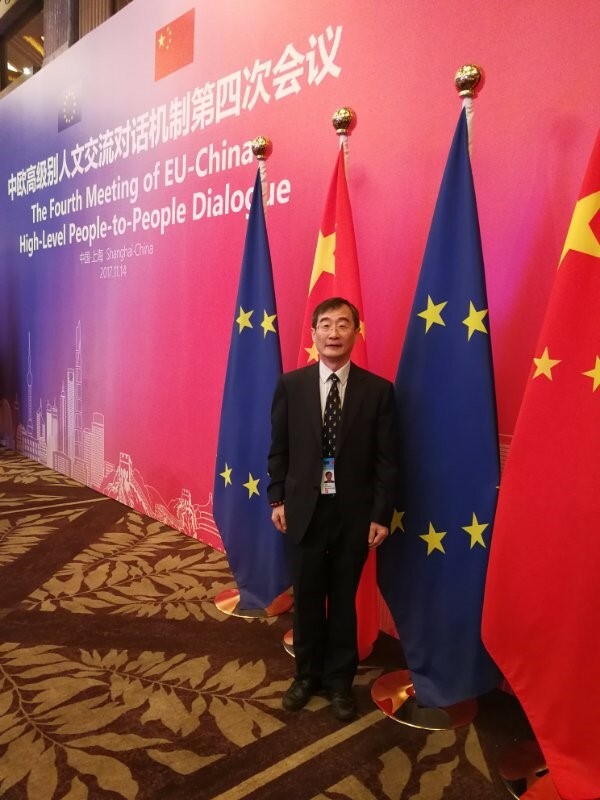 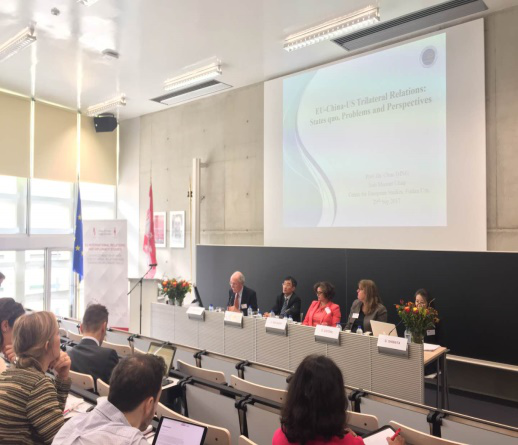 丁纯教授参加"Third Workshop on Europe-China Relations in Global Politics"